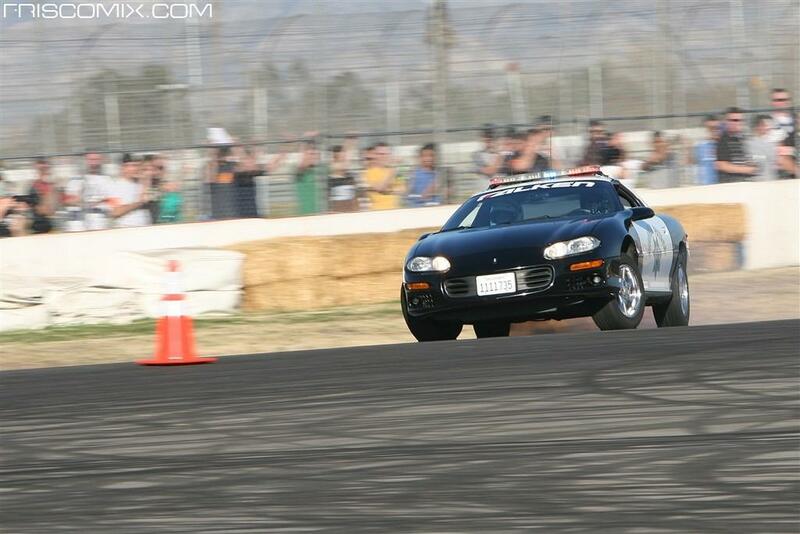 Once upon a time in 2004, in Southern California, an impossible event happened that would probably never happen again. 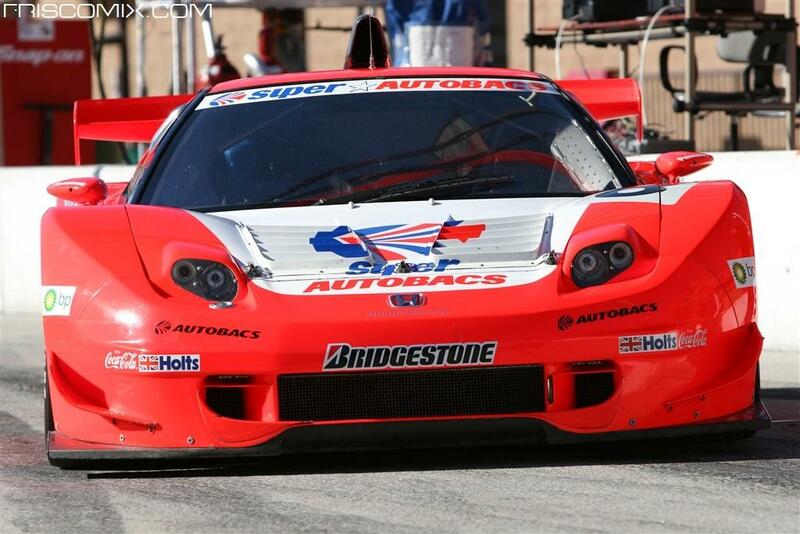 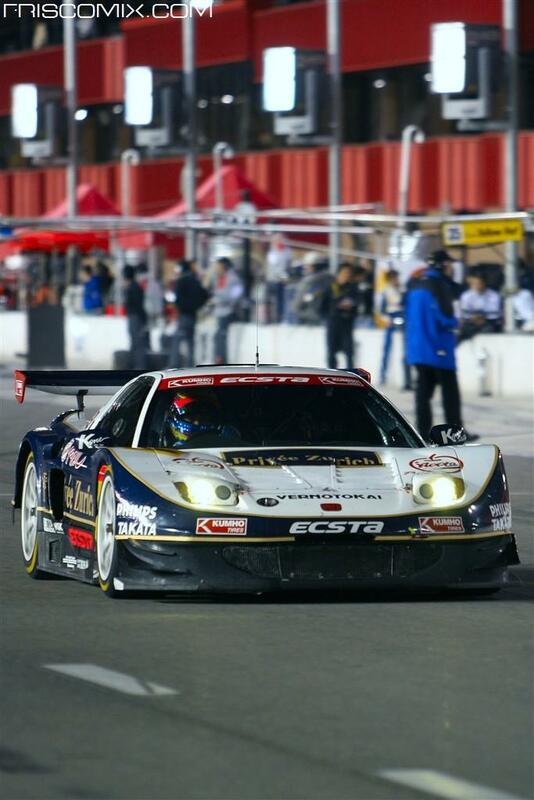 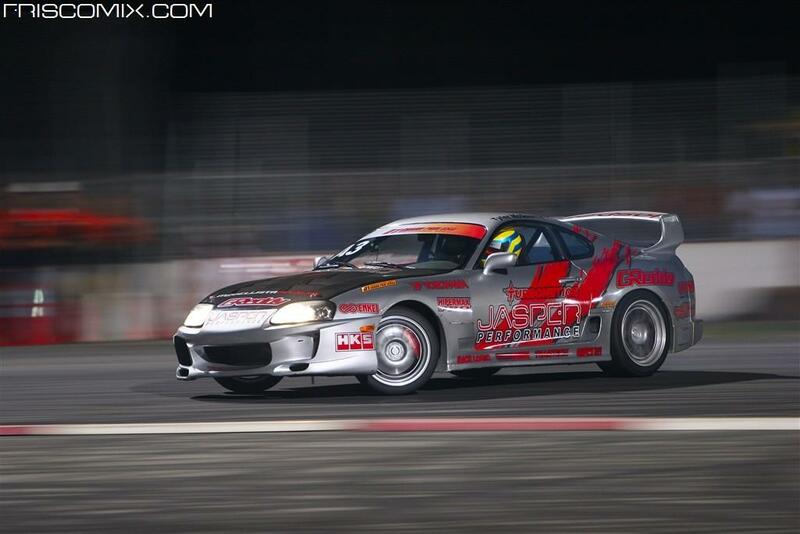 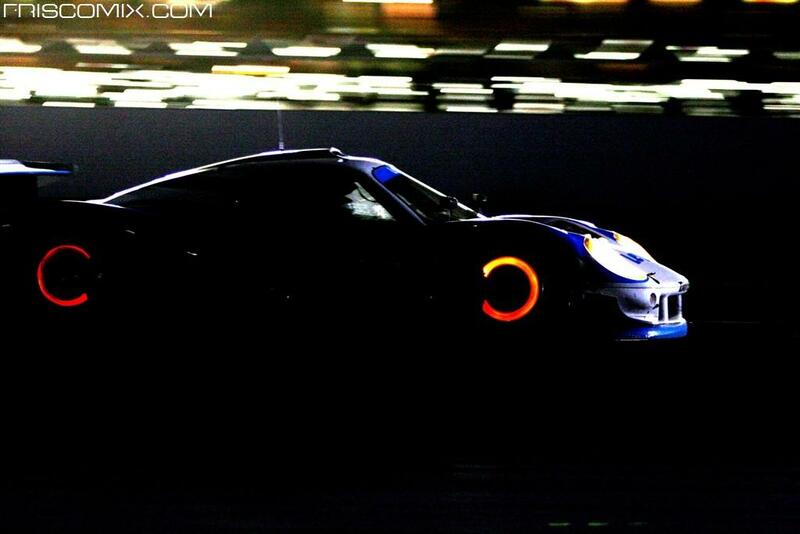 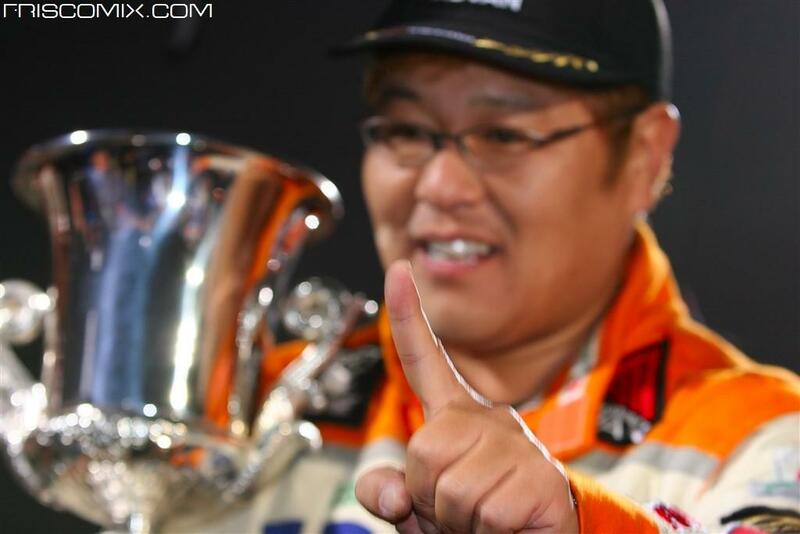 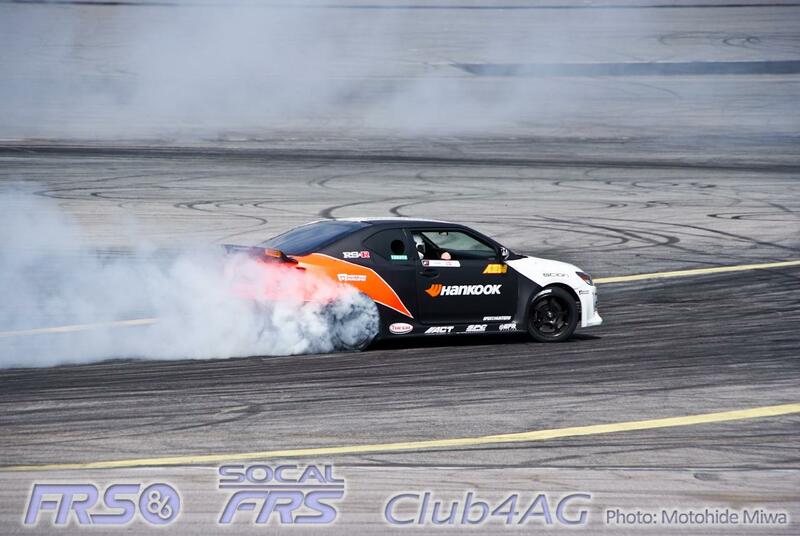 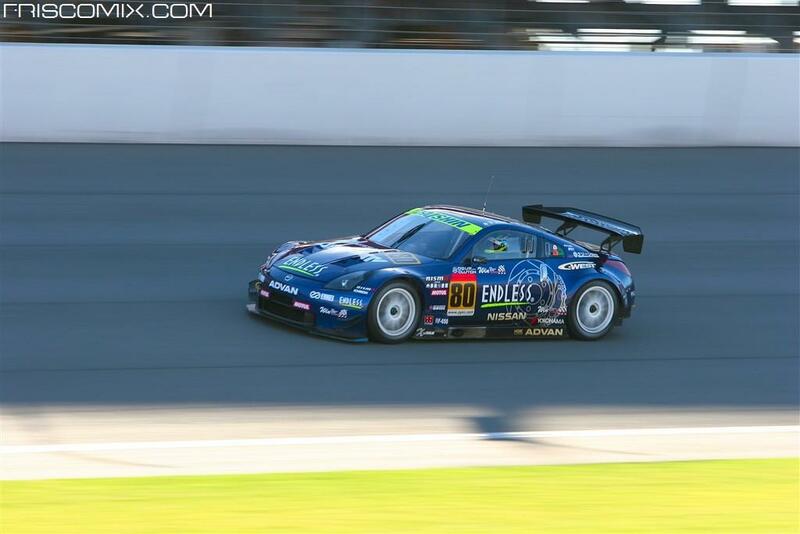 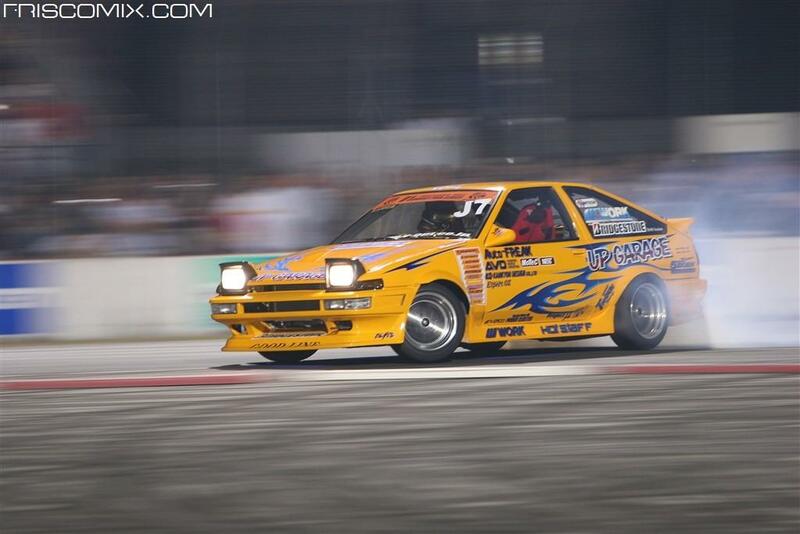 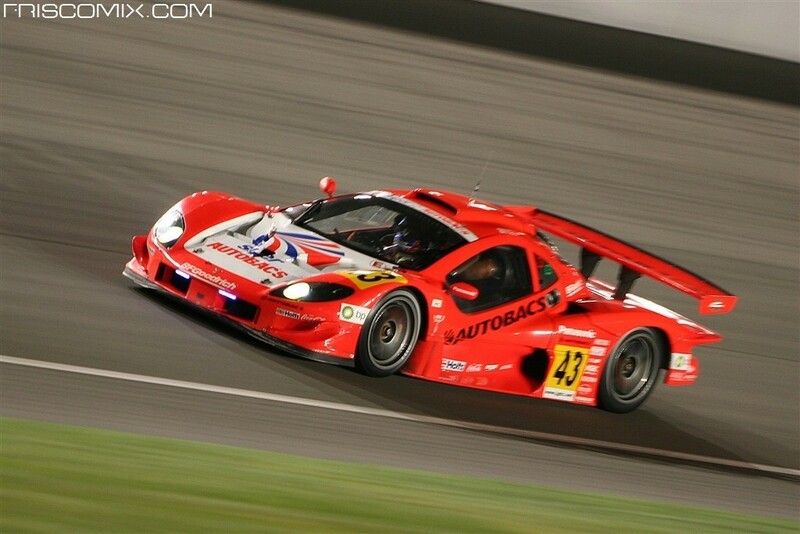 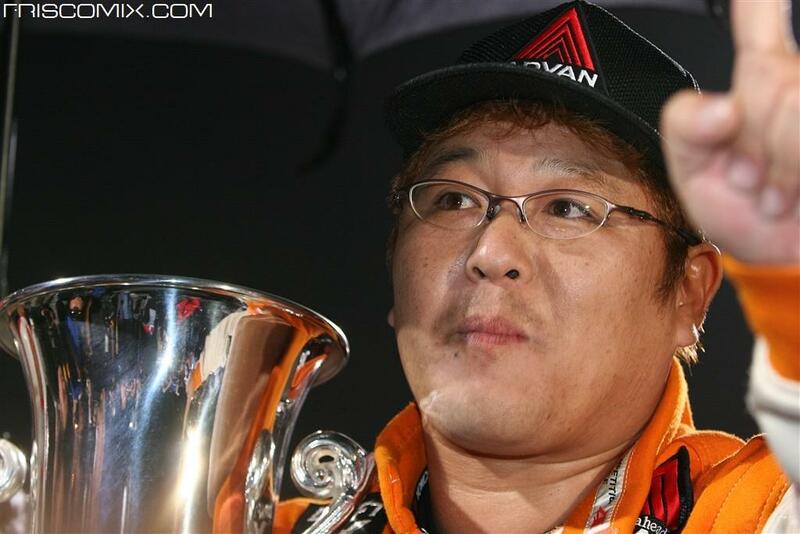 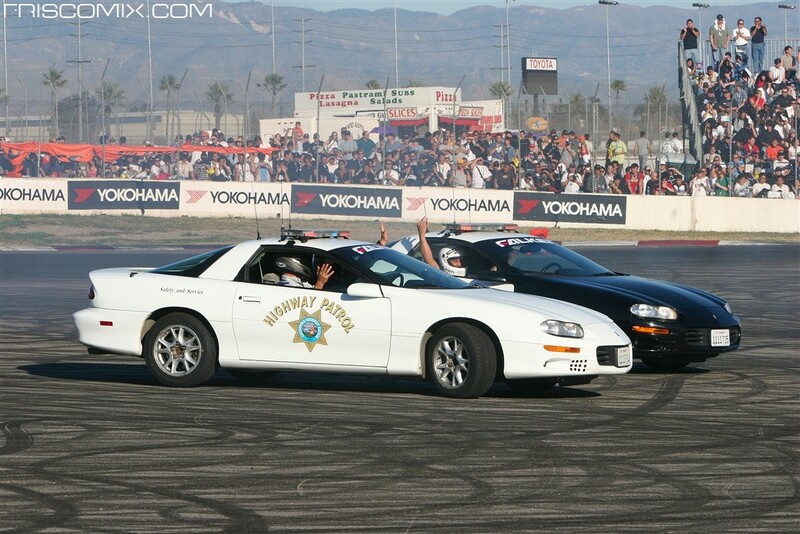 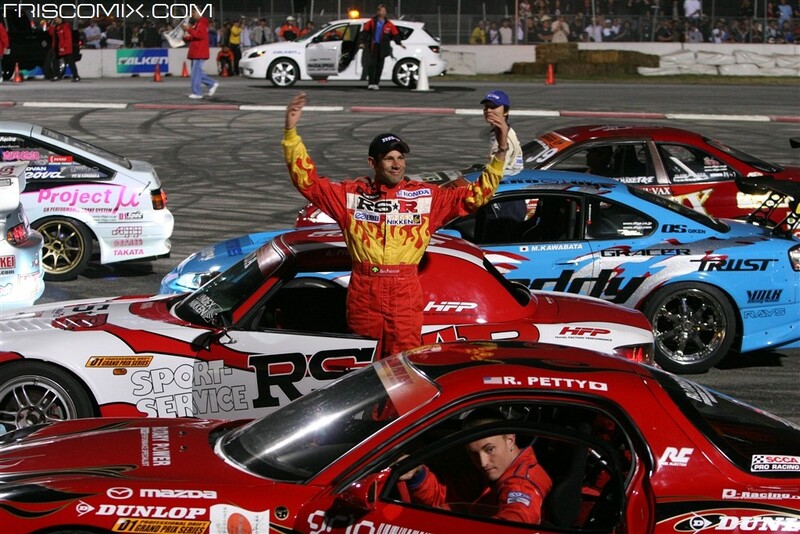 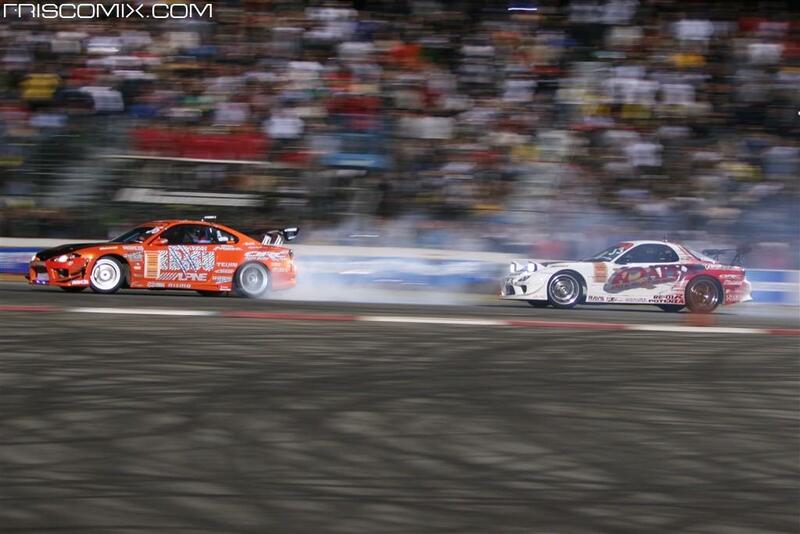 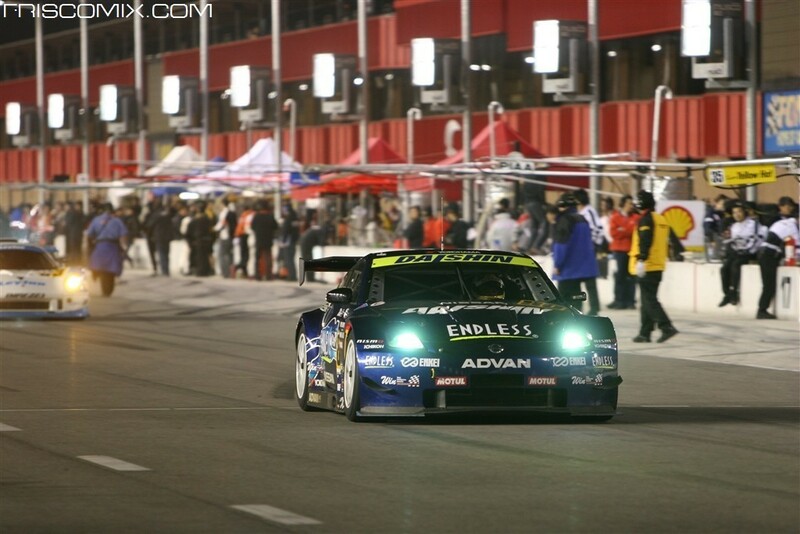 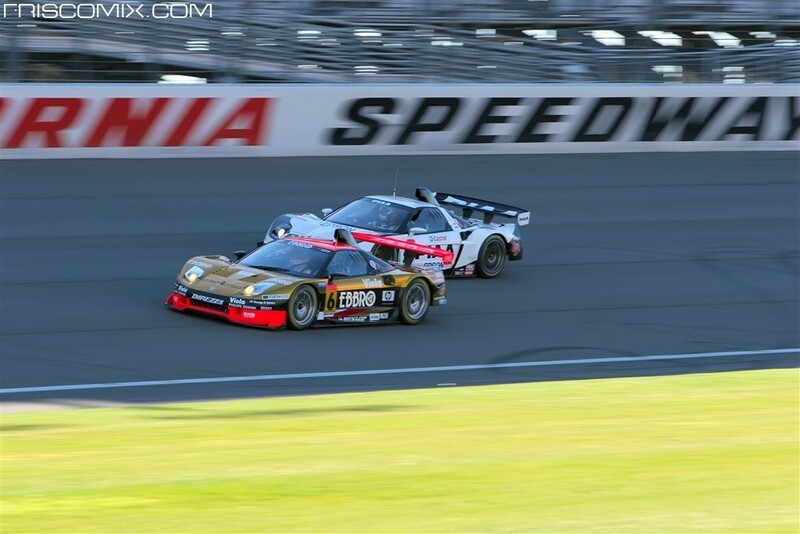 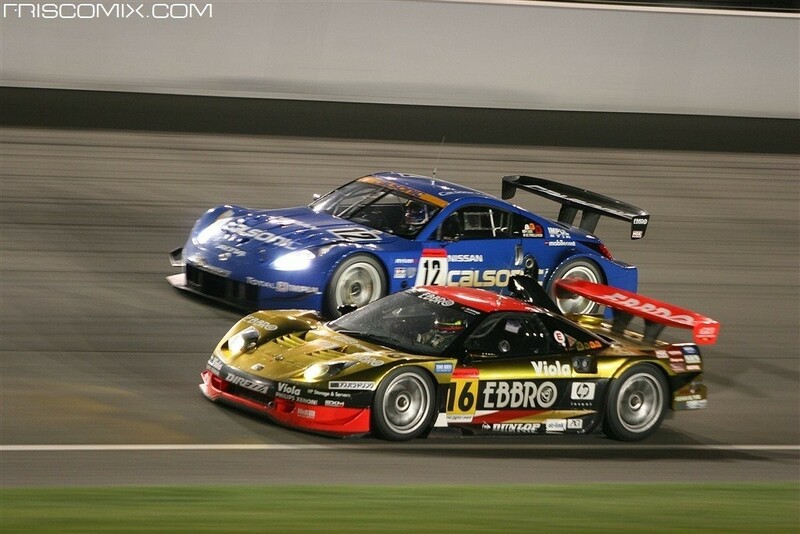 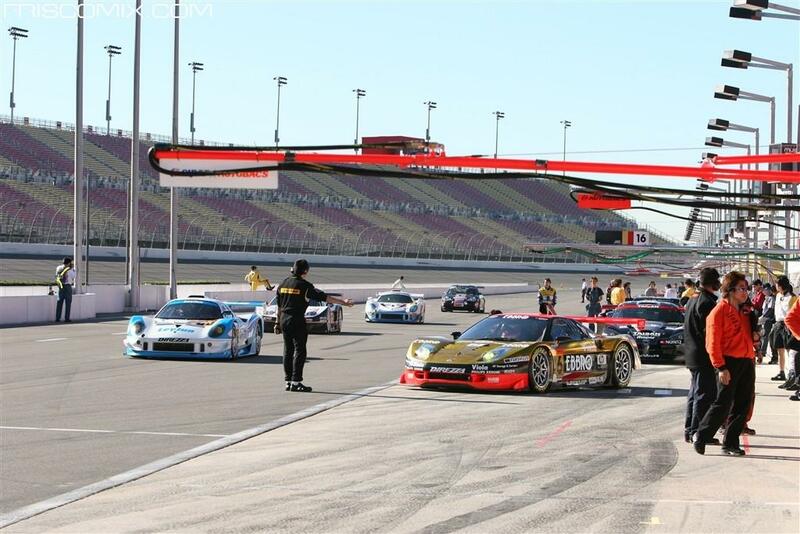 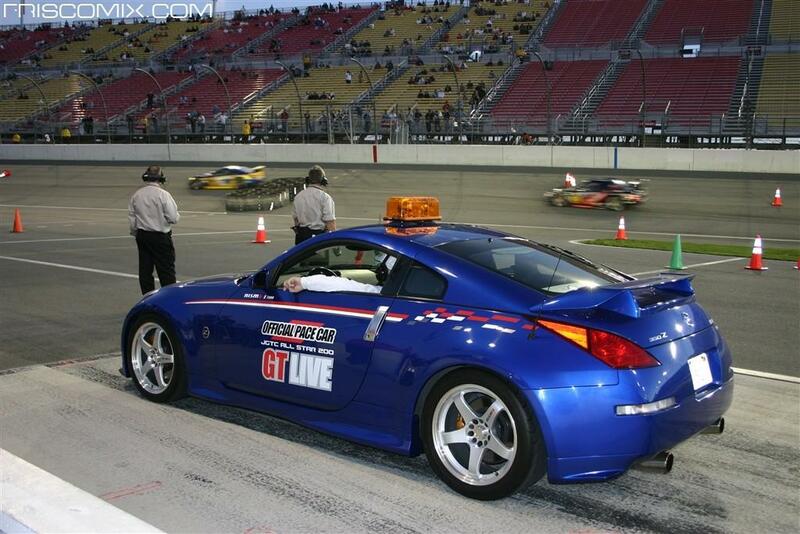 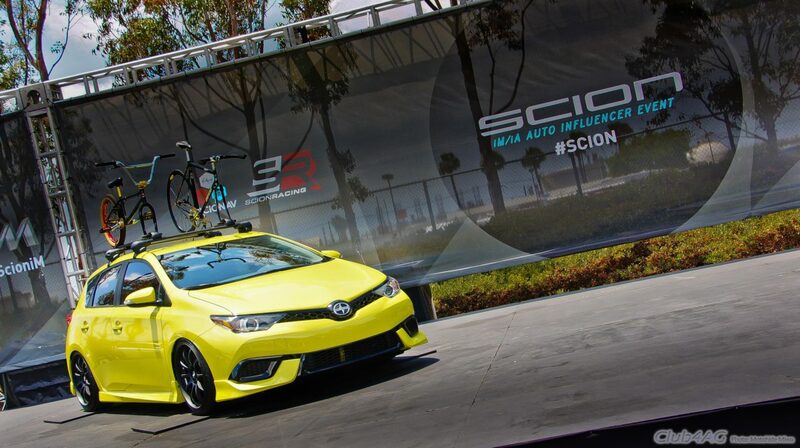 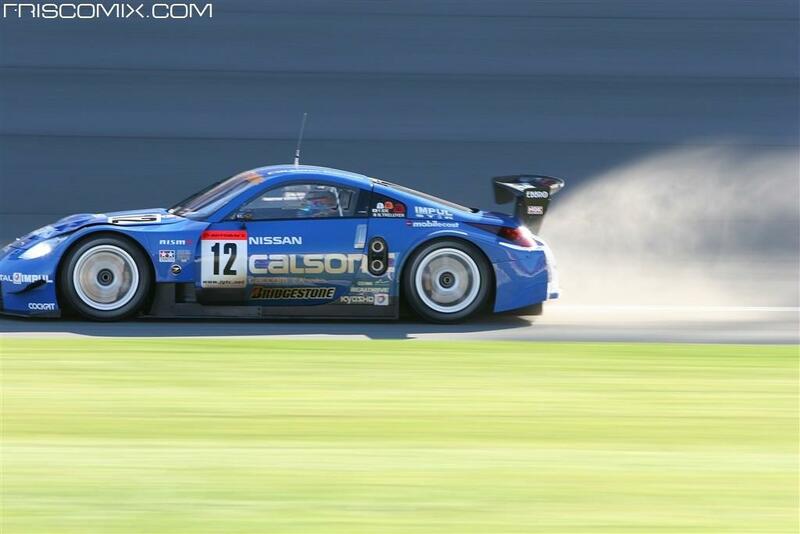 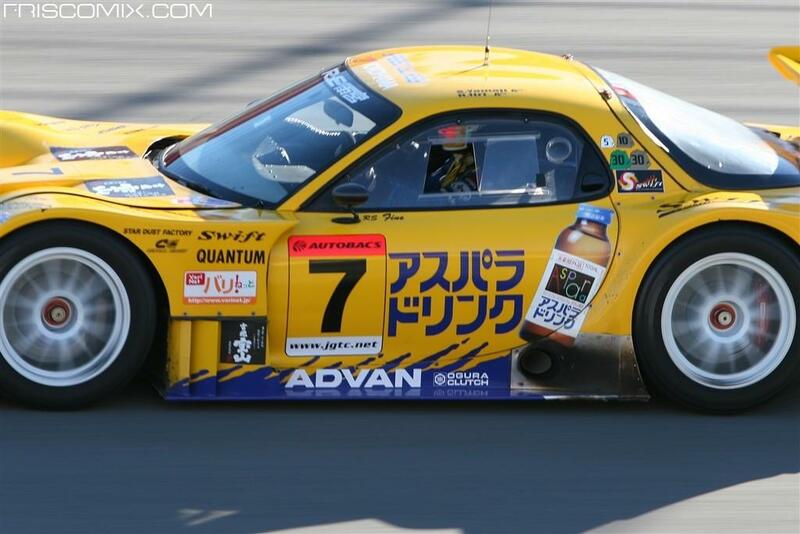 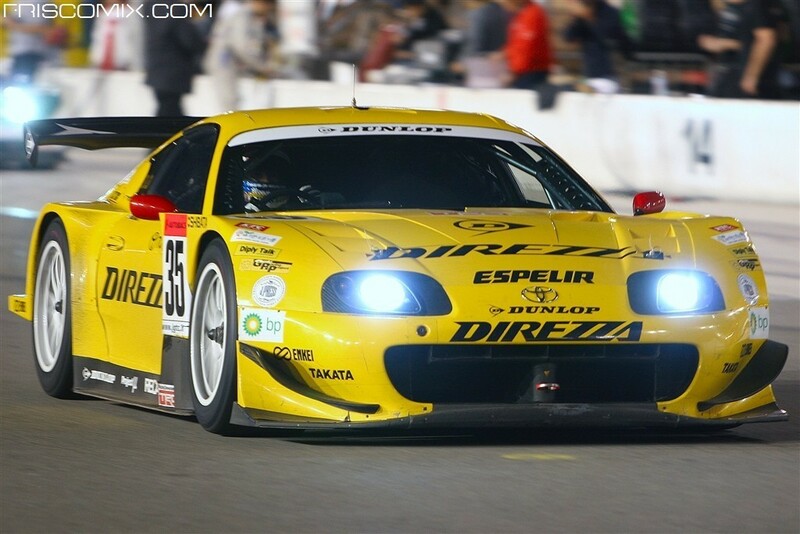 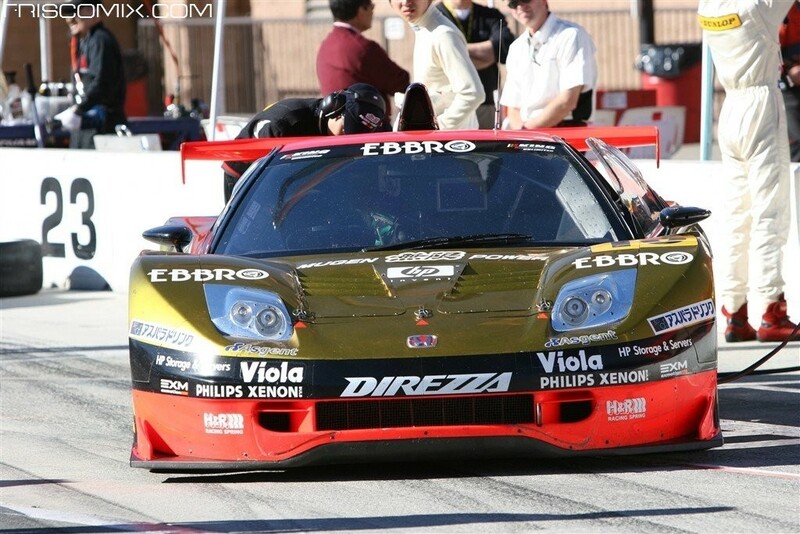 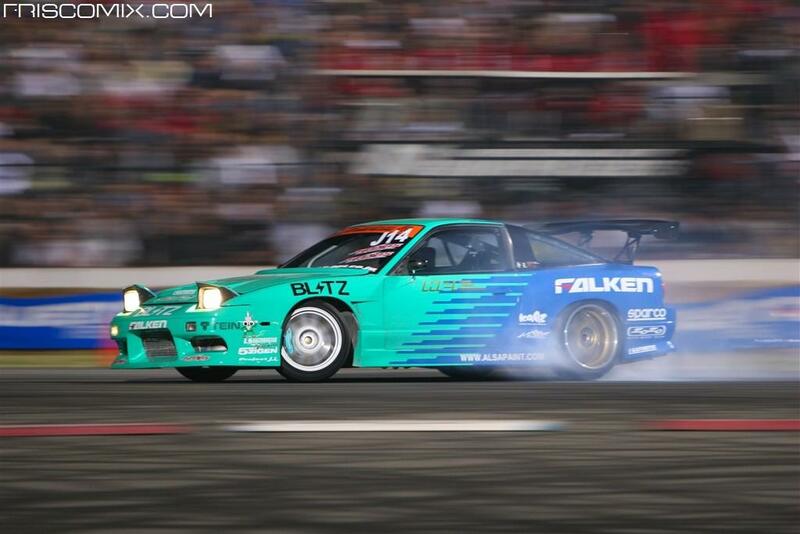 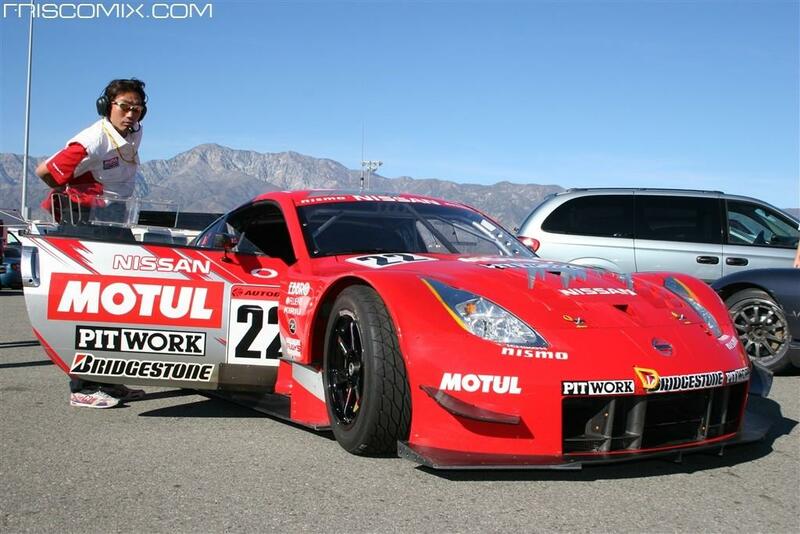 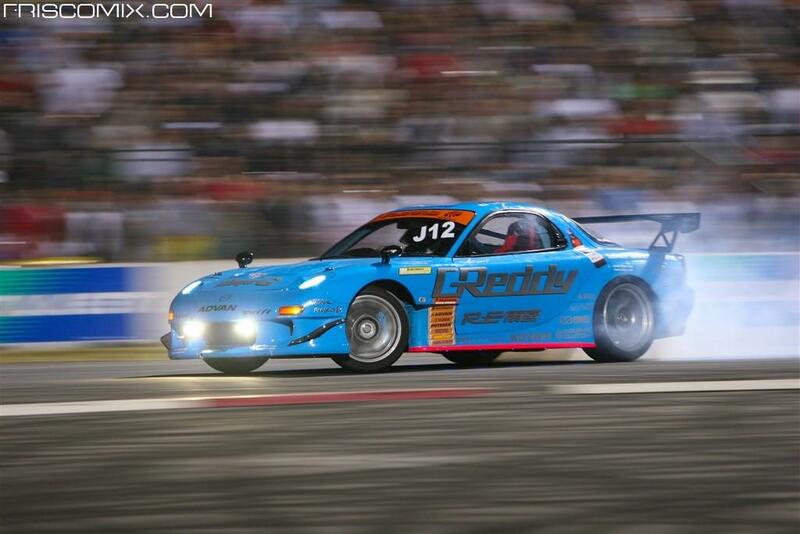 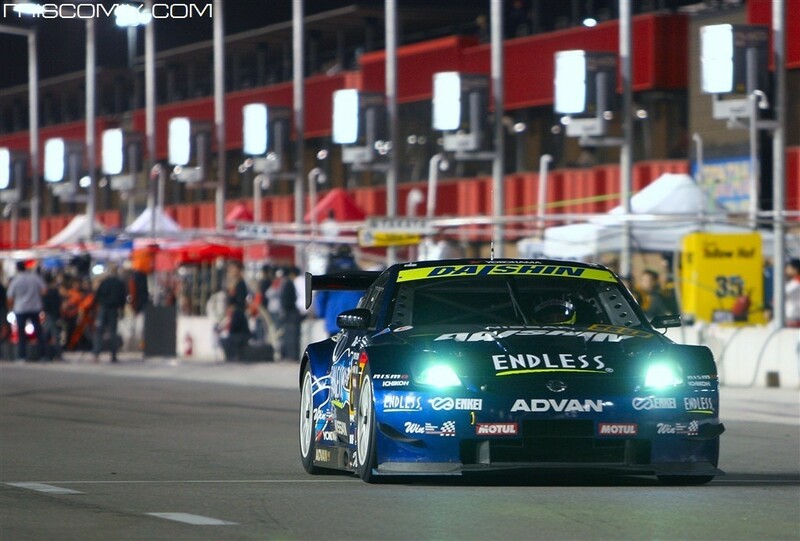 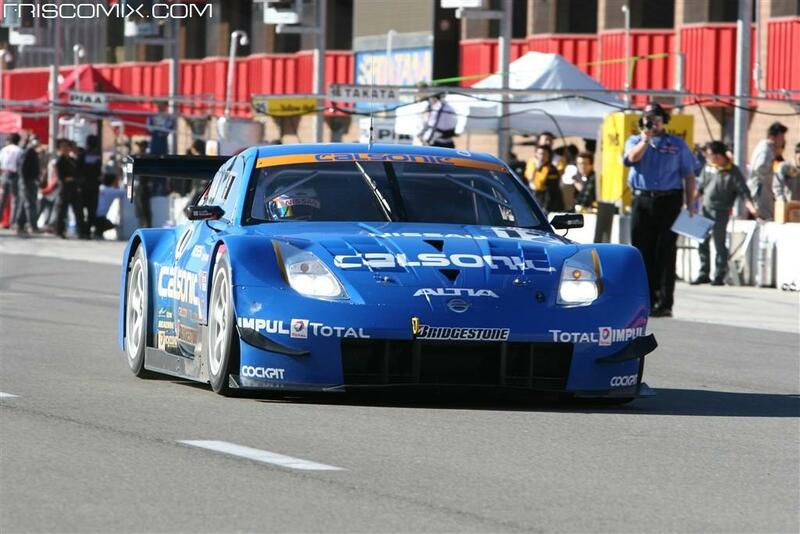 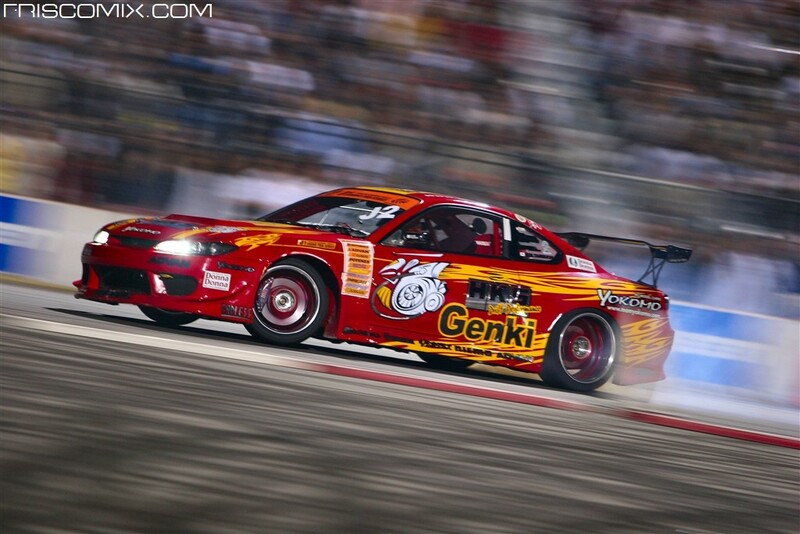 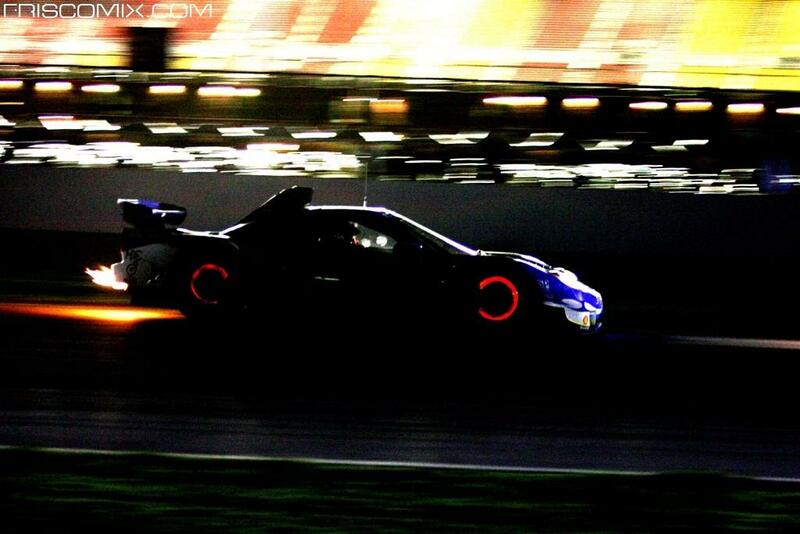 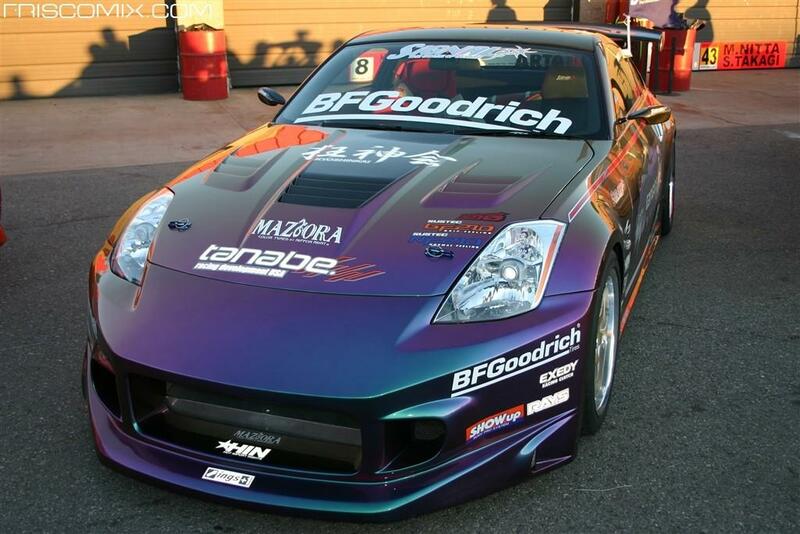 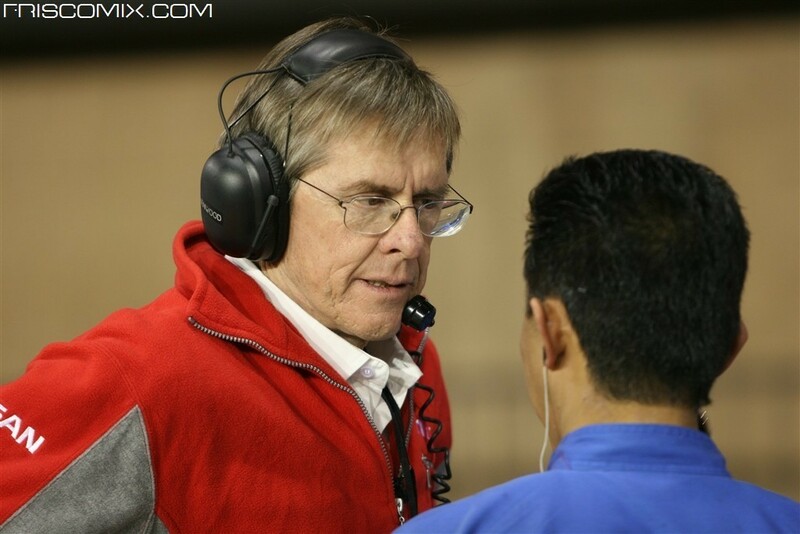 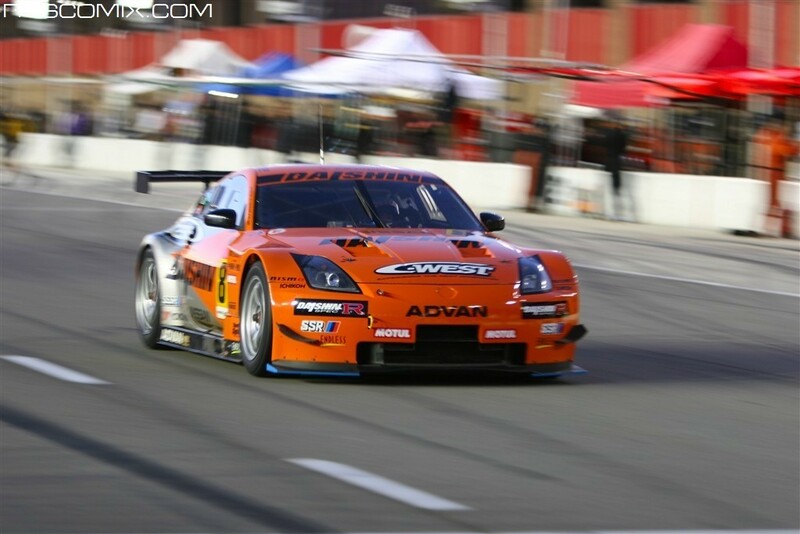 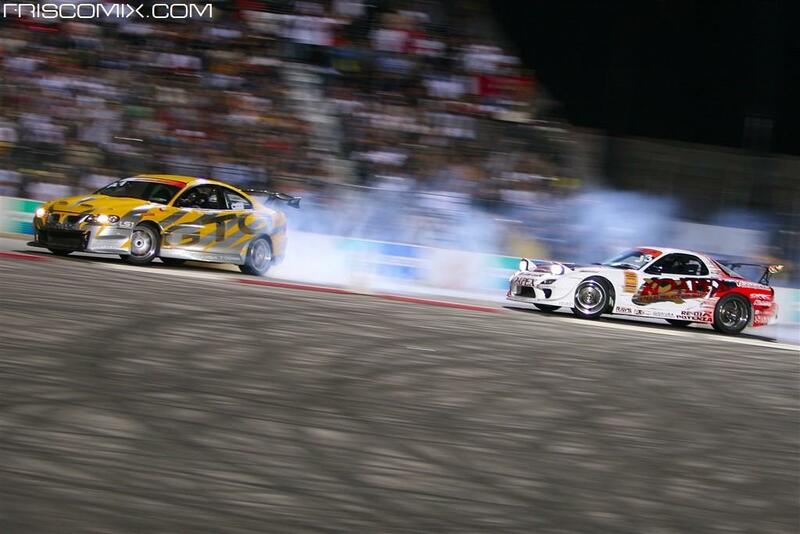 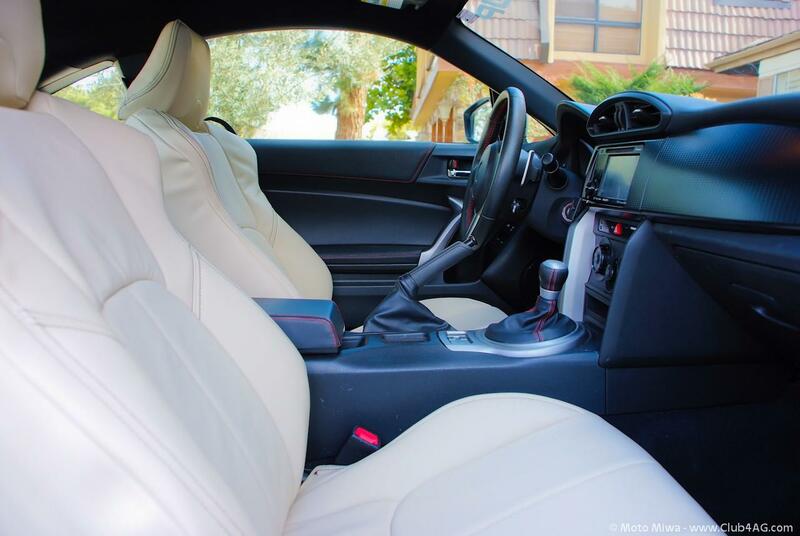 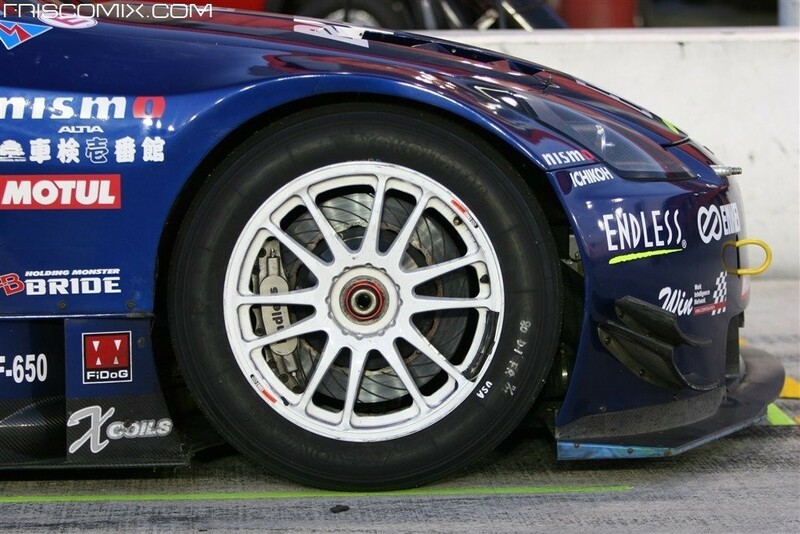 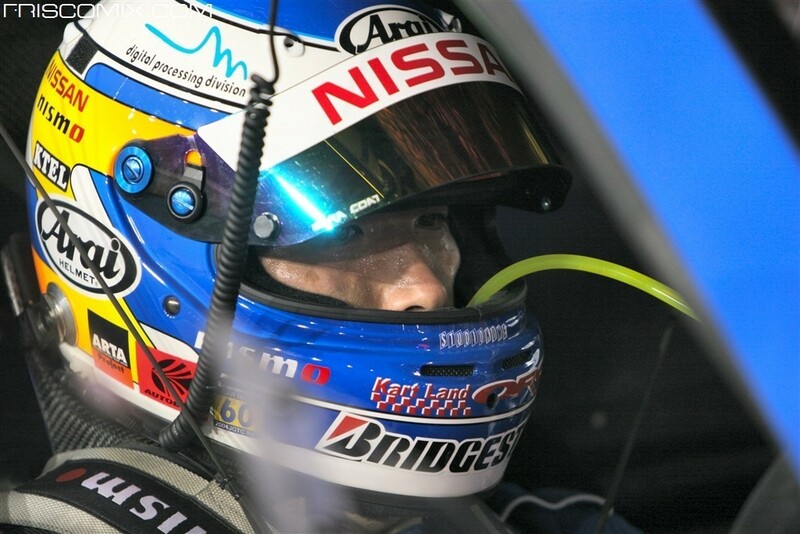 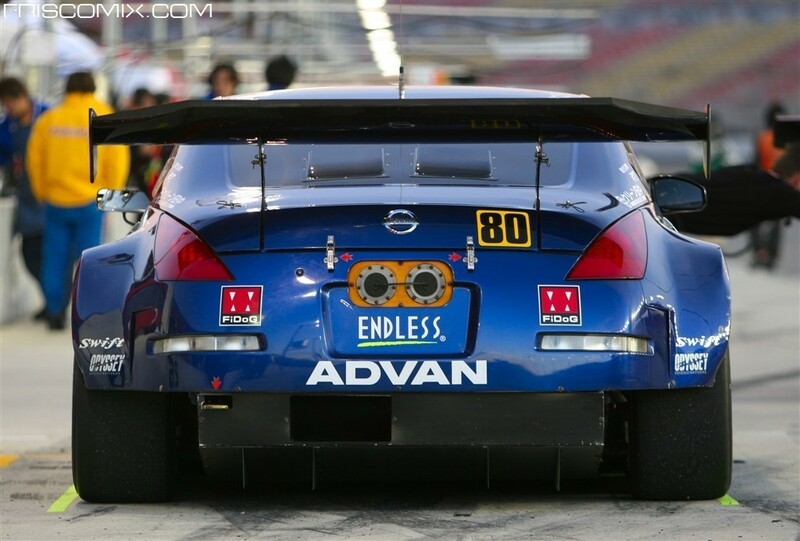 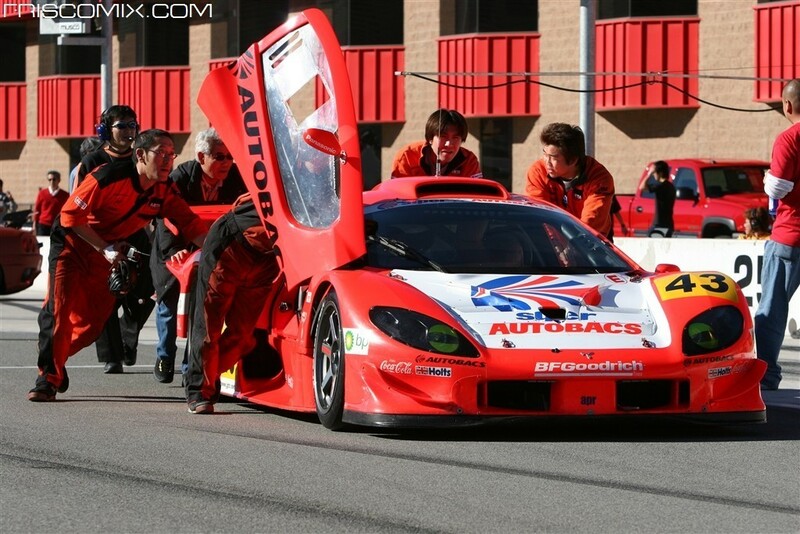 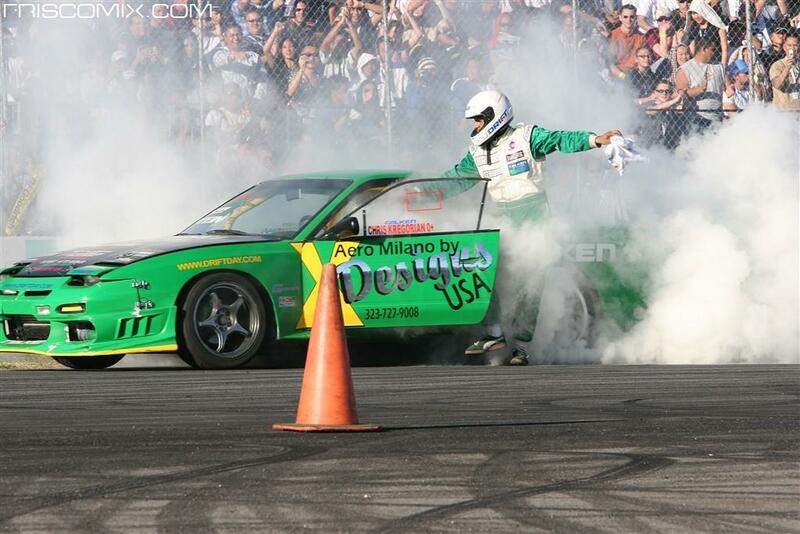 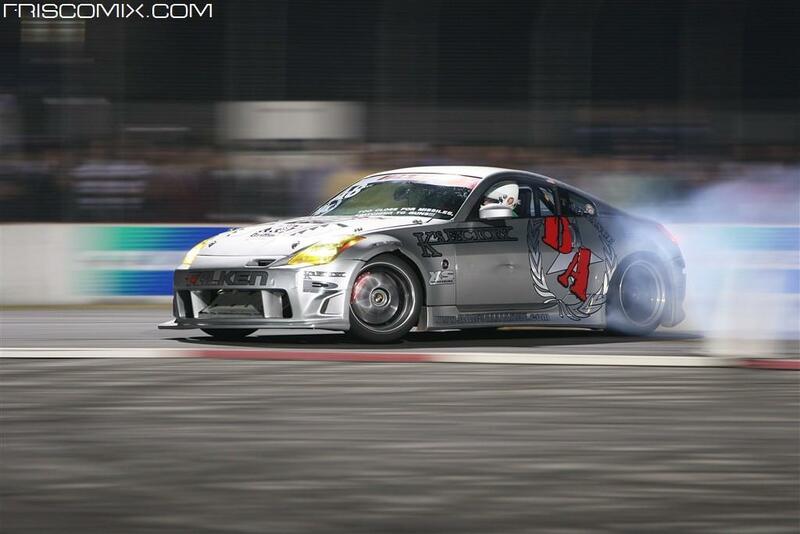 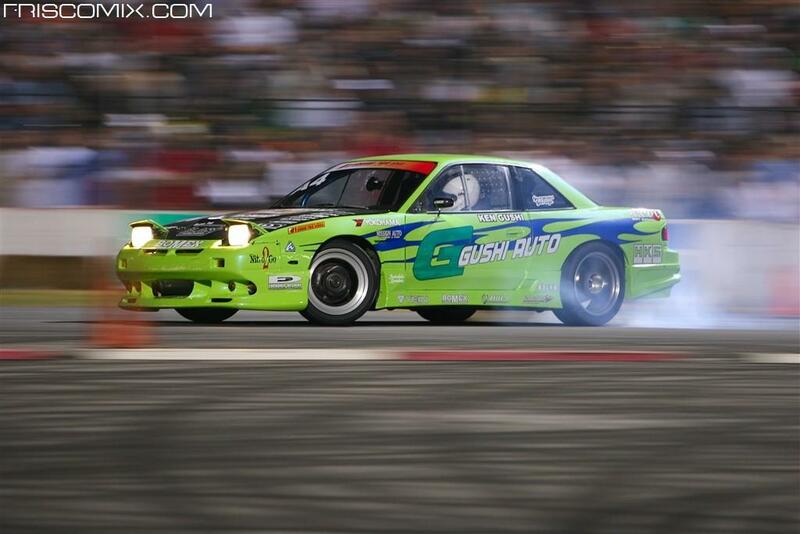 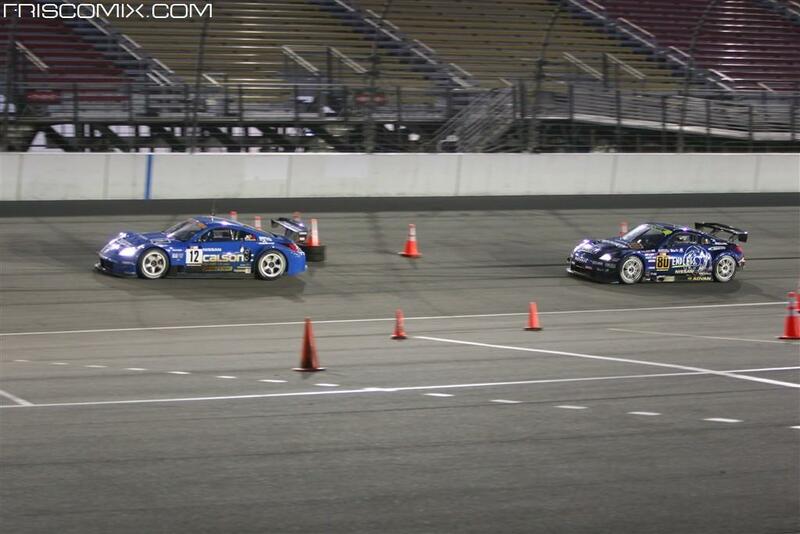 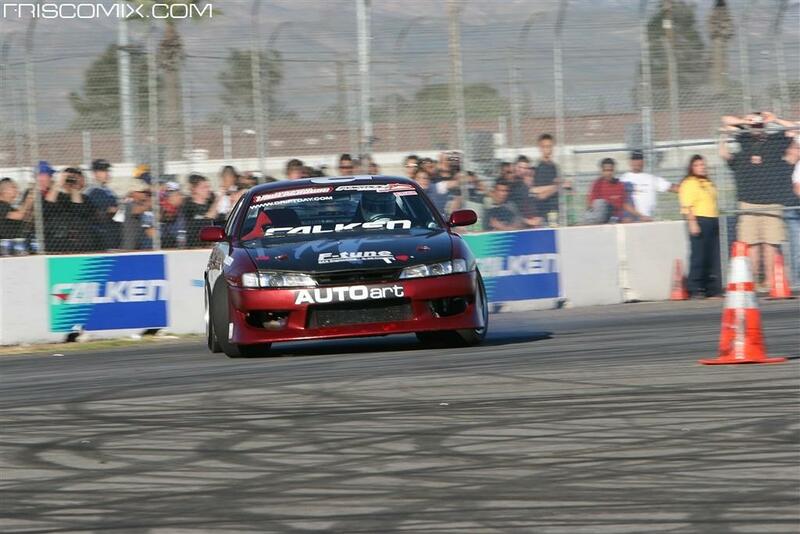 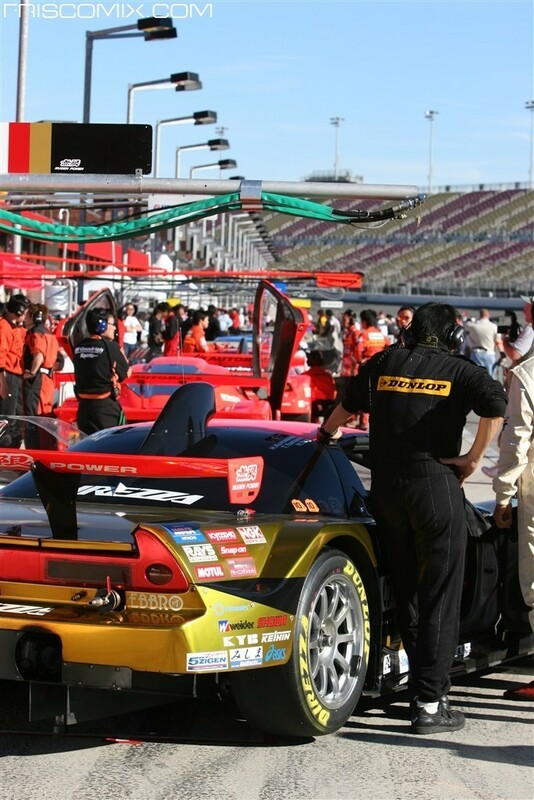 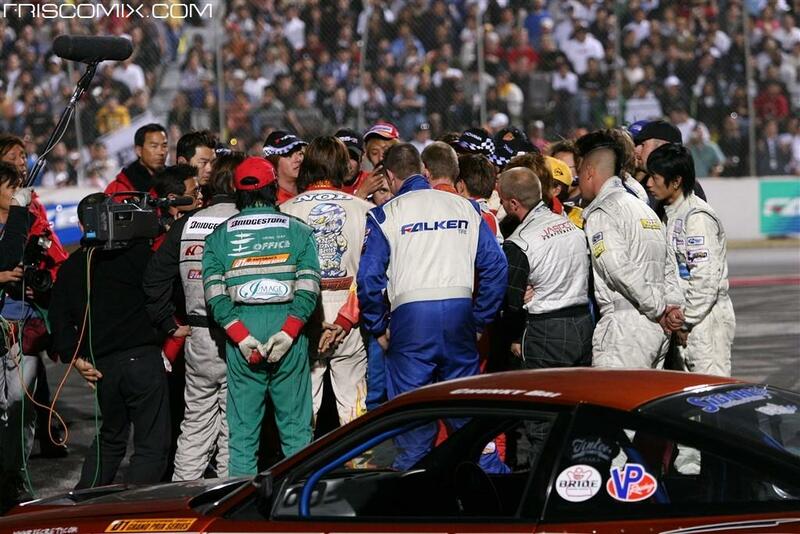 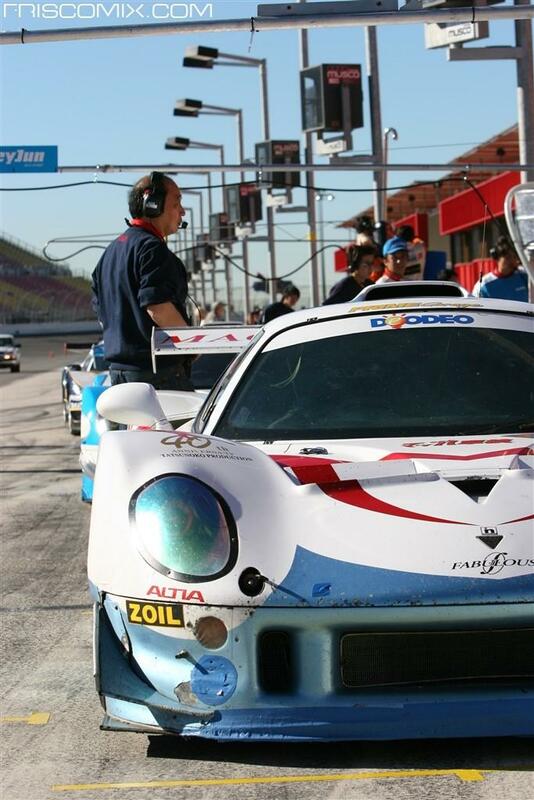 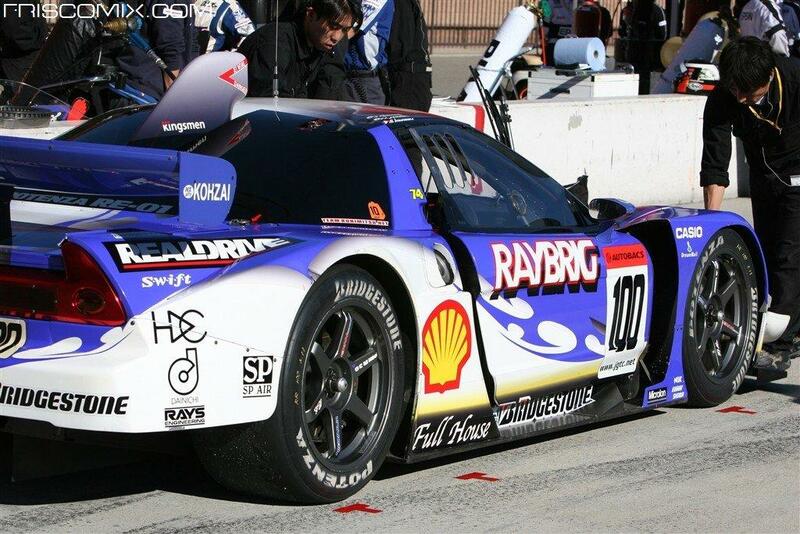 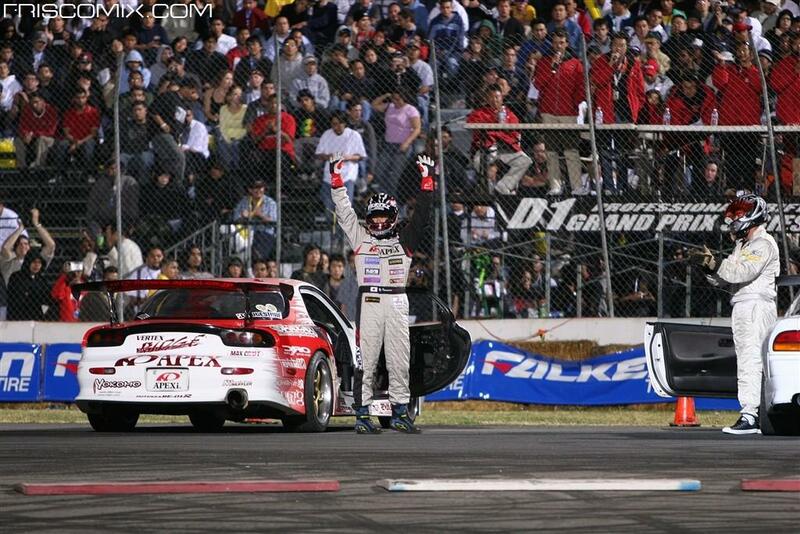 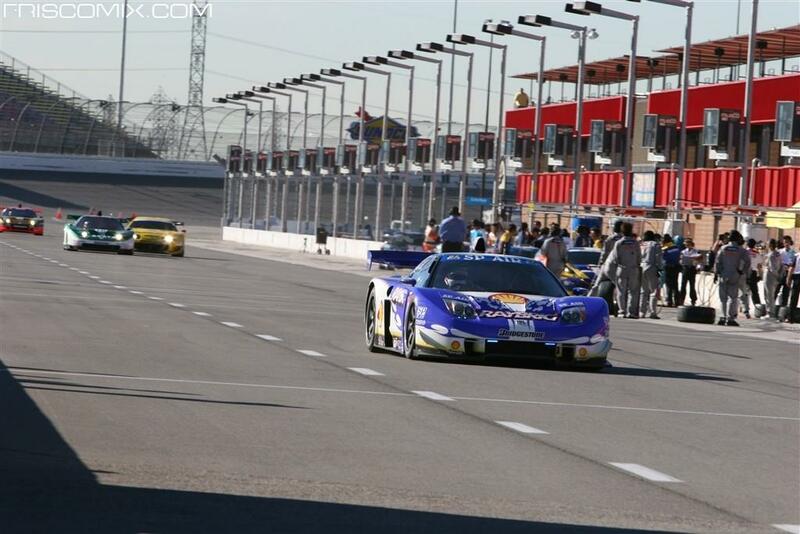 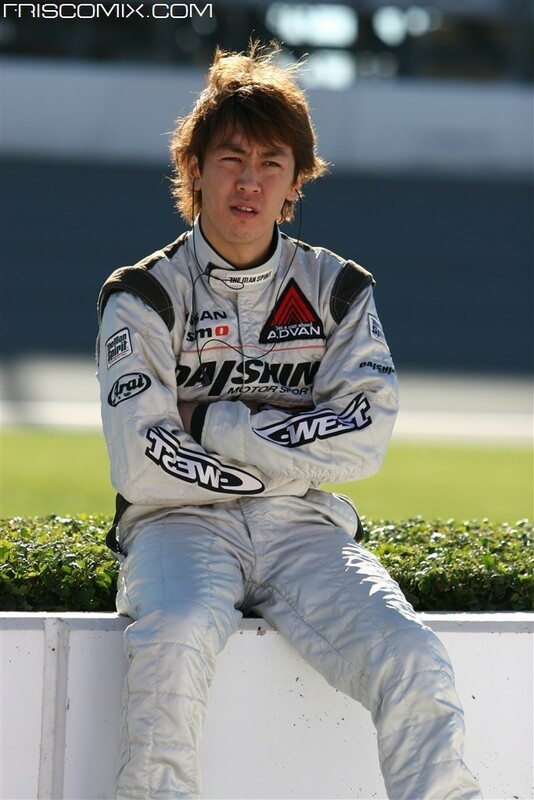 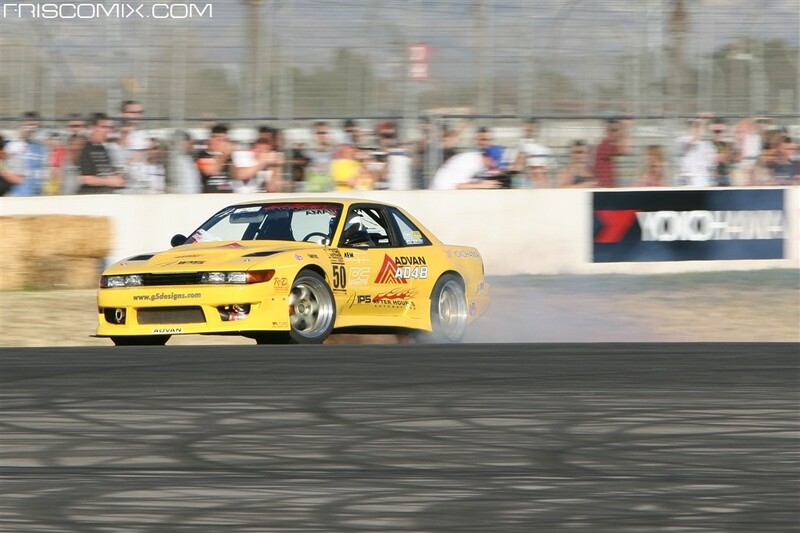 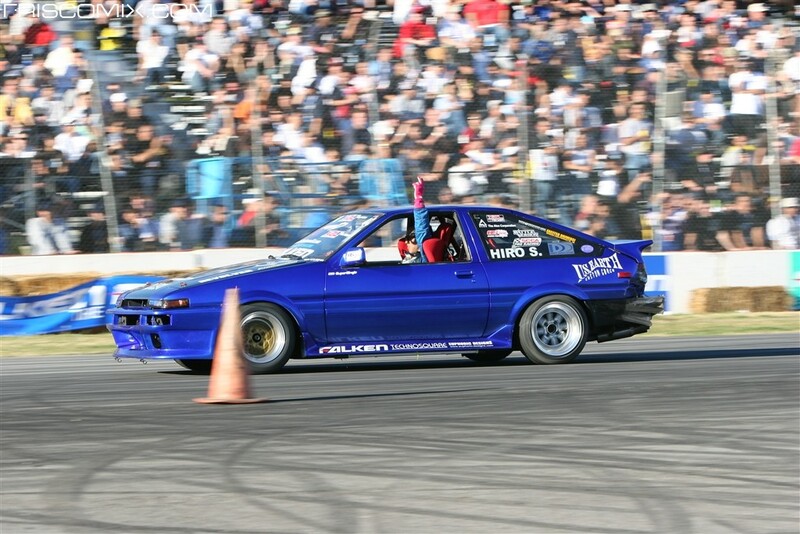 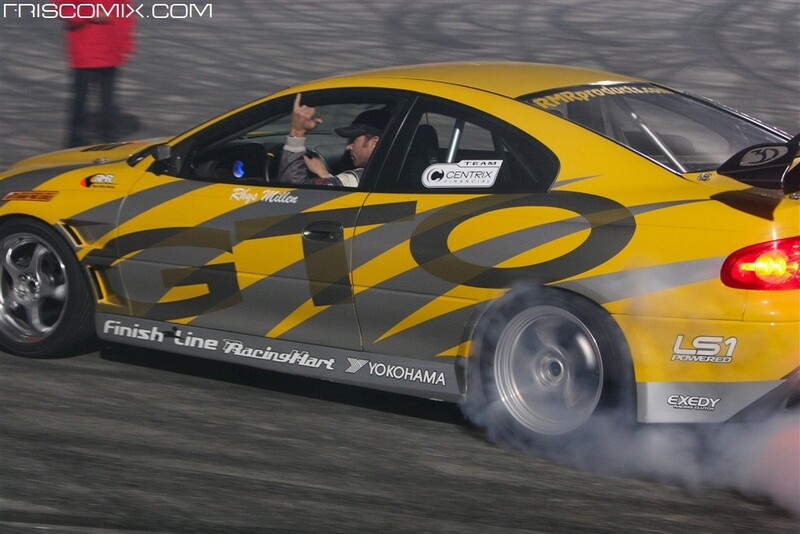 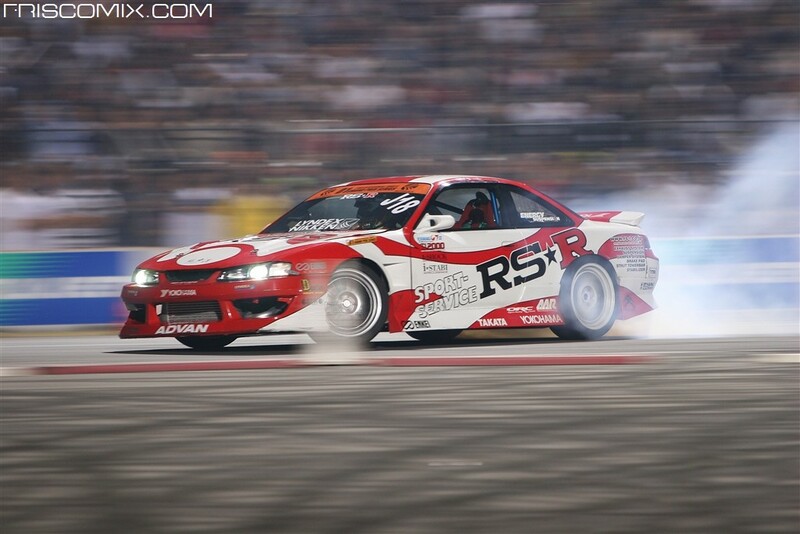 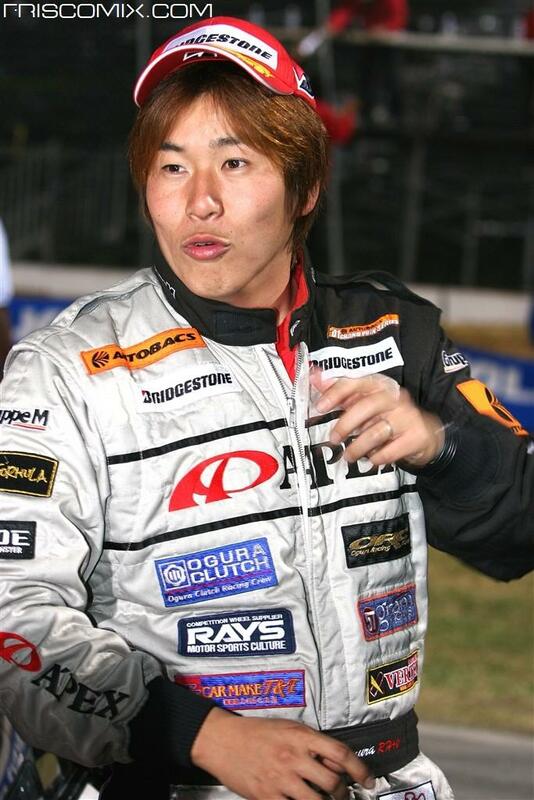 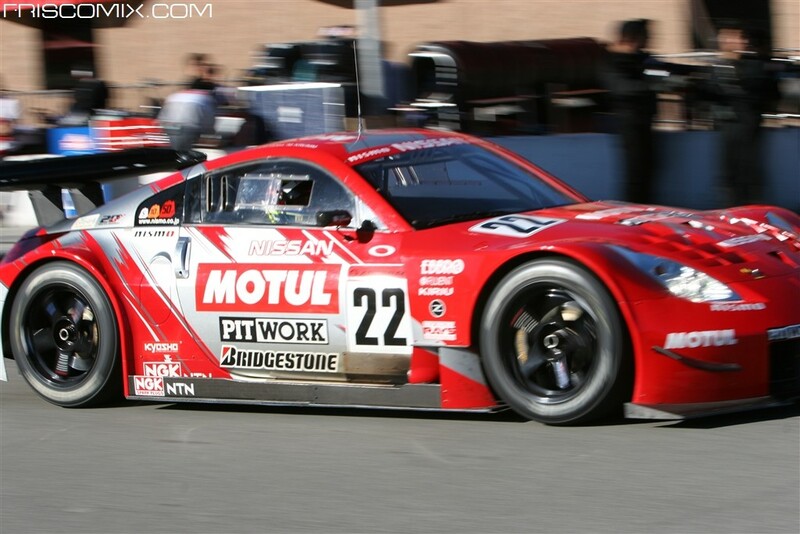 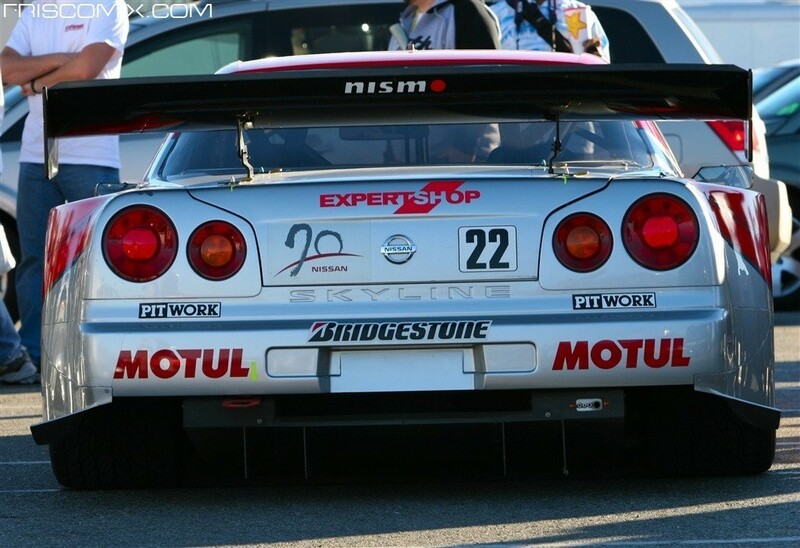 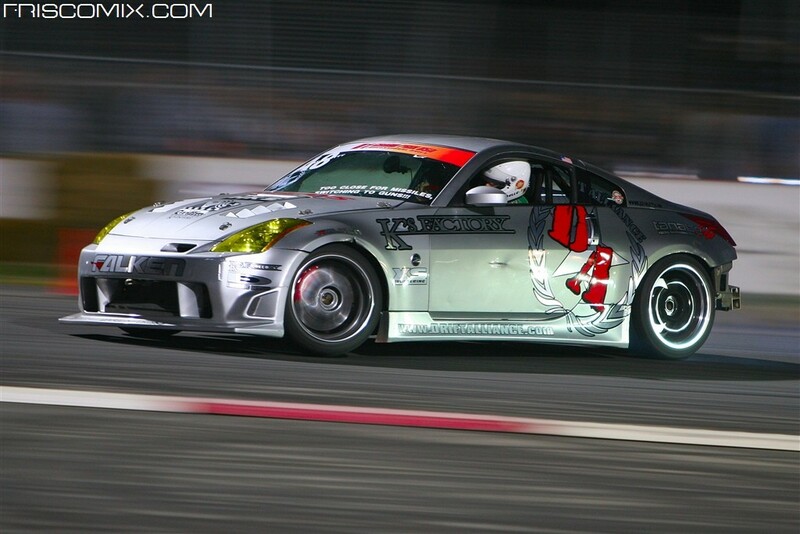 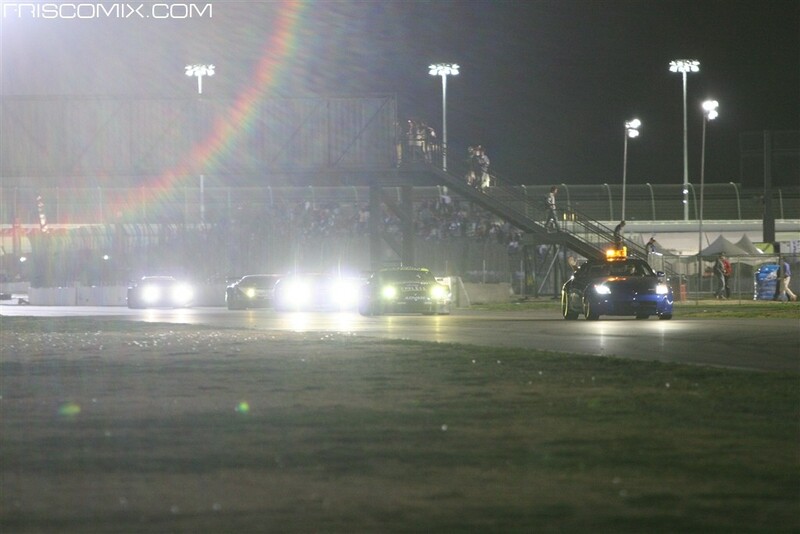 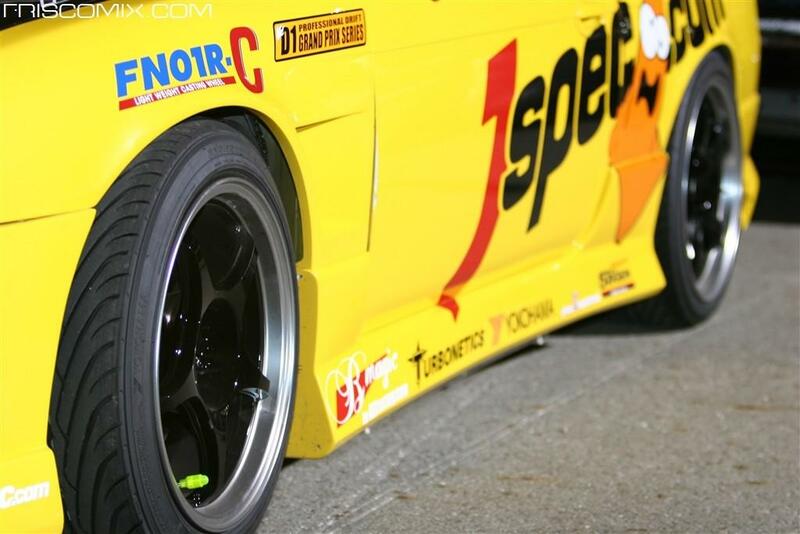 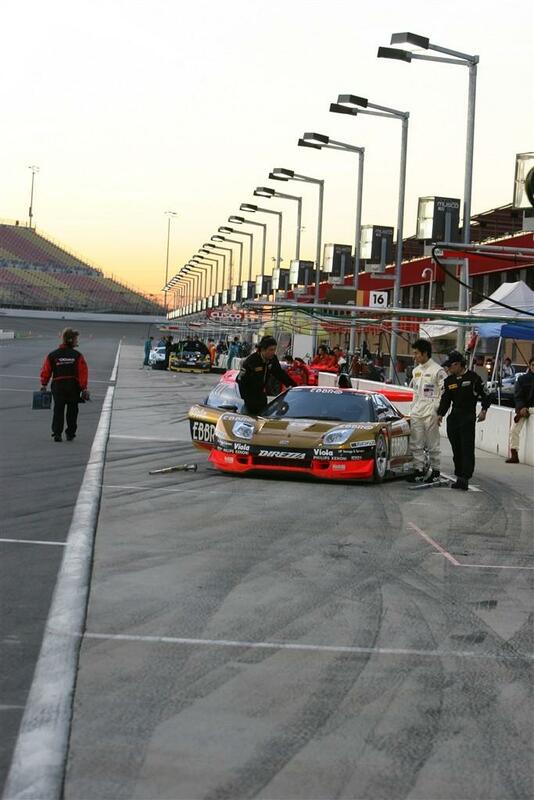 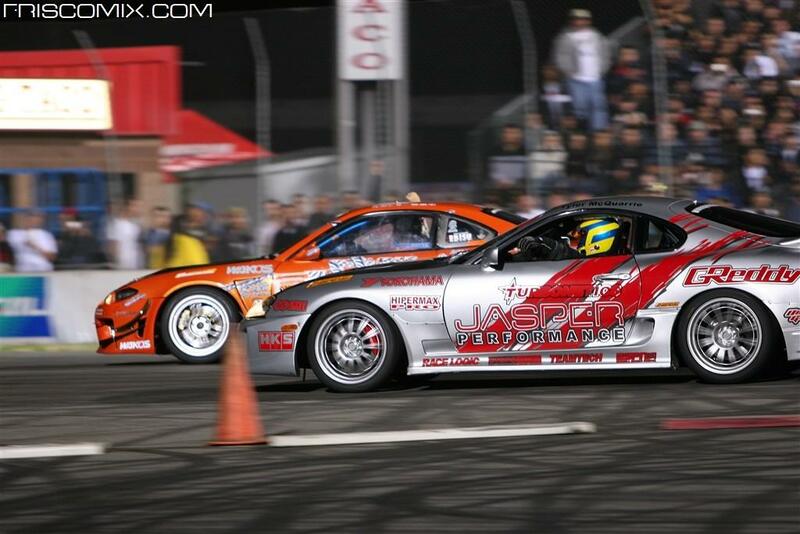 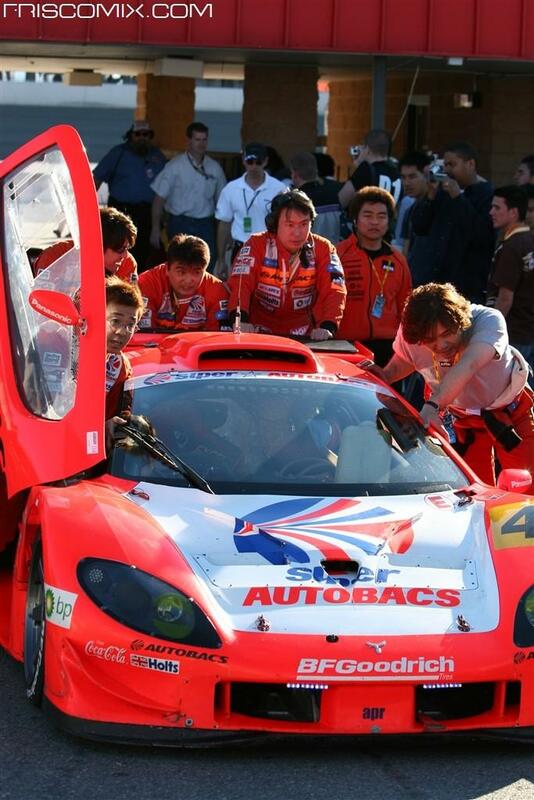 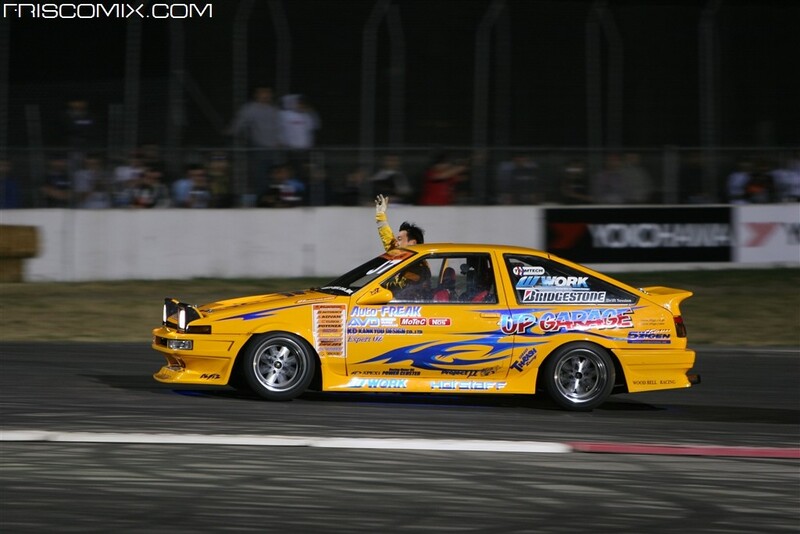 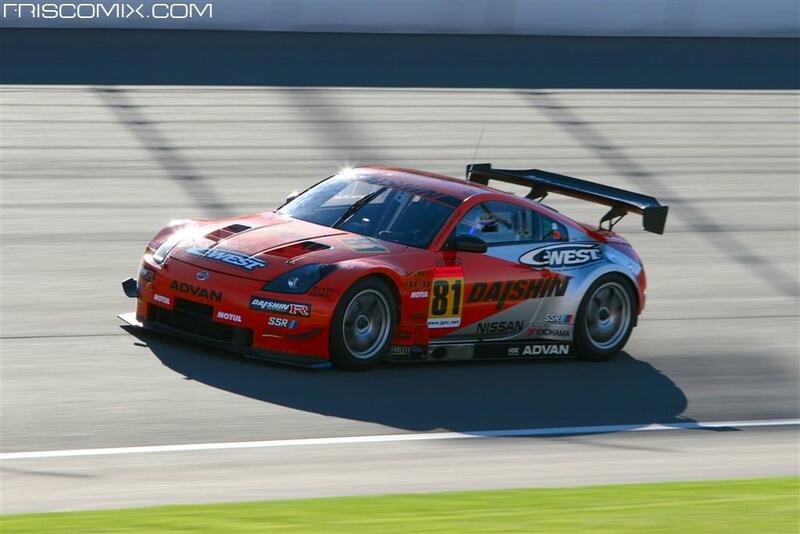 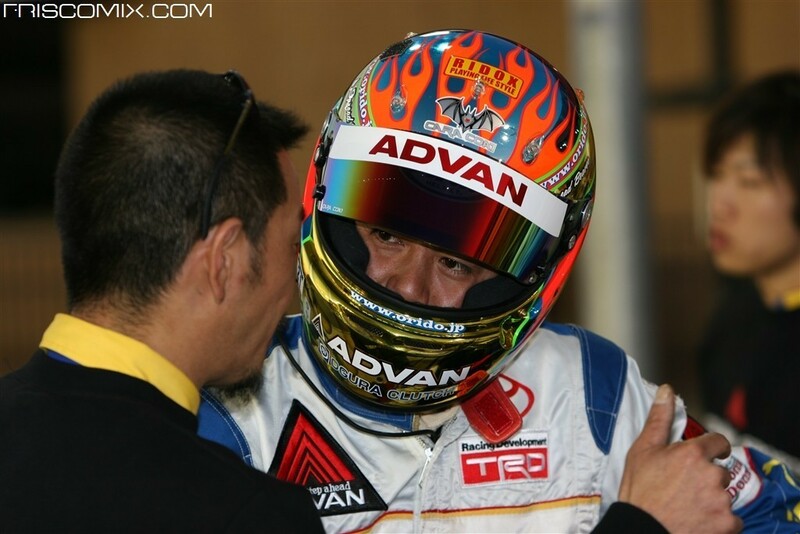 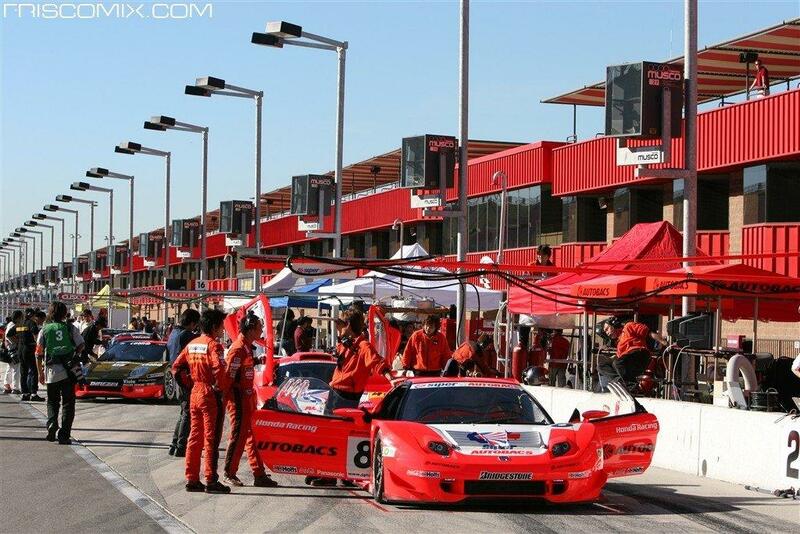 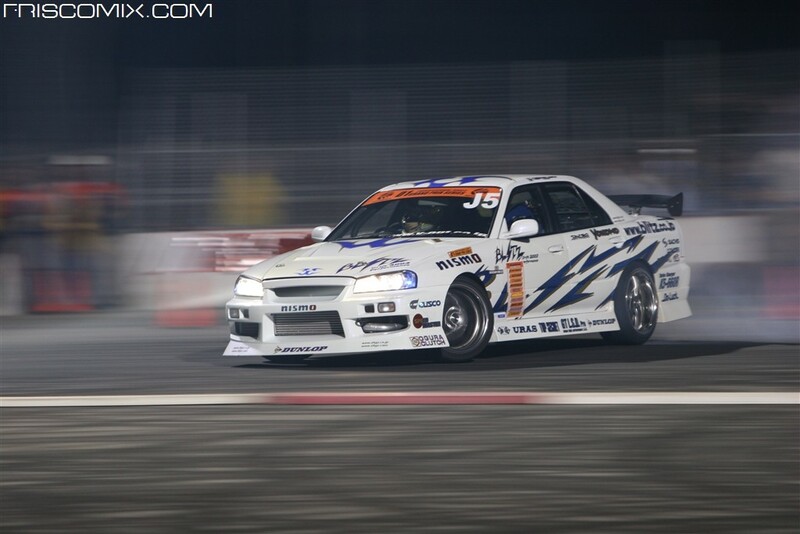 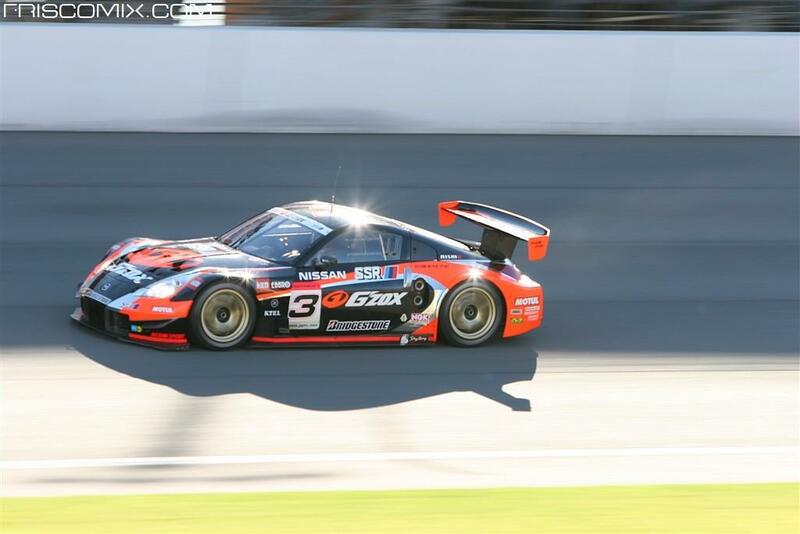 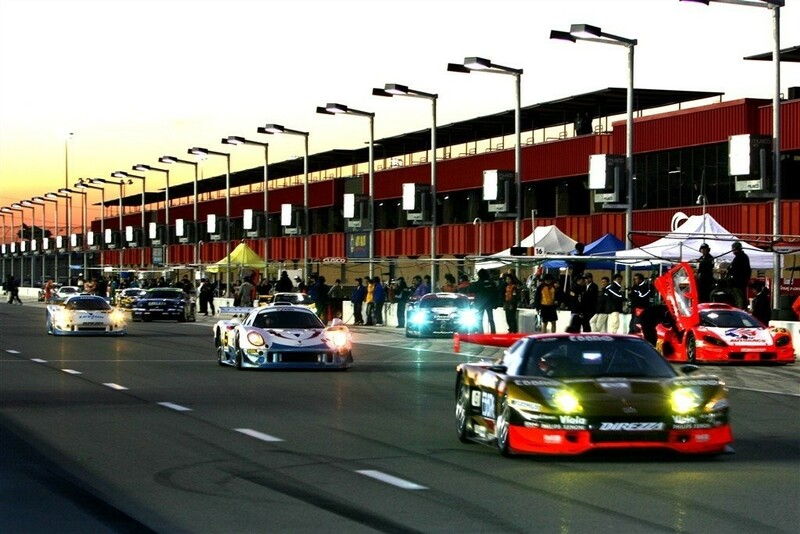 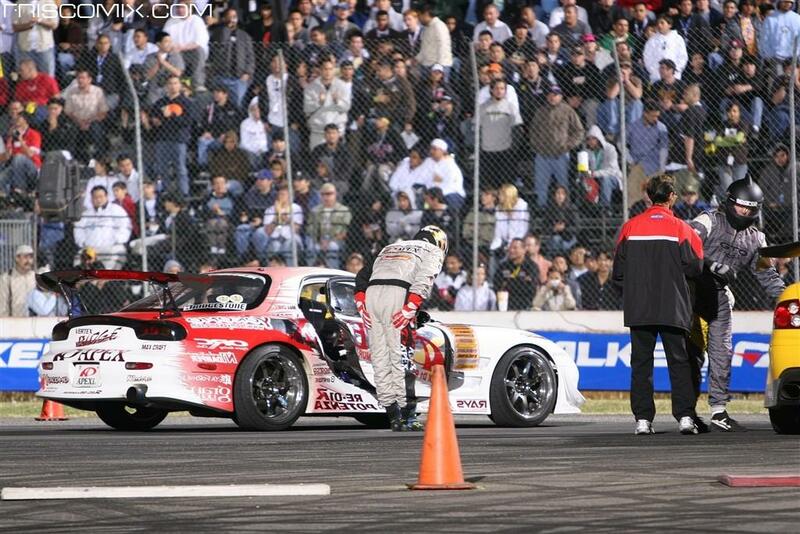 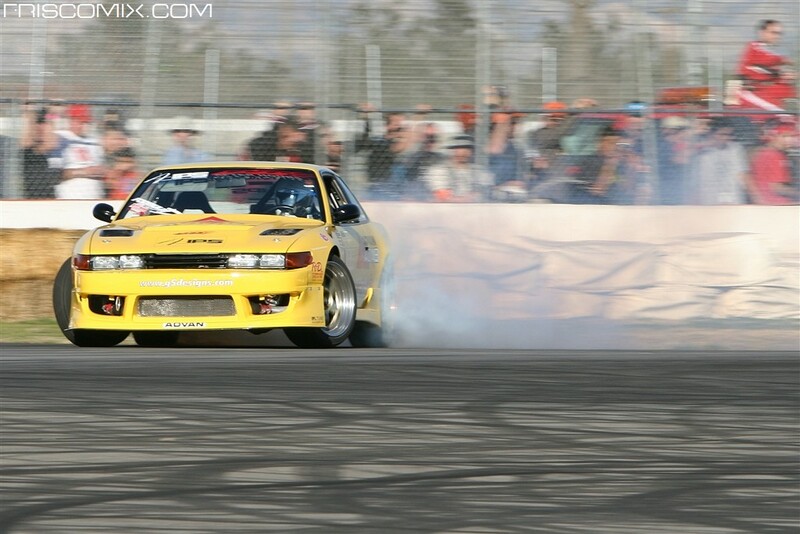 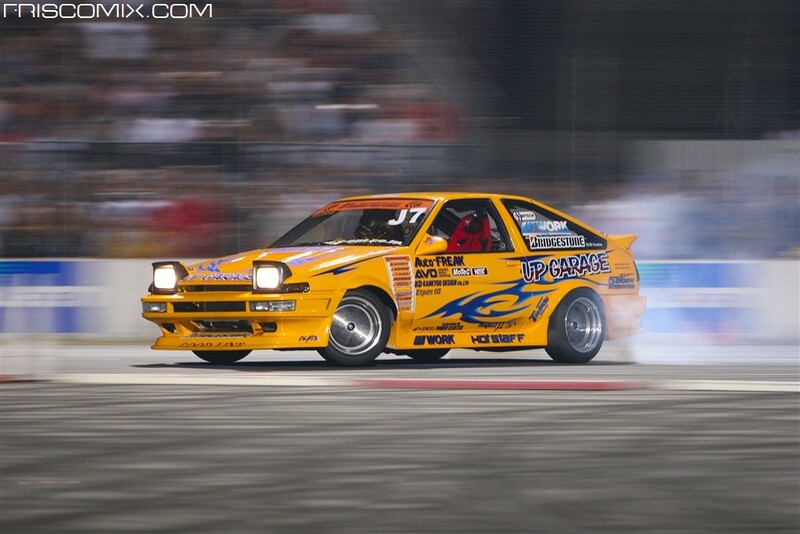 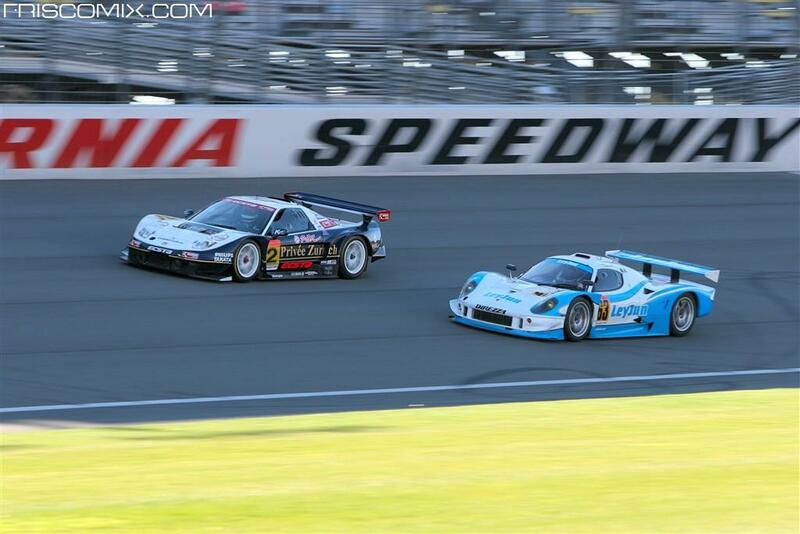 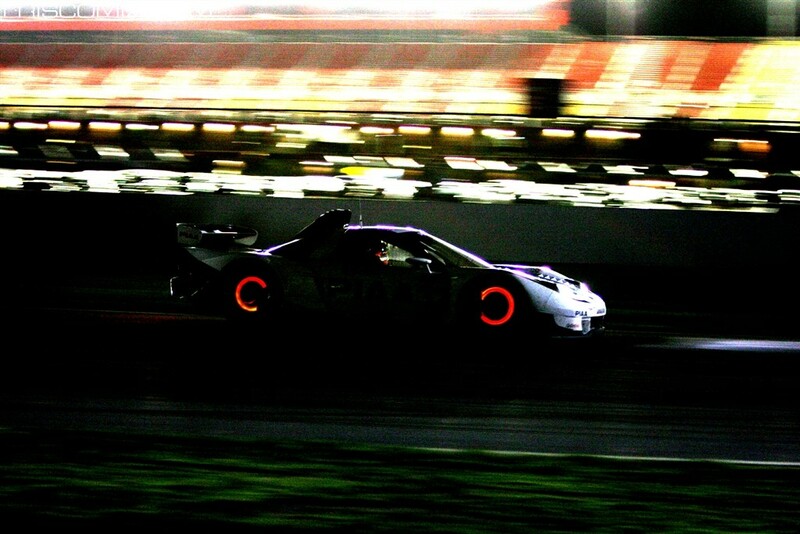 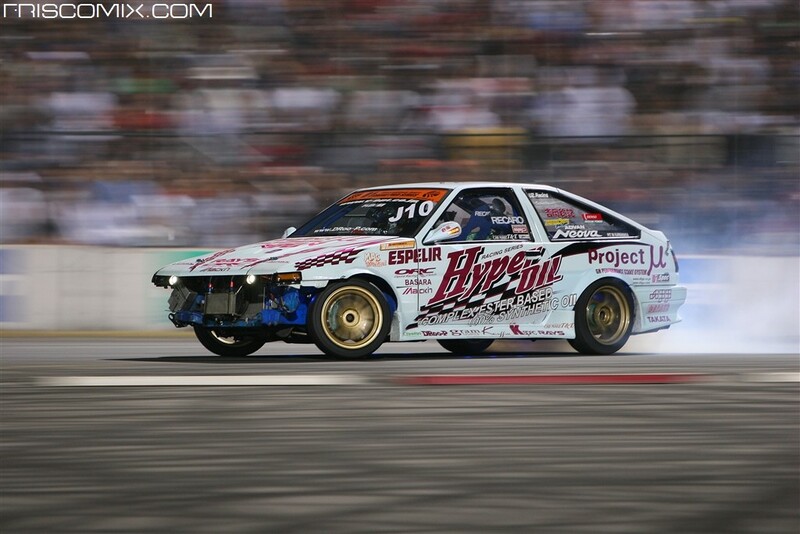 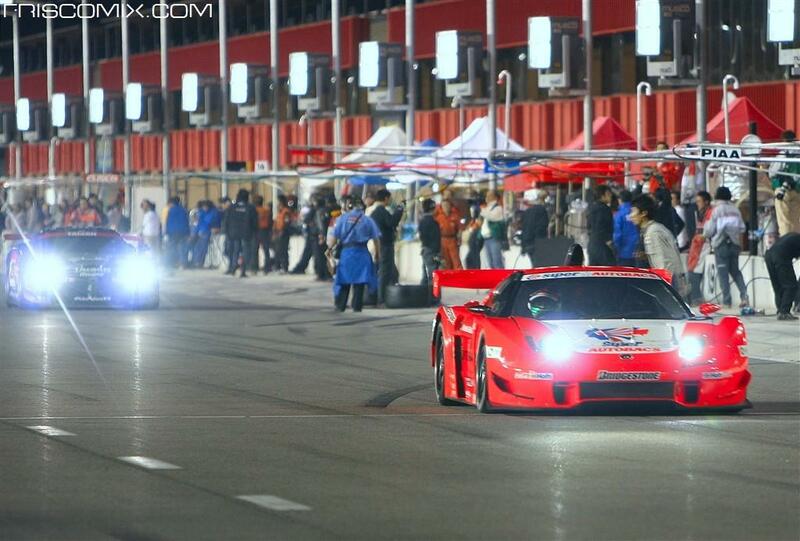 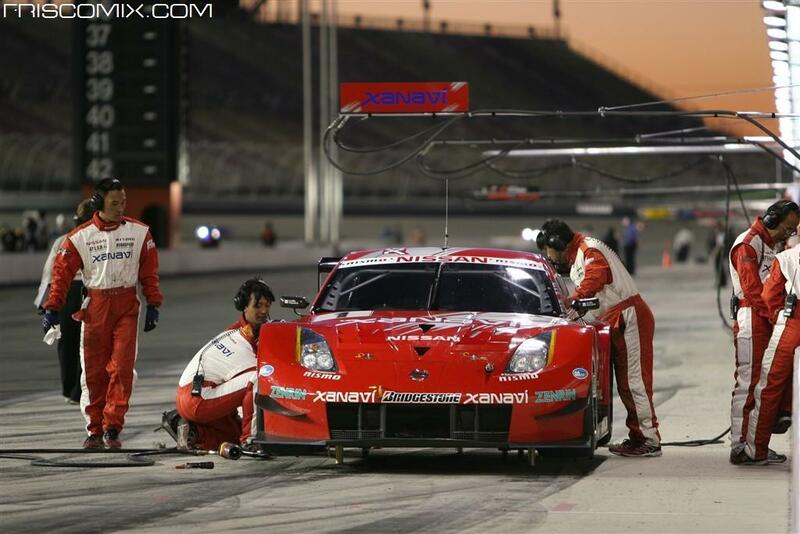 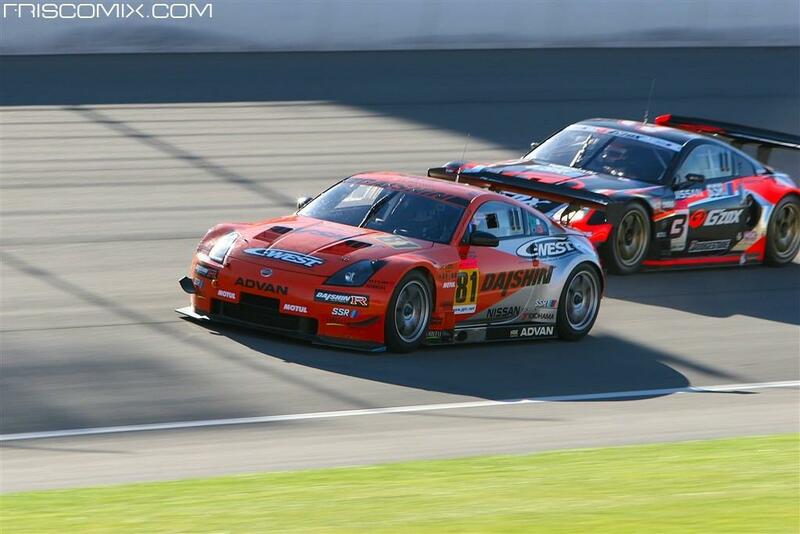 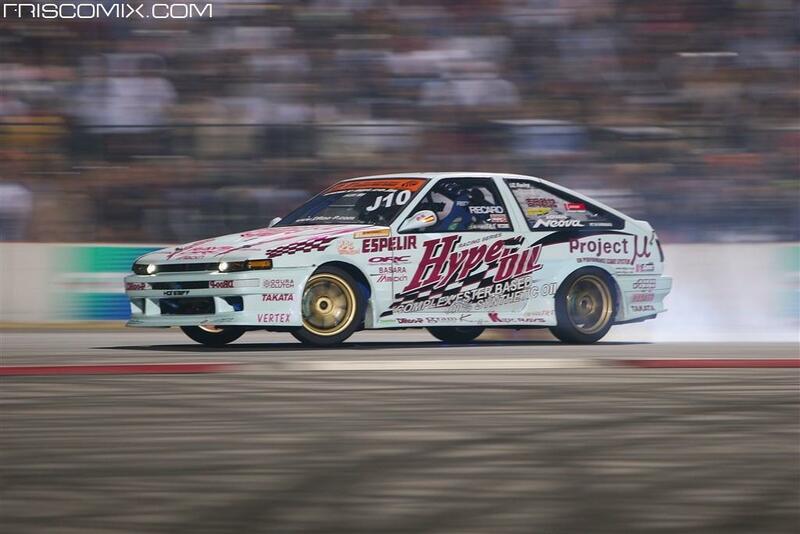 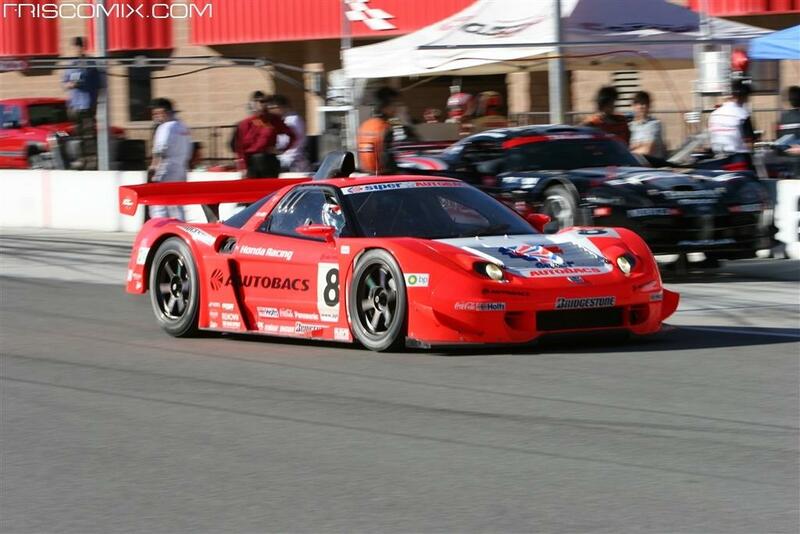 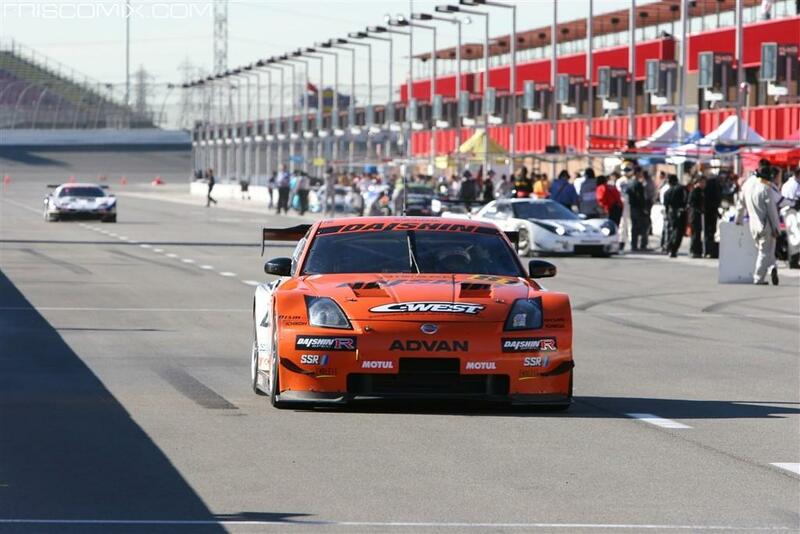 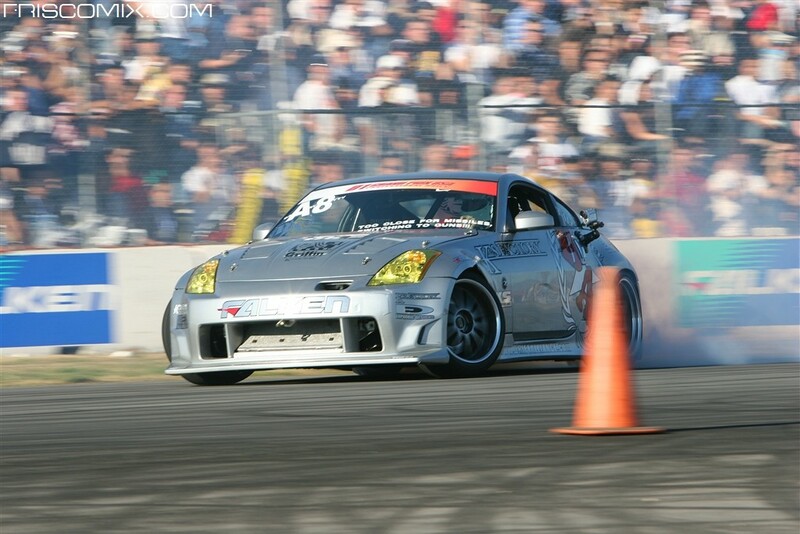 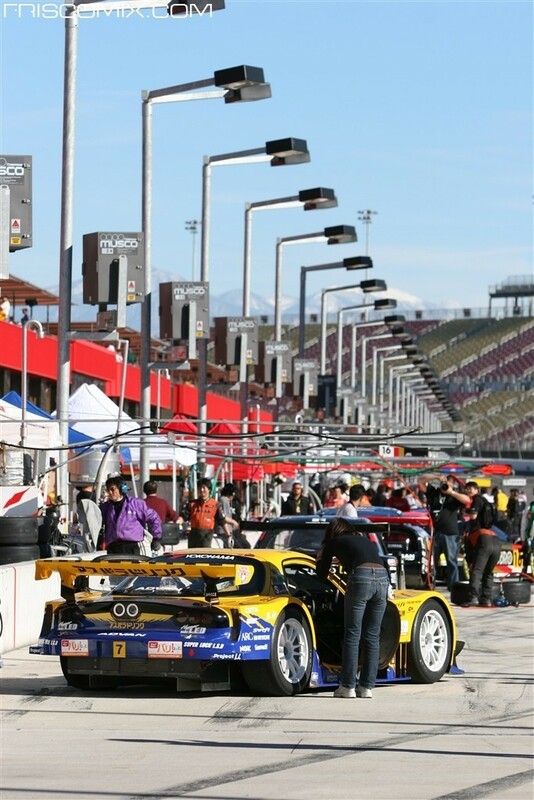 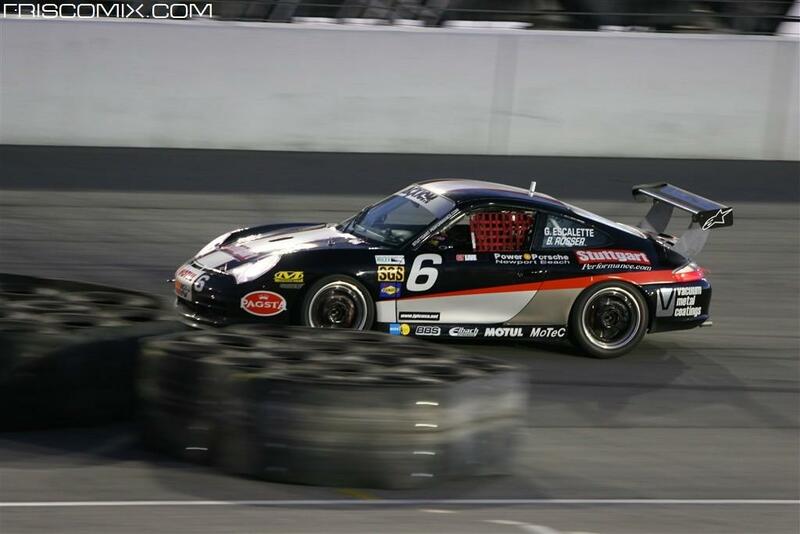 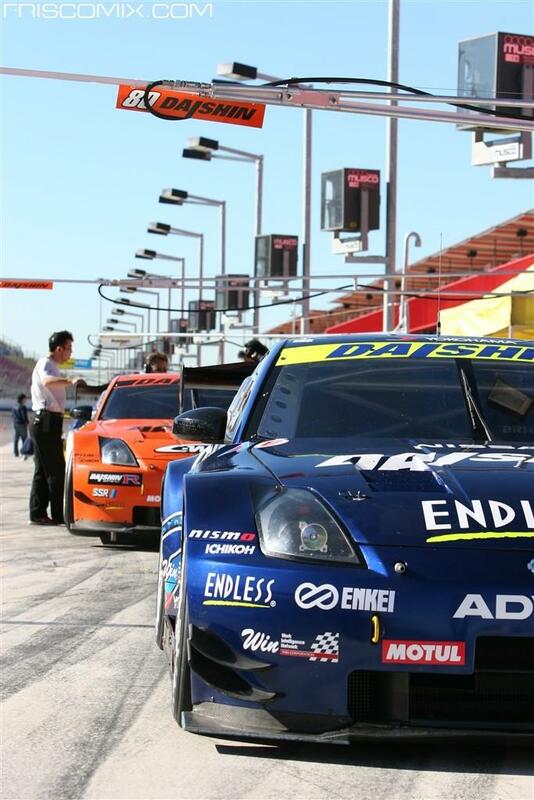 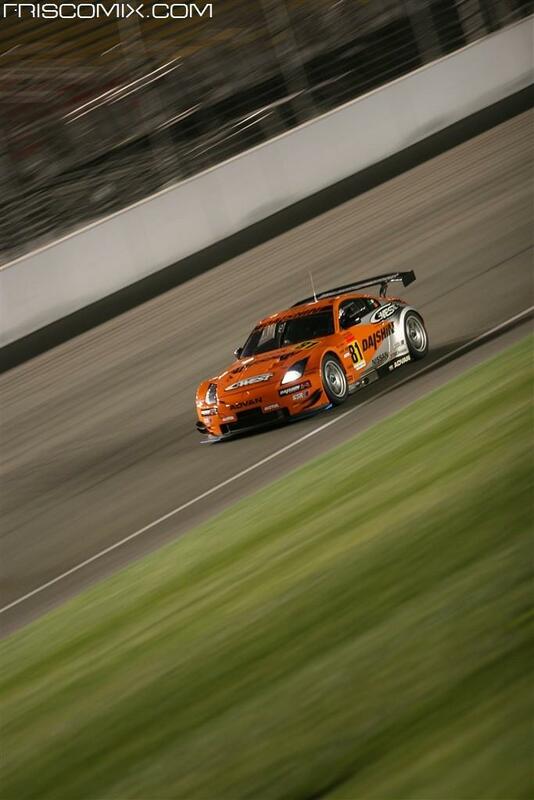 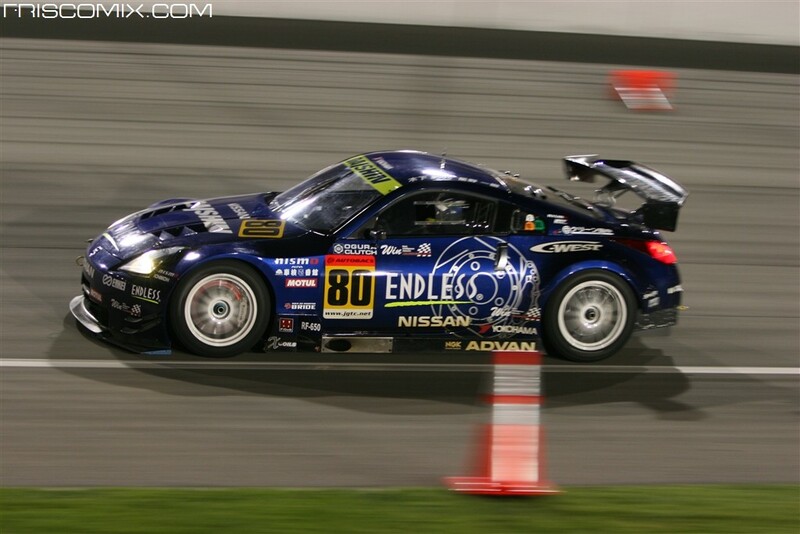 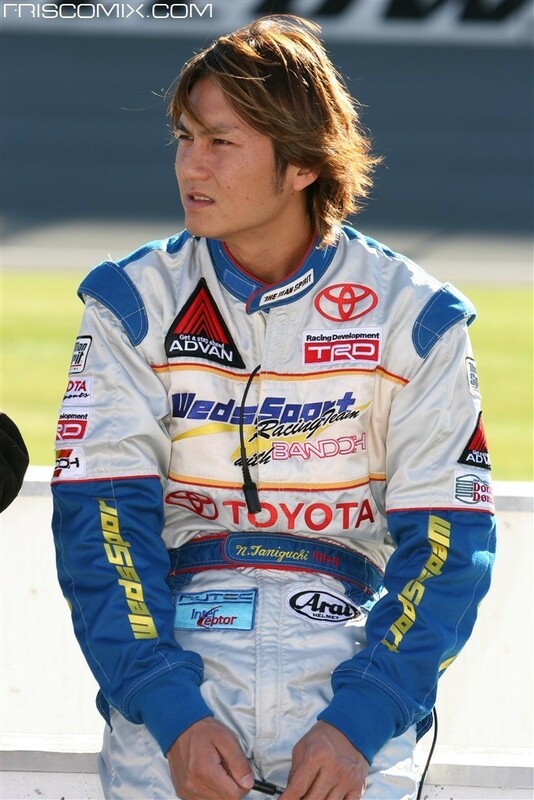 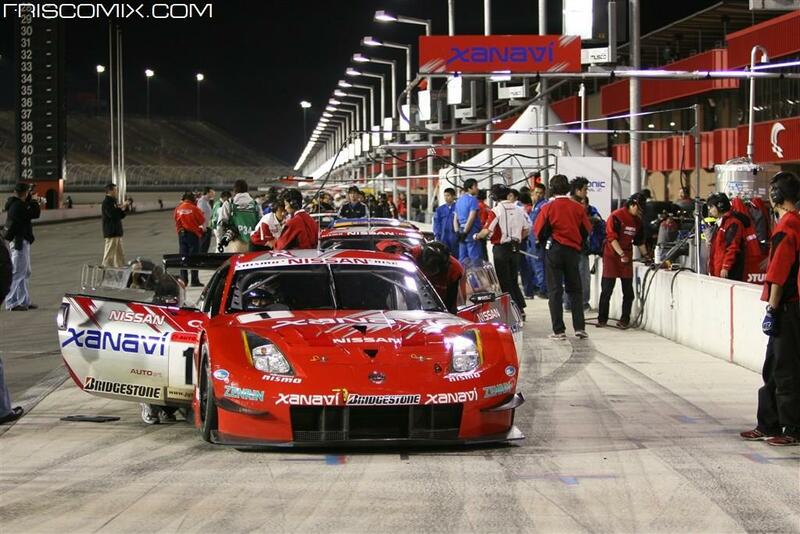 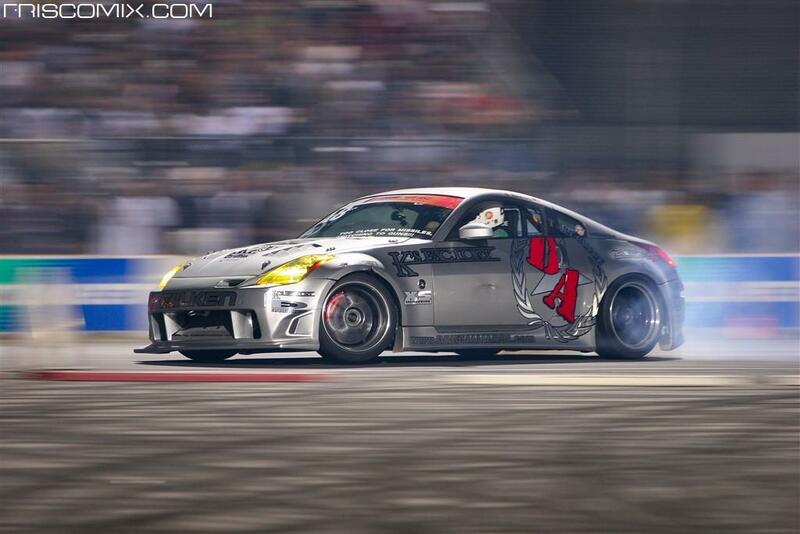 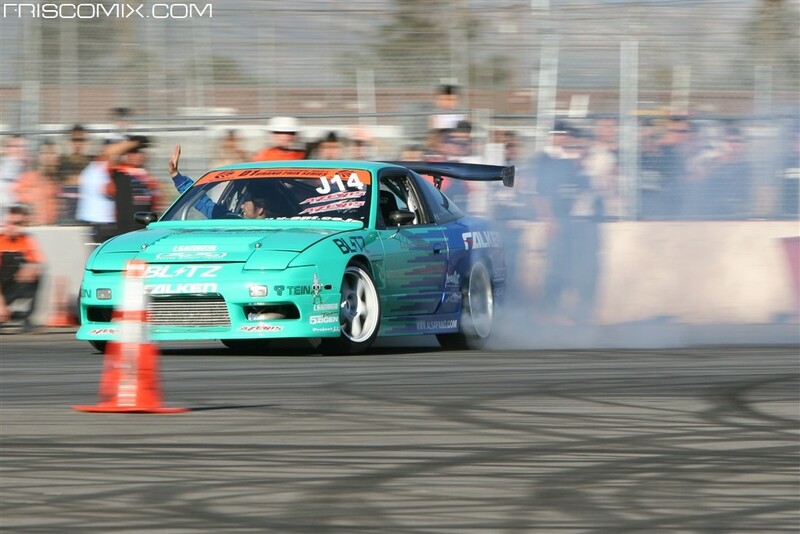 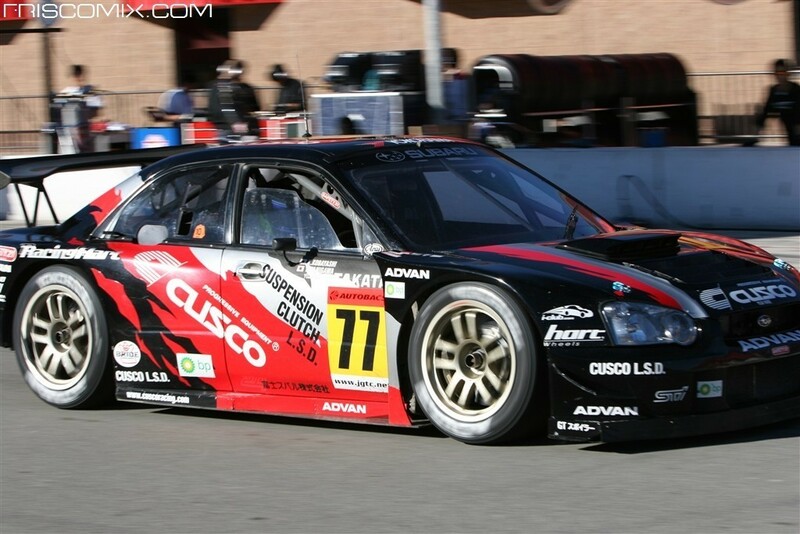 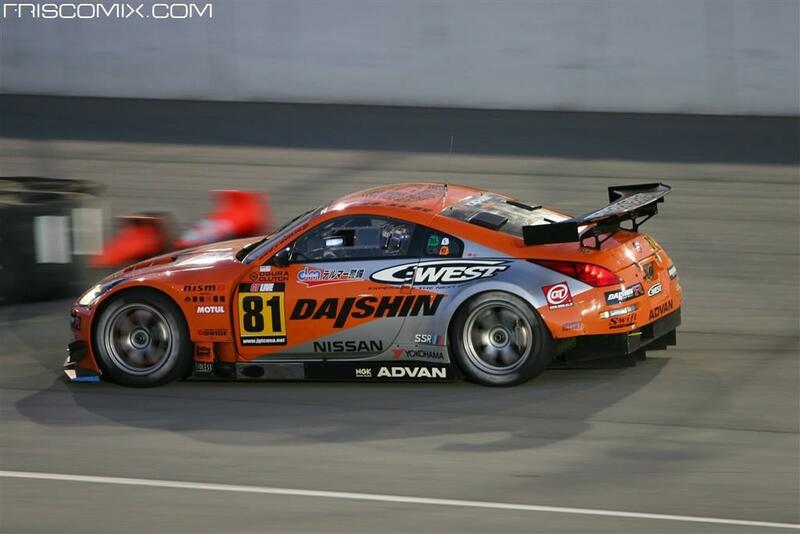 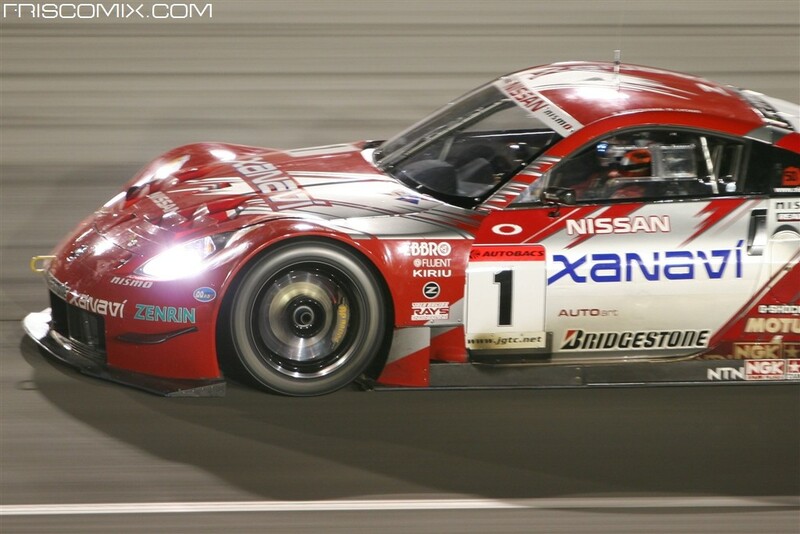 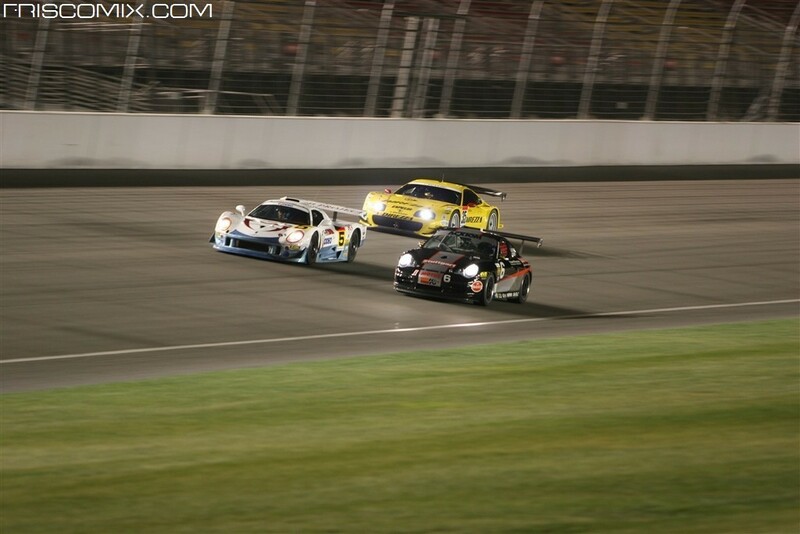 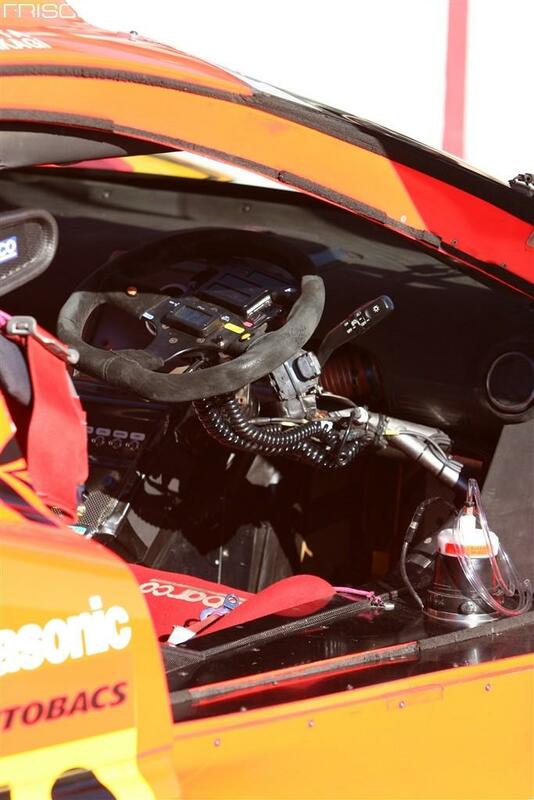 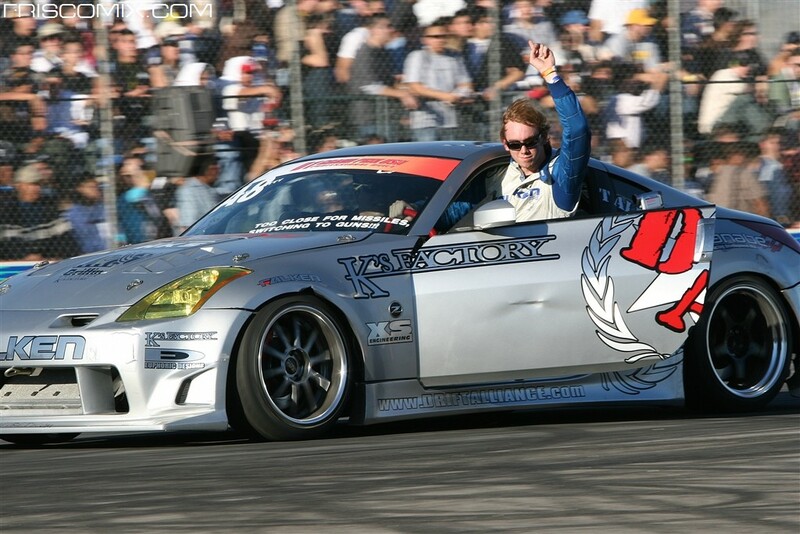 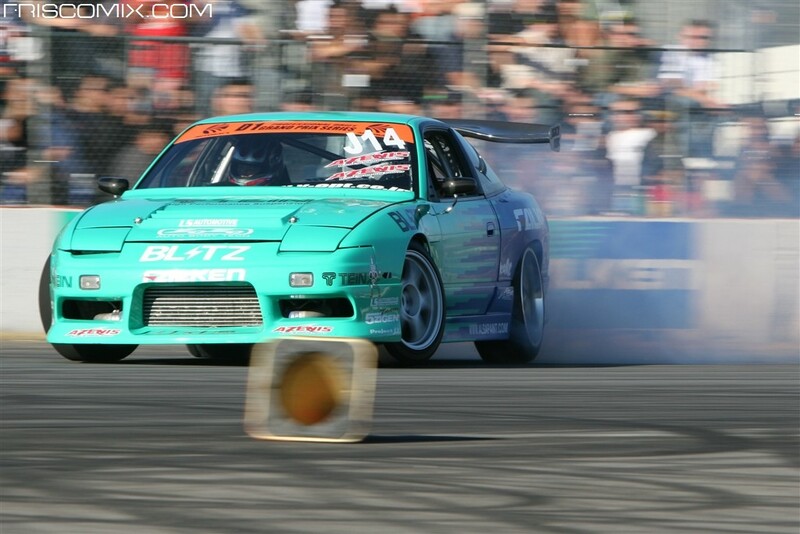 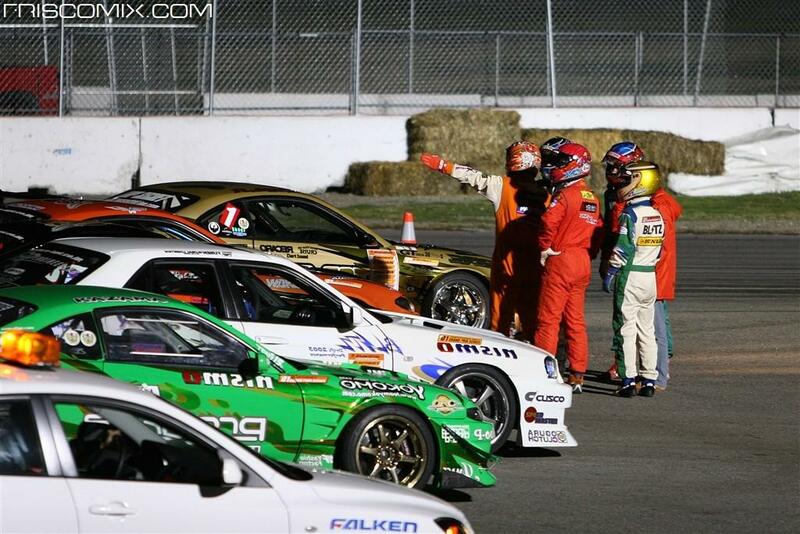 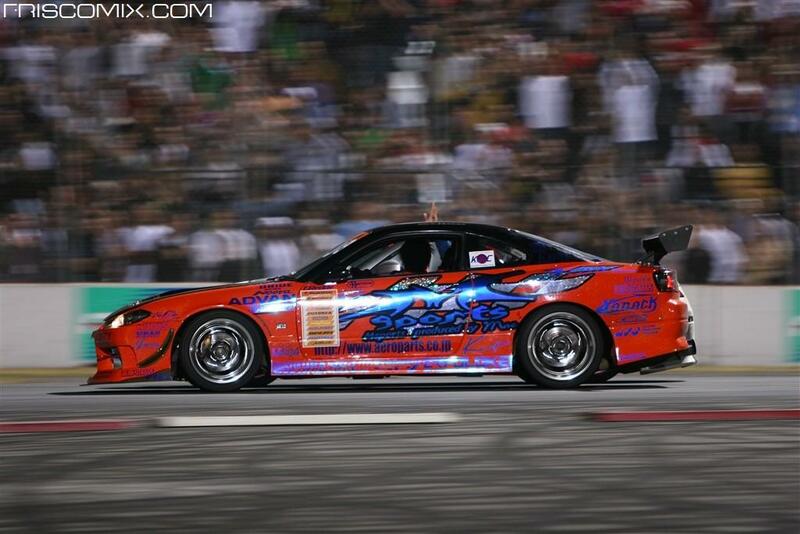 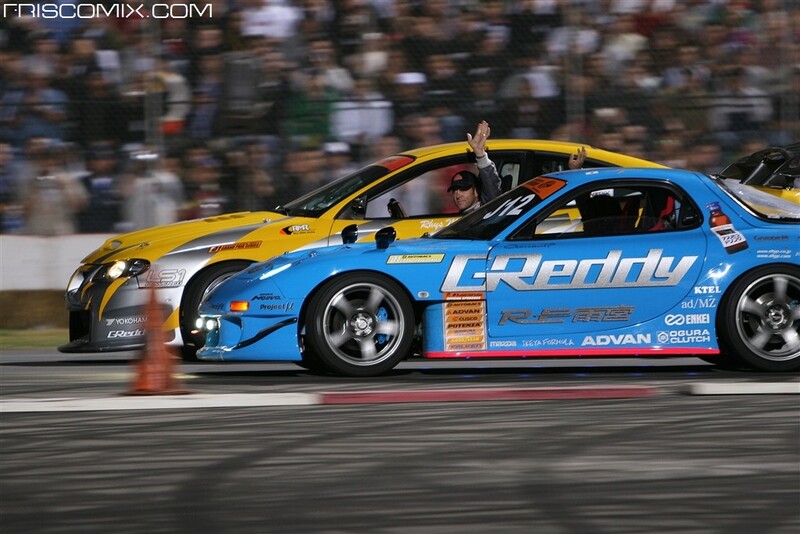 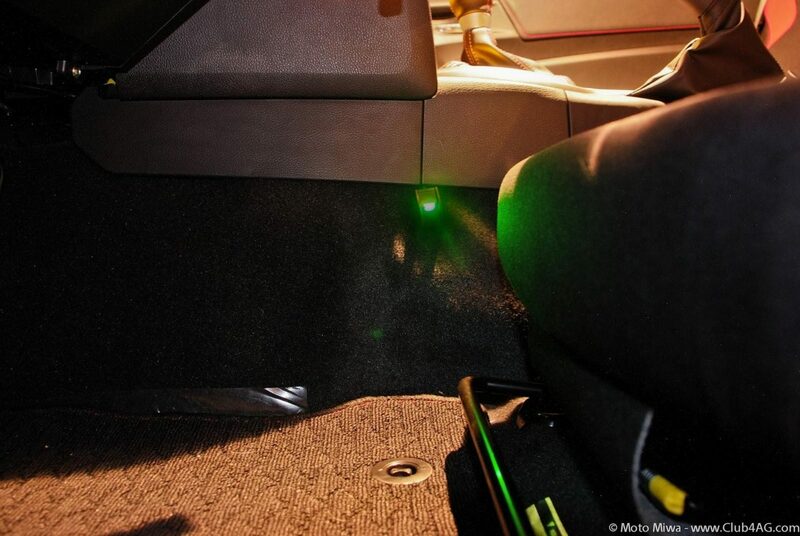 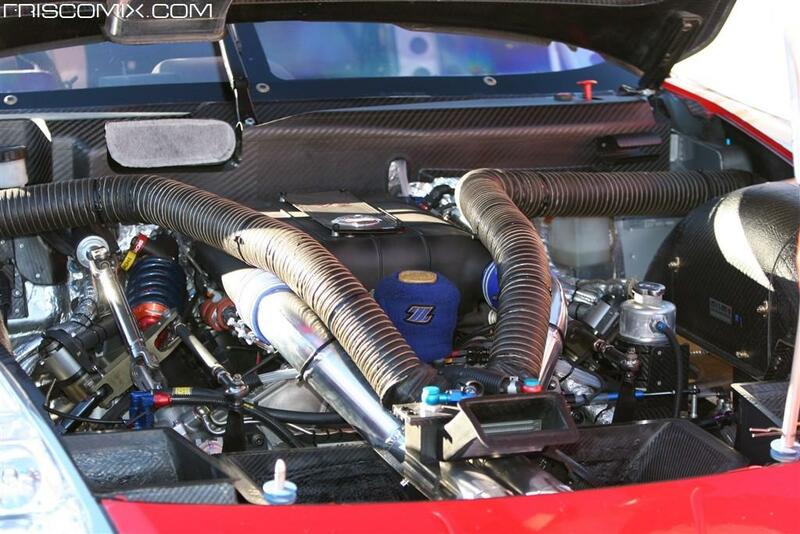 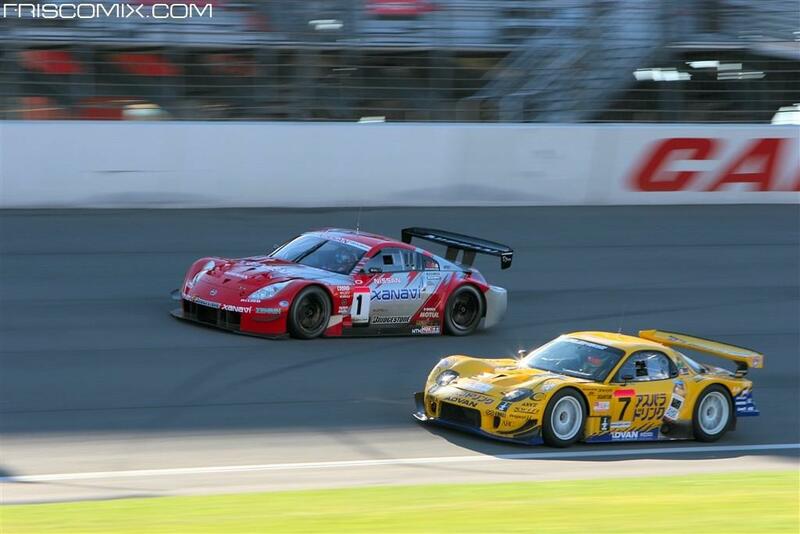 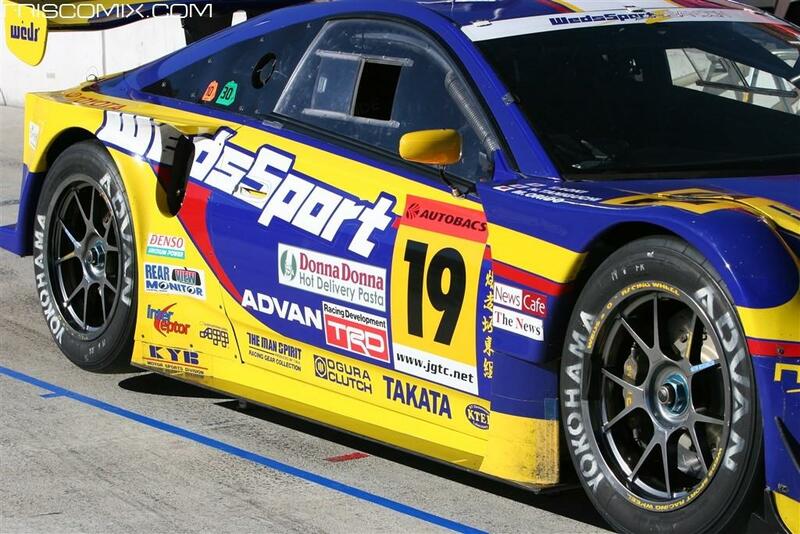 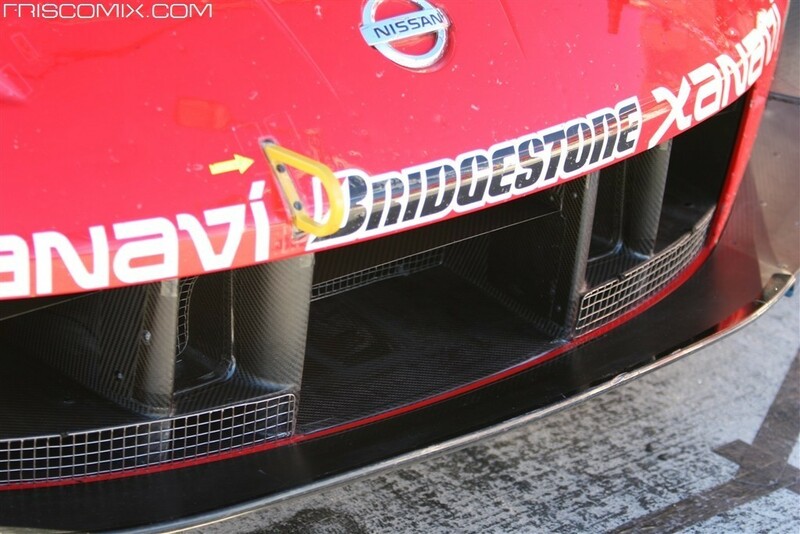 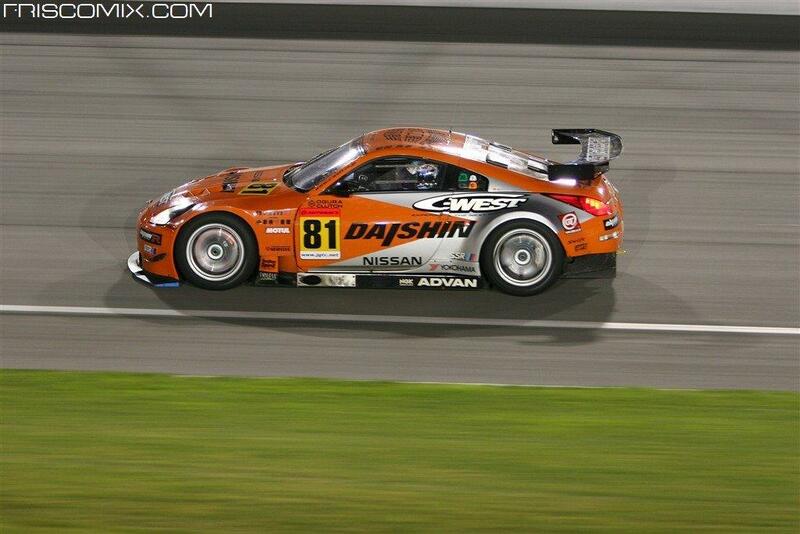 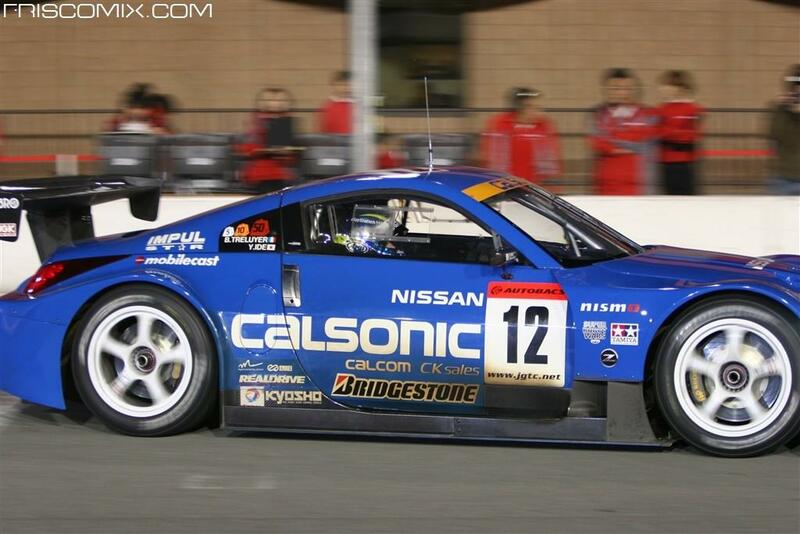 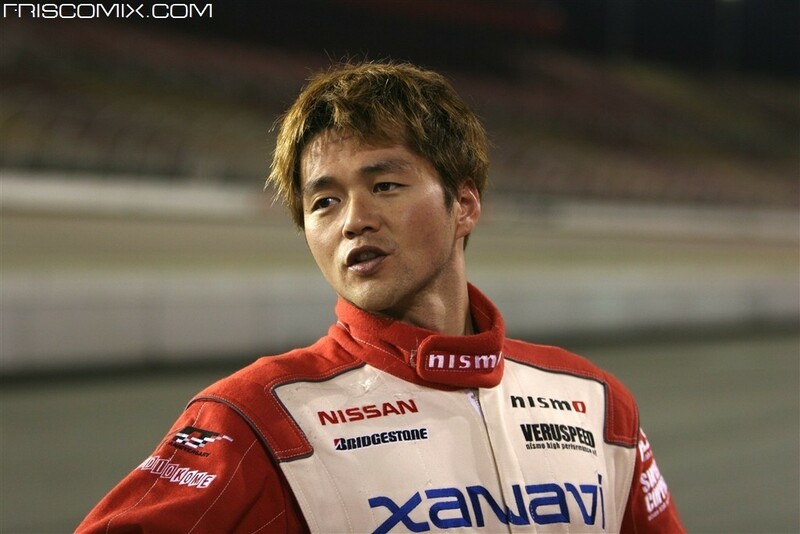 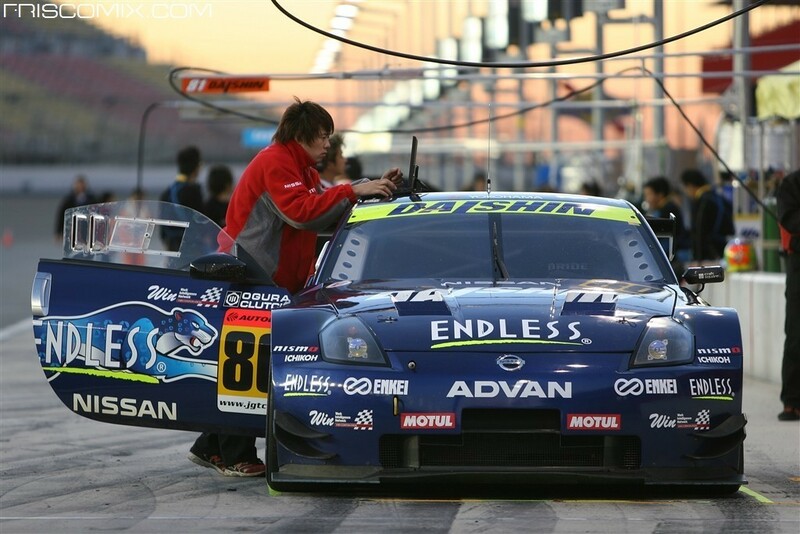 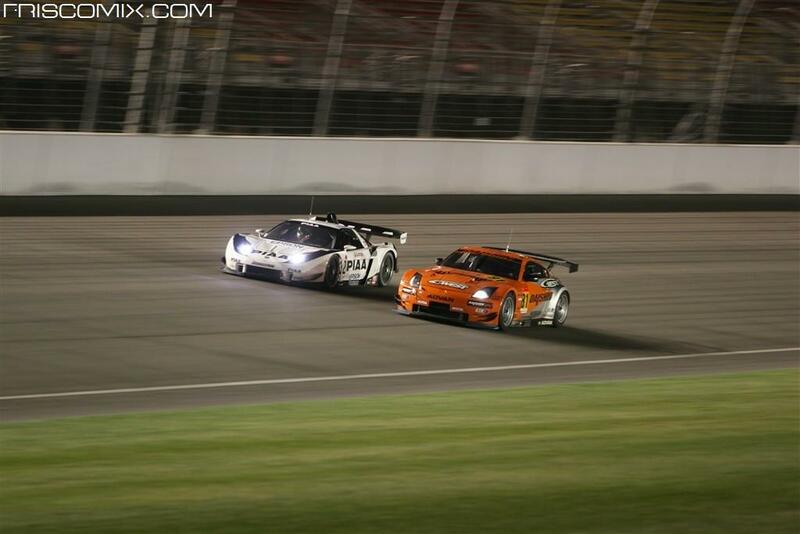 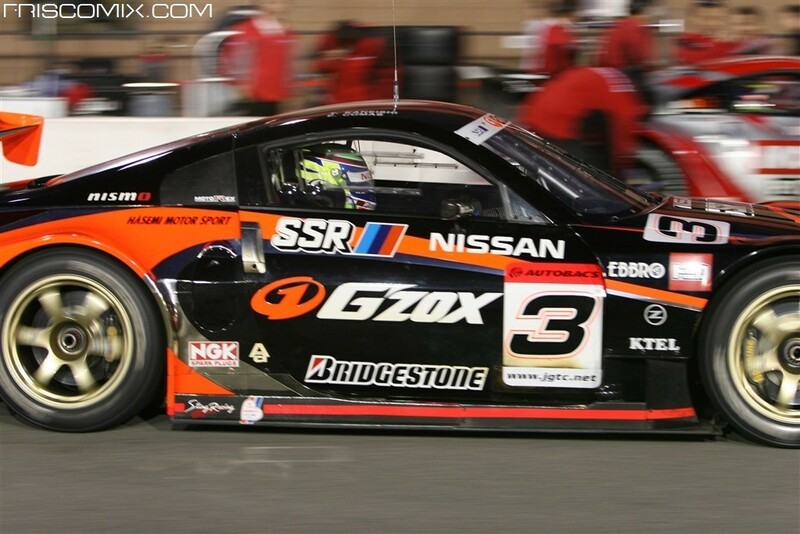 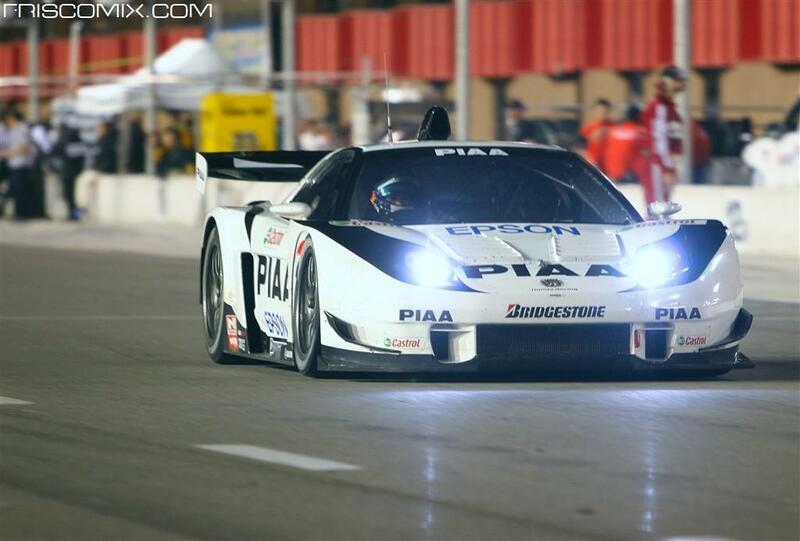 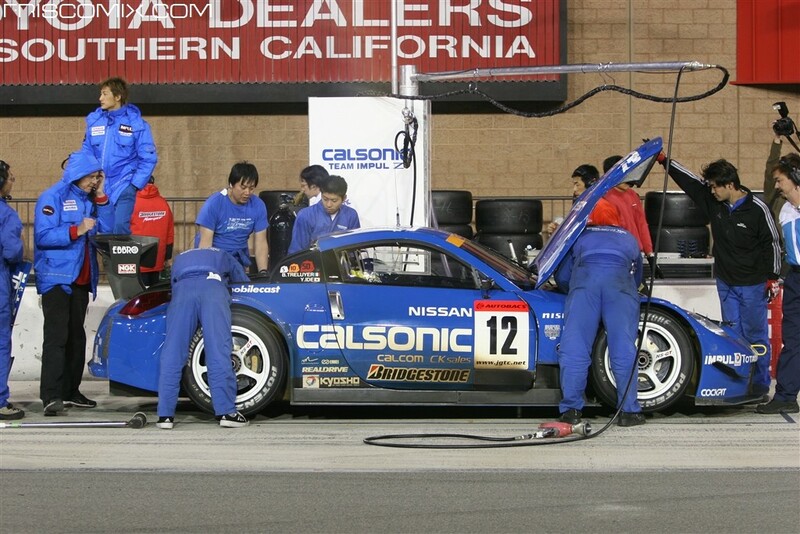 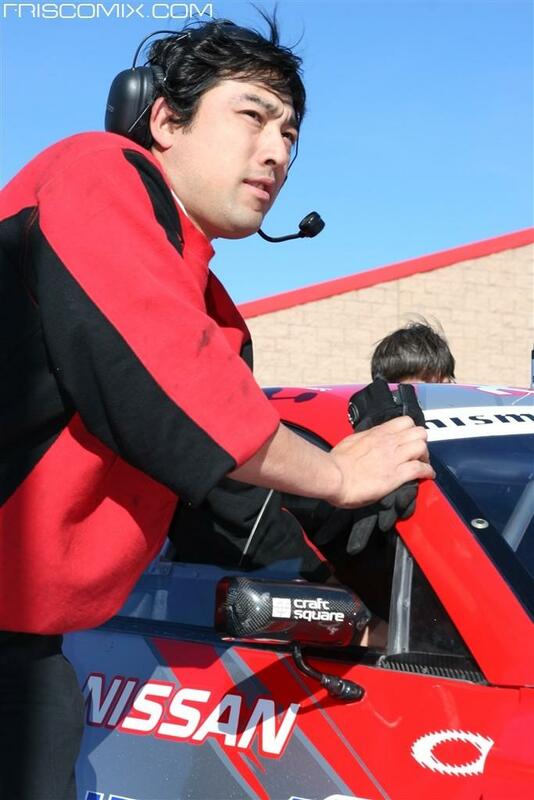 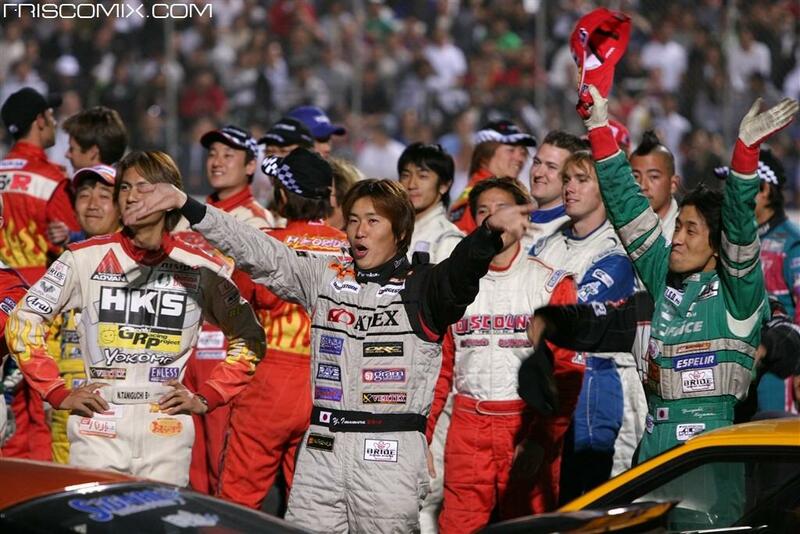 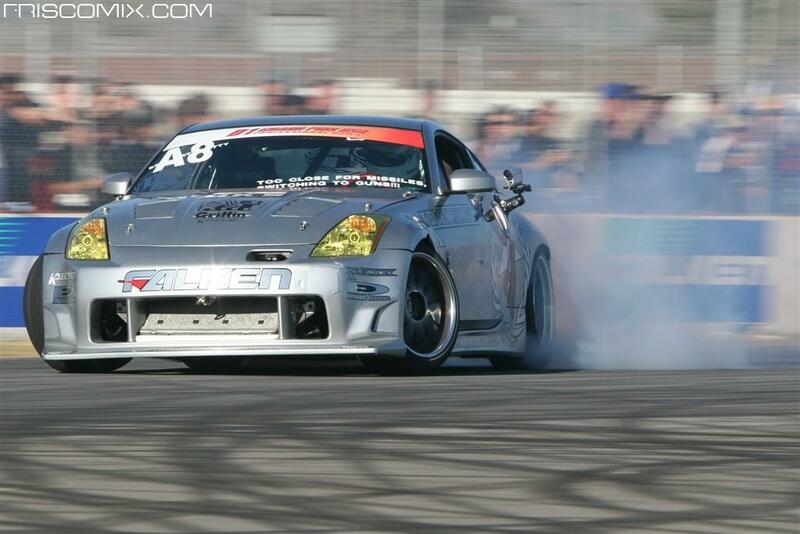 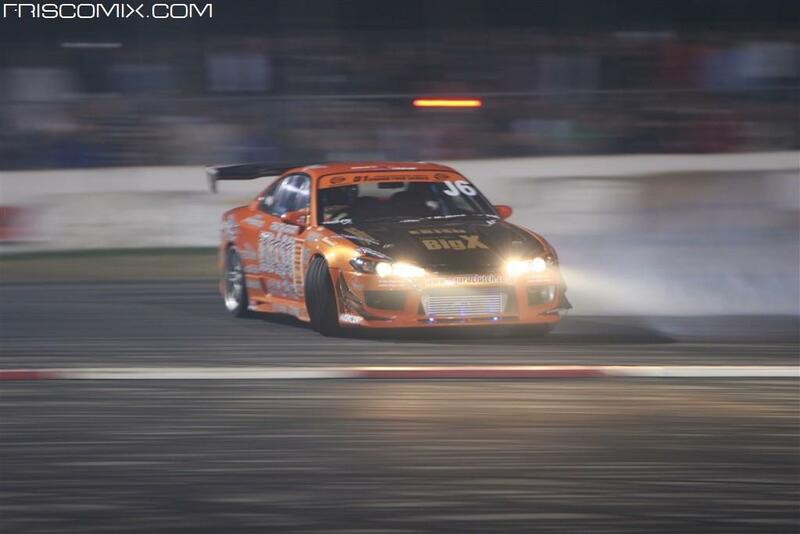 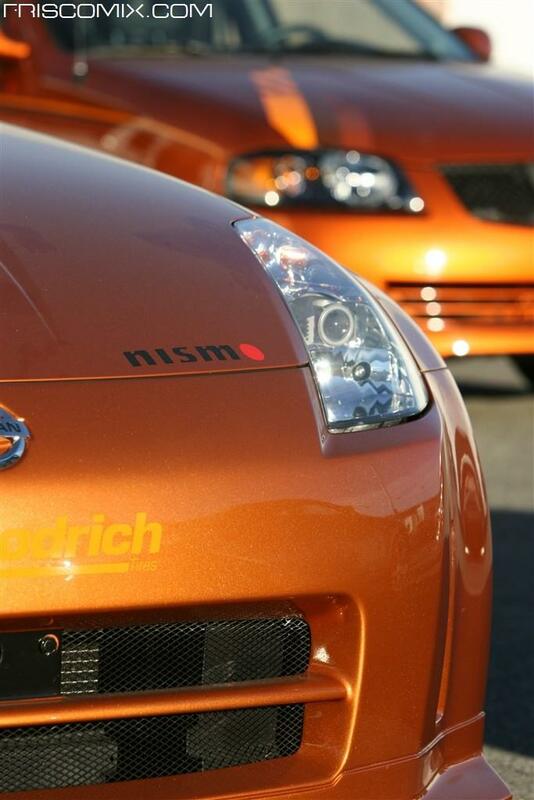 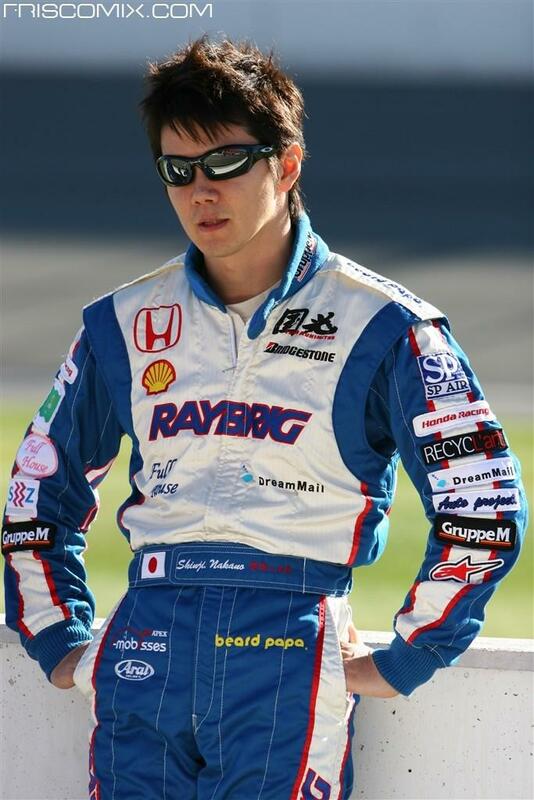 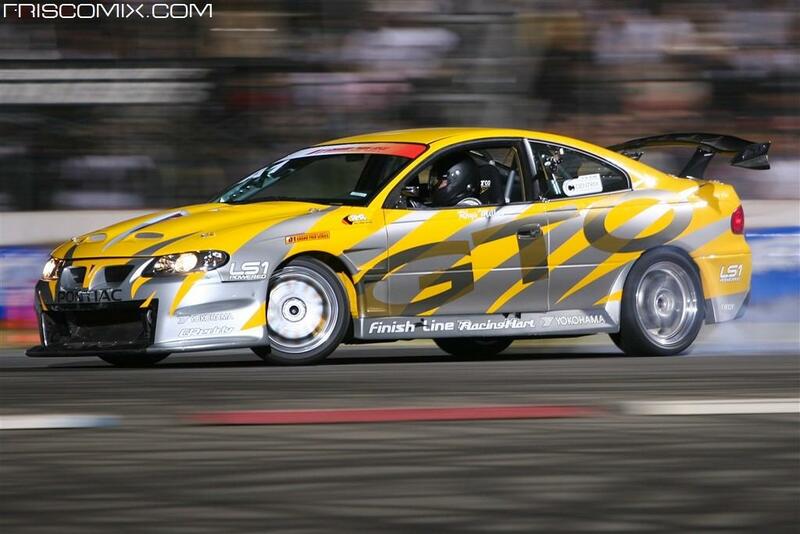 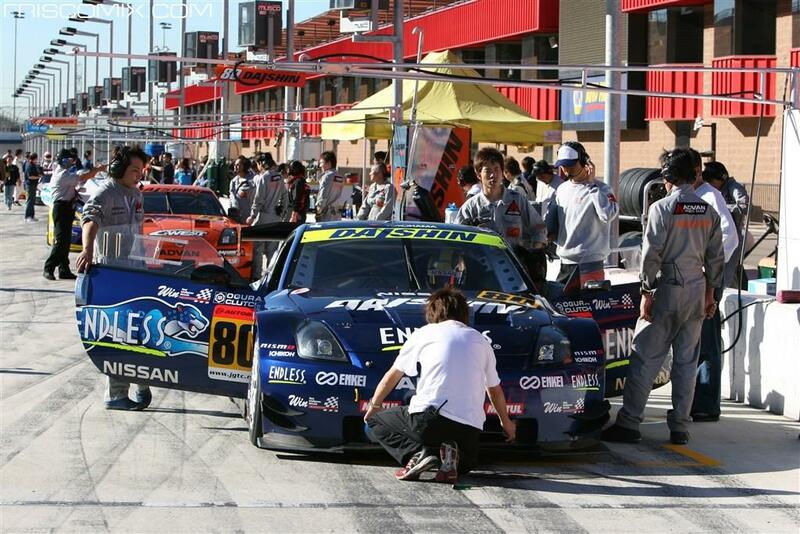 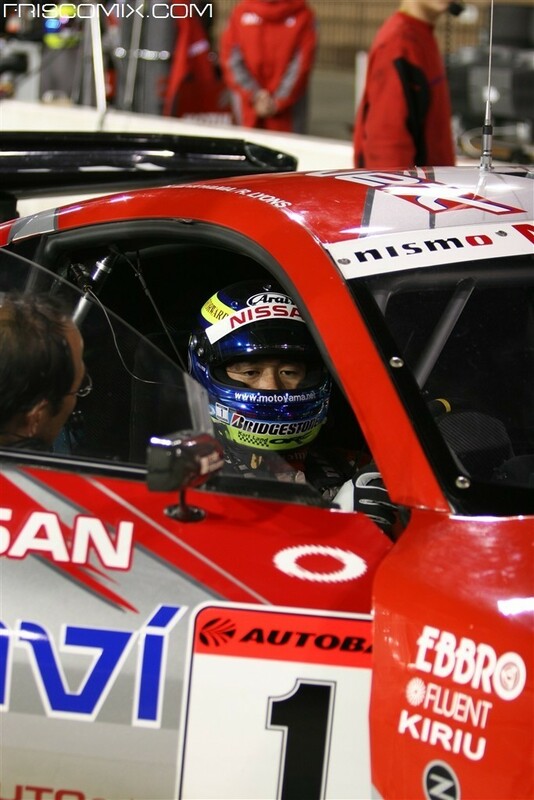 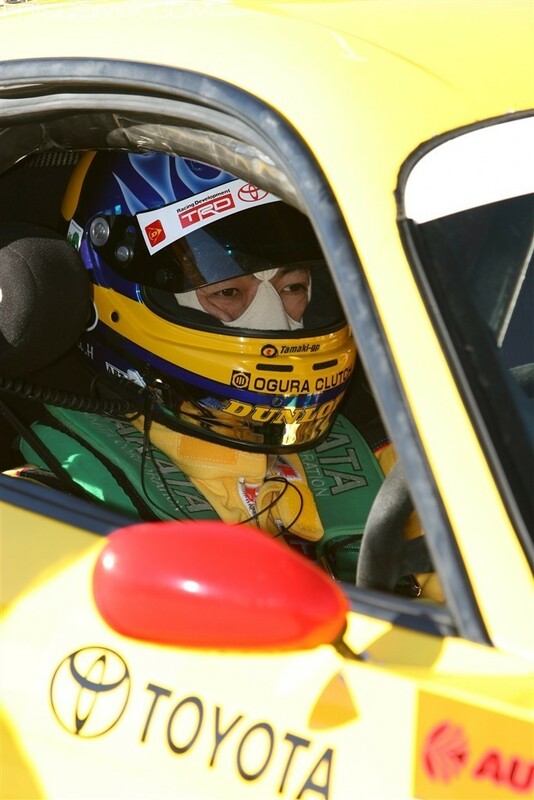 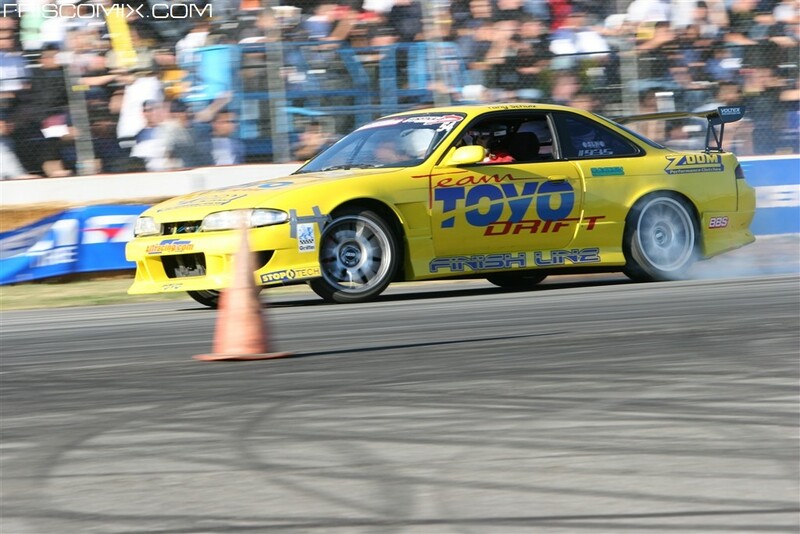 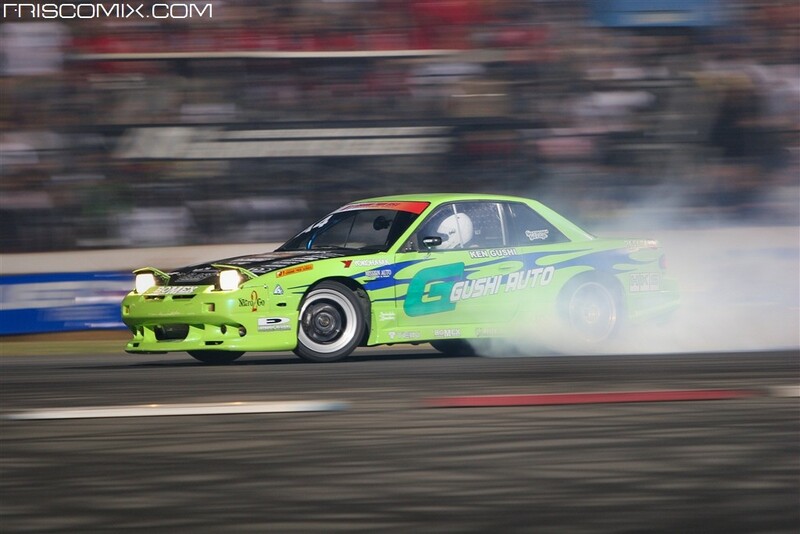 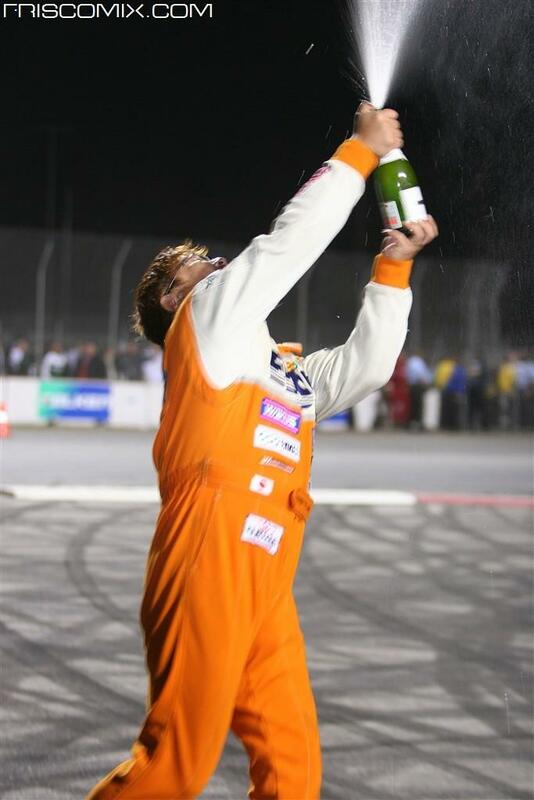 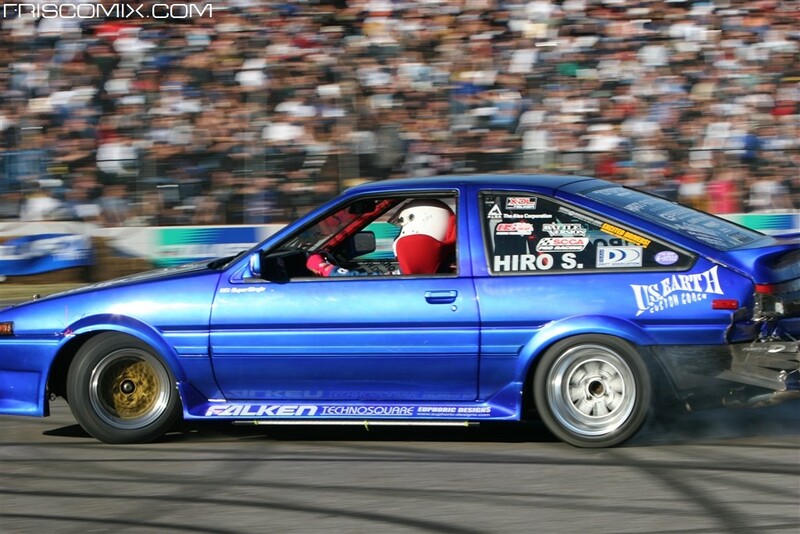 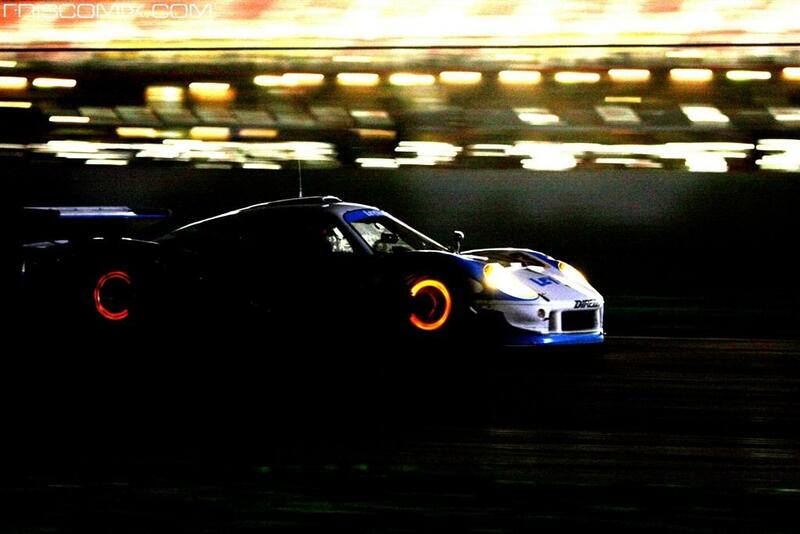 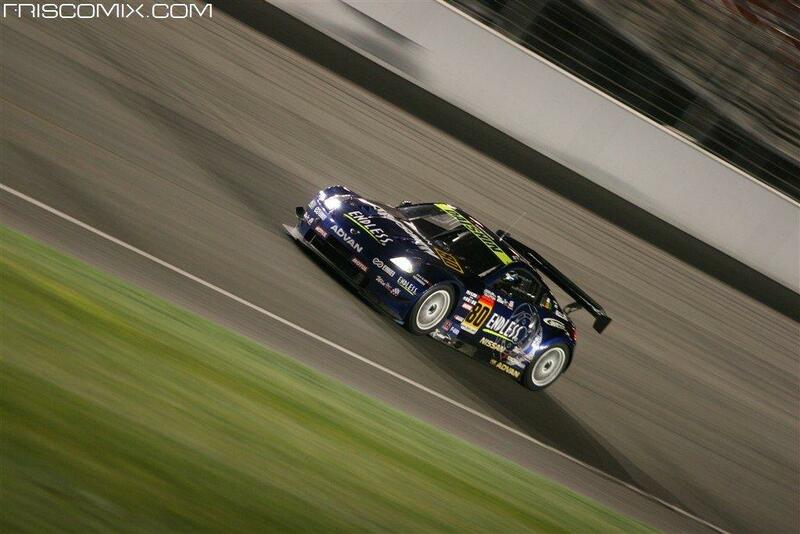 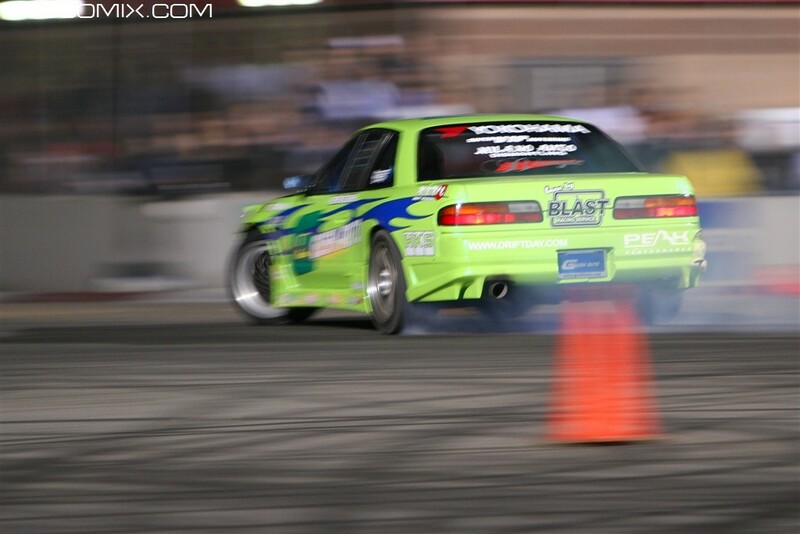 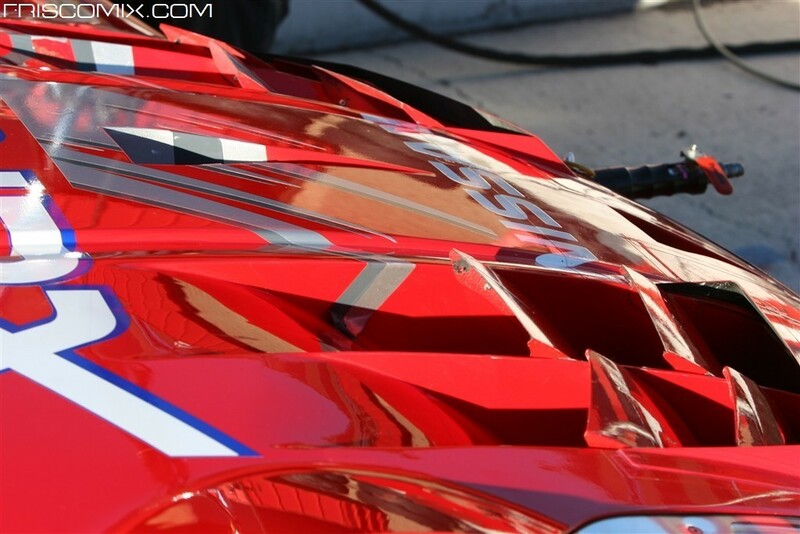 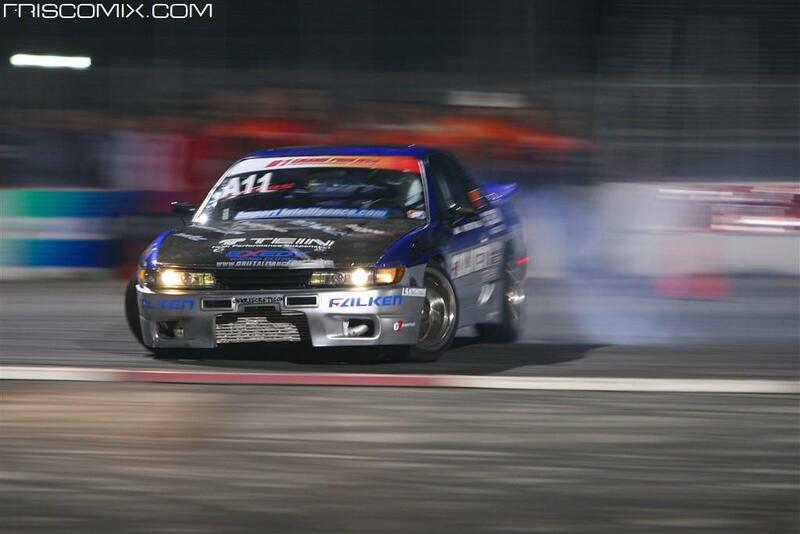 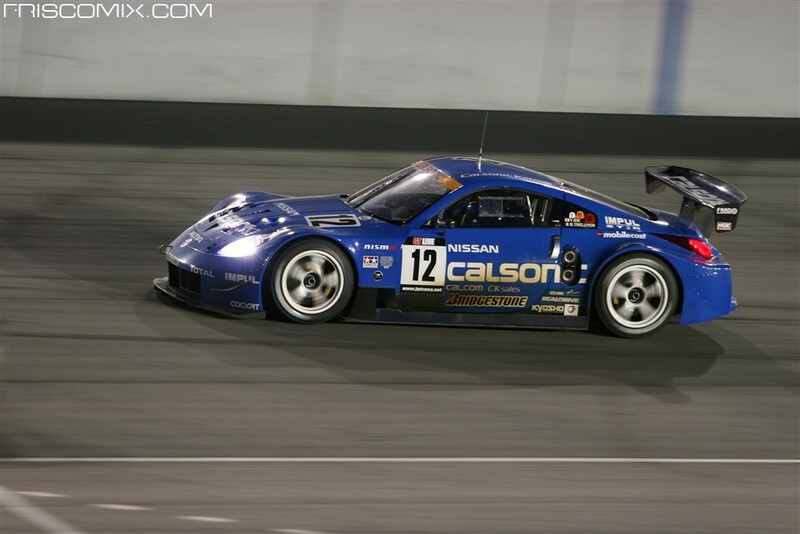 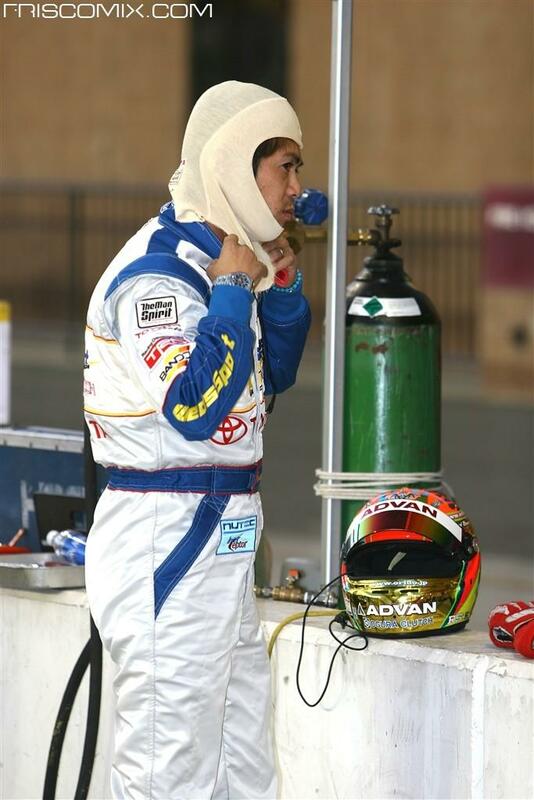 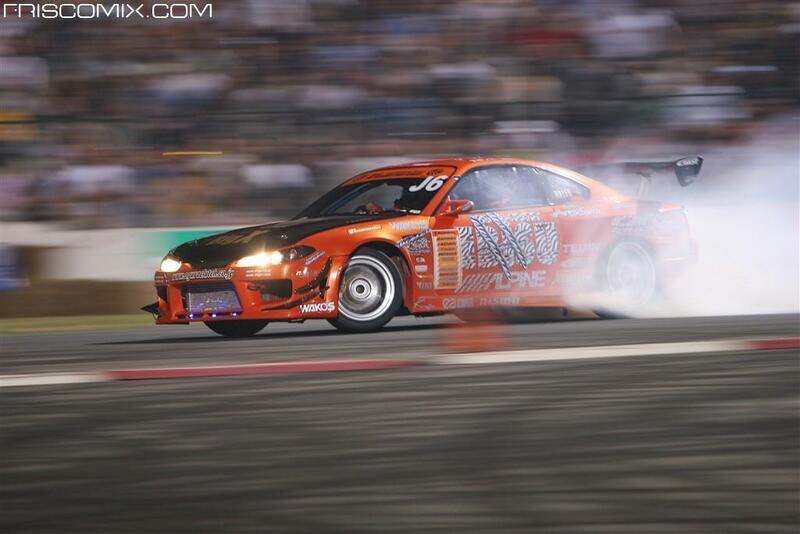 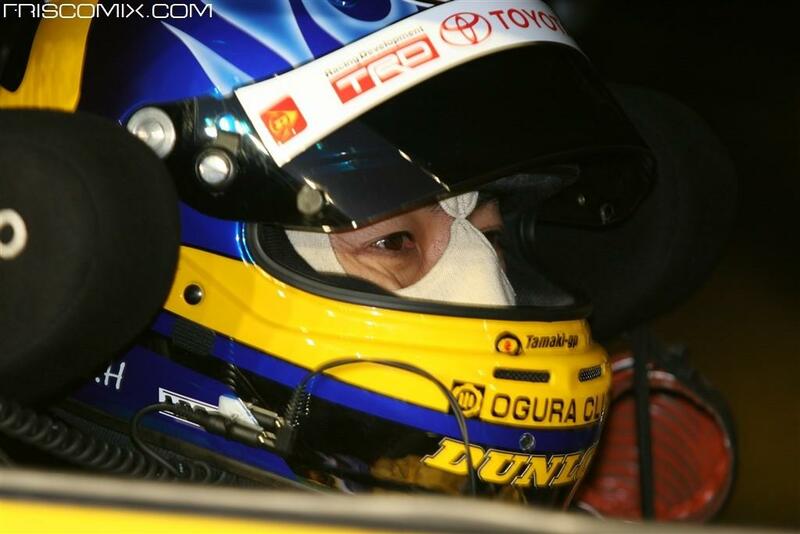 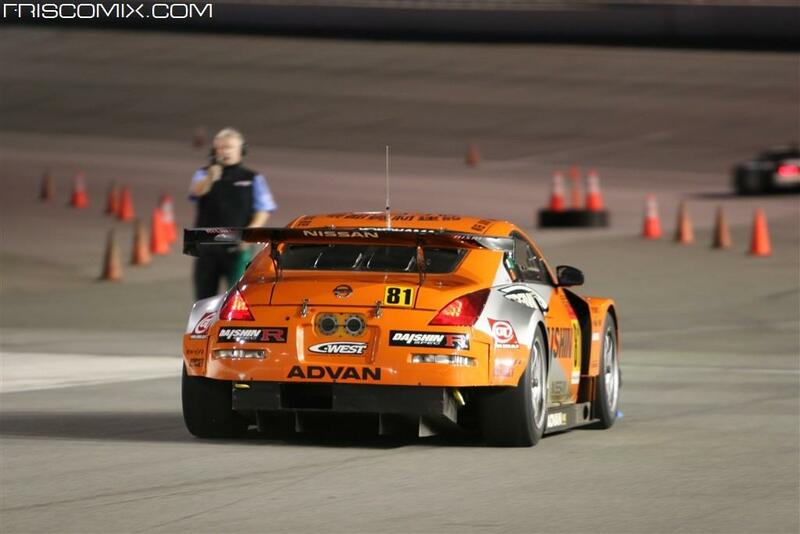 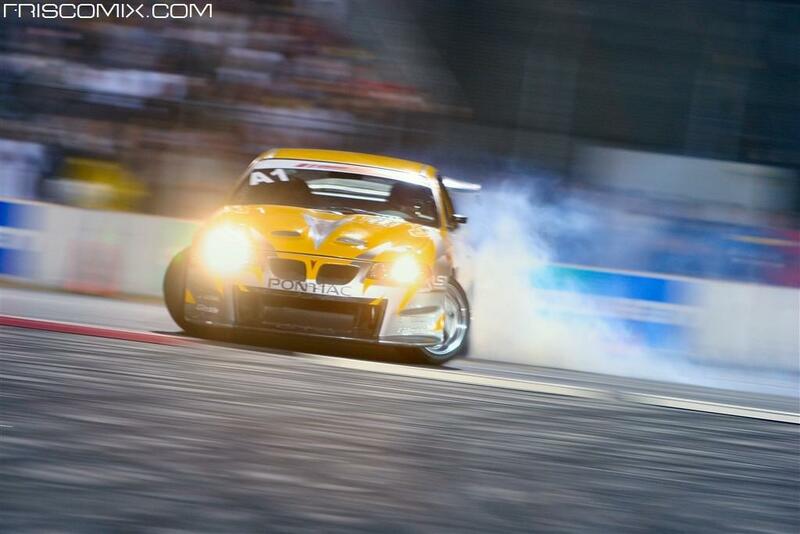 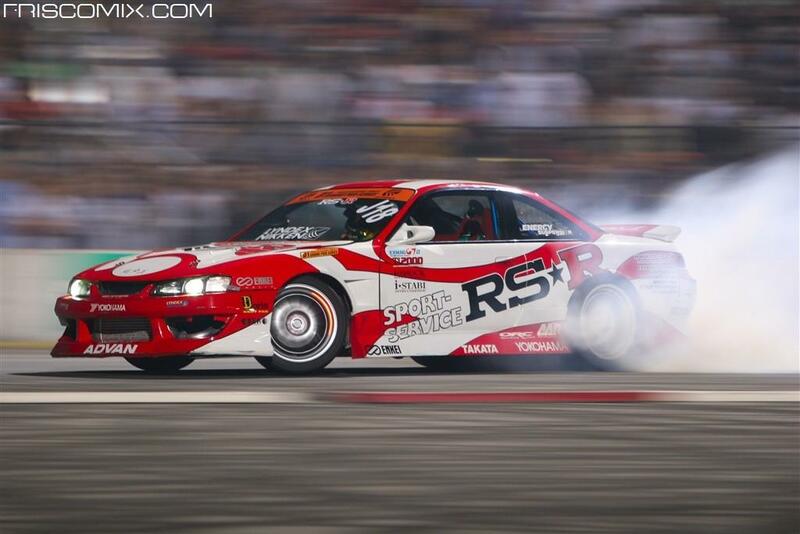 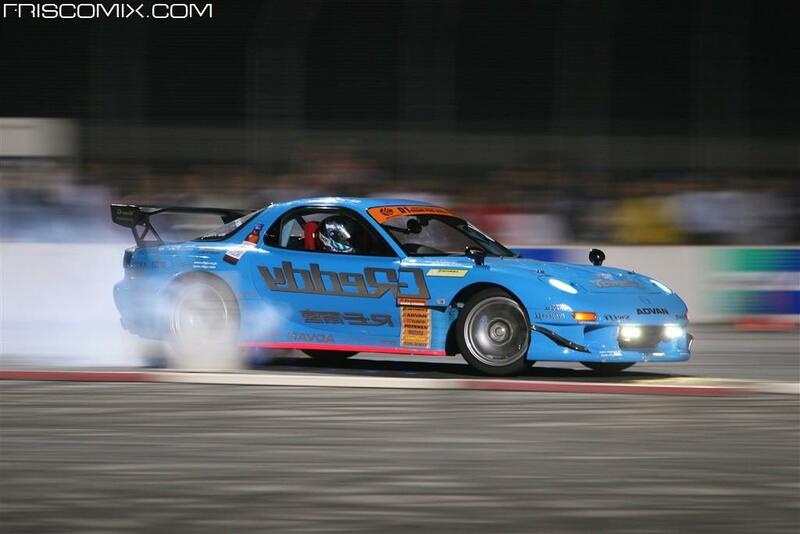 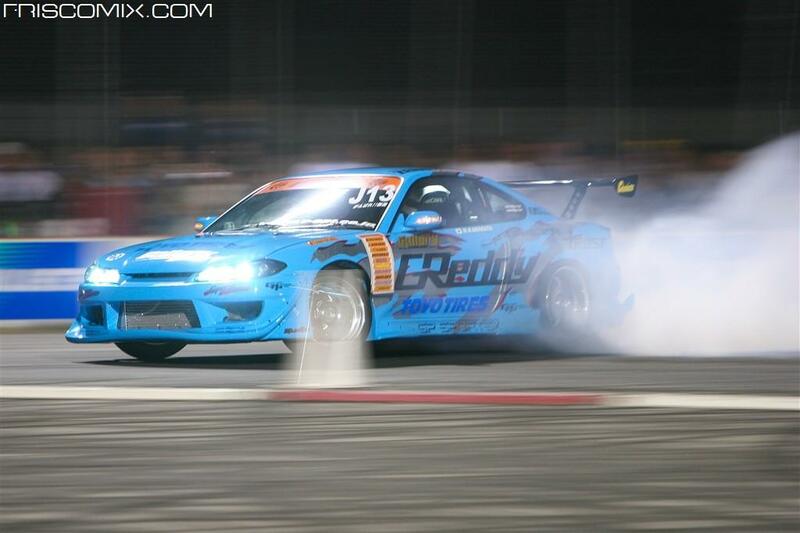 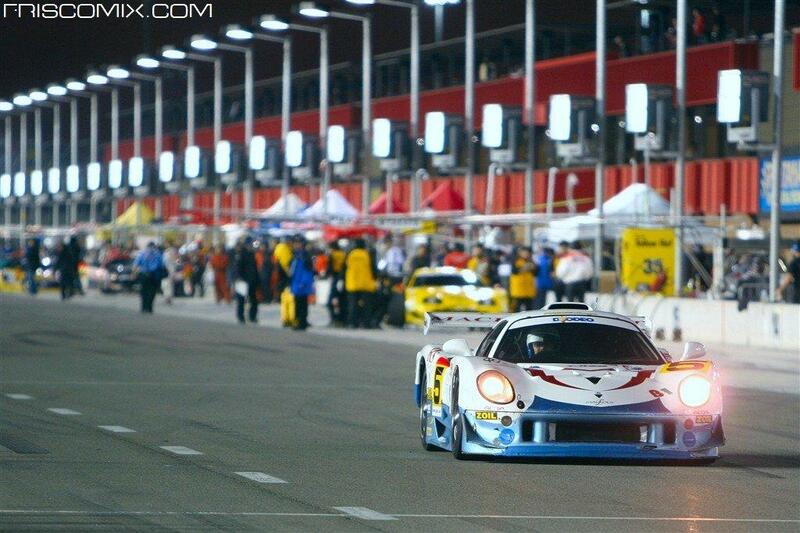 It was an event that embodied all of Japan's top motorsports in the USA. 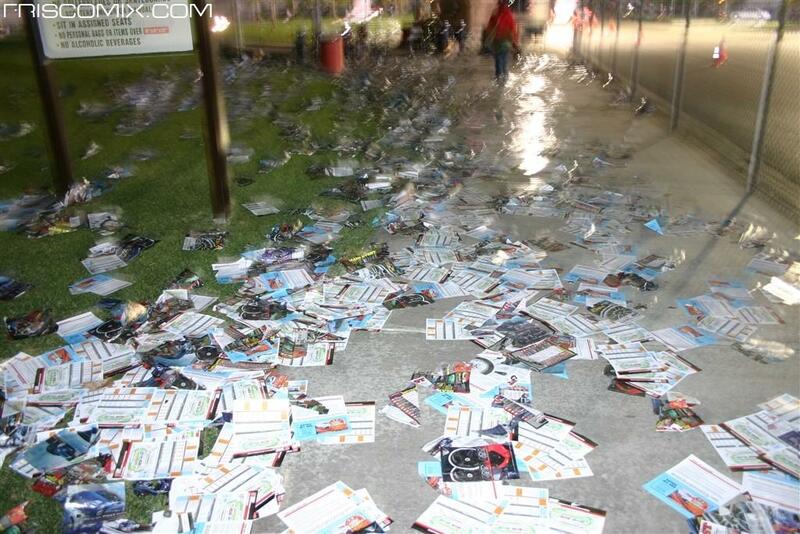 It was a massive extravagant exhibition of over 6 million dollars in production. 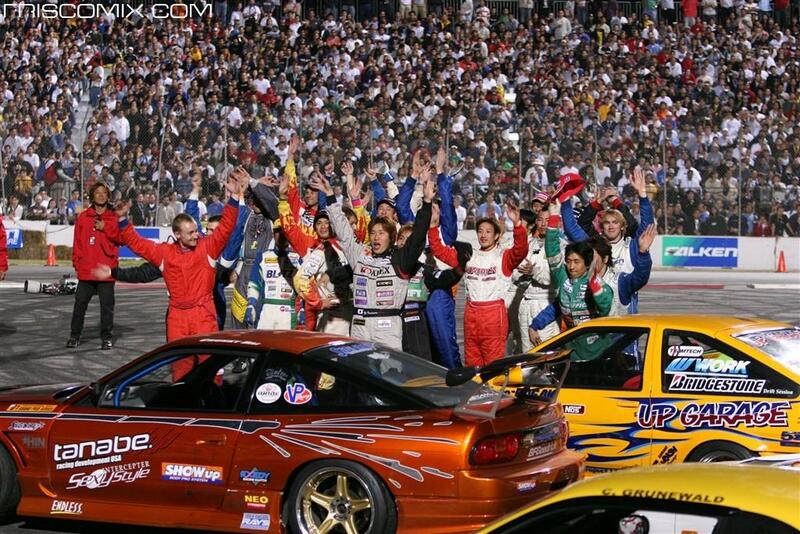 And those who came were enchanted by the power of a miracle, their lives changed forever. 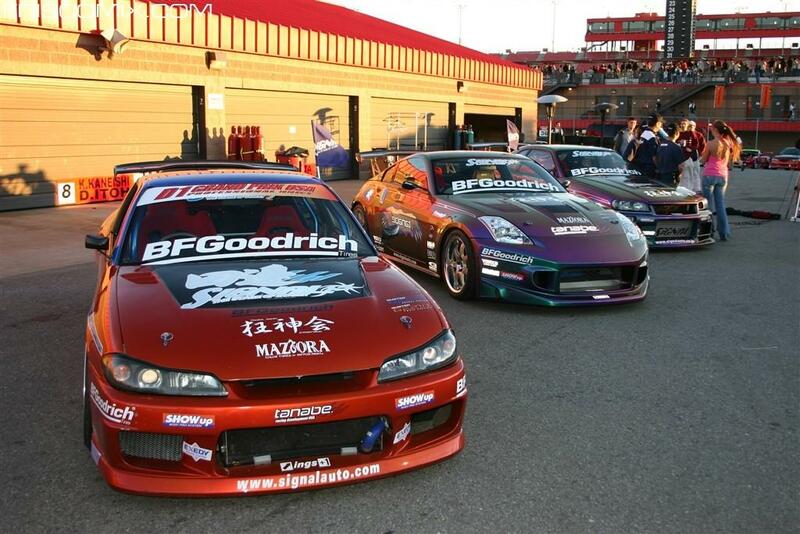 Present for the weekend were JGTC Cars (today renamed to Super GT) air freighted from Japan and D1 Grand Prix Pro Drifting Championships. 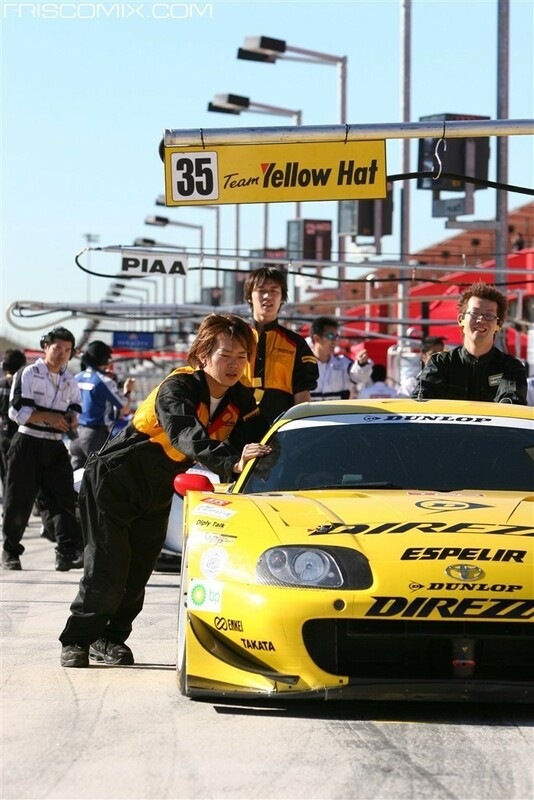 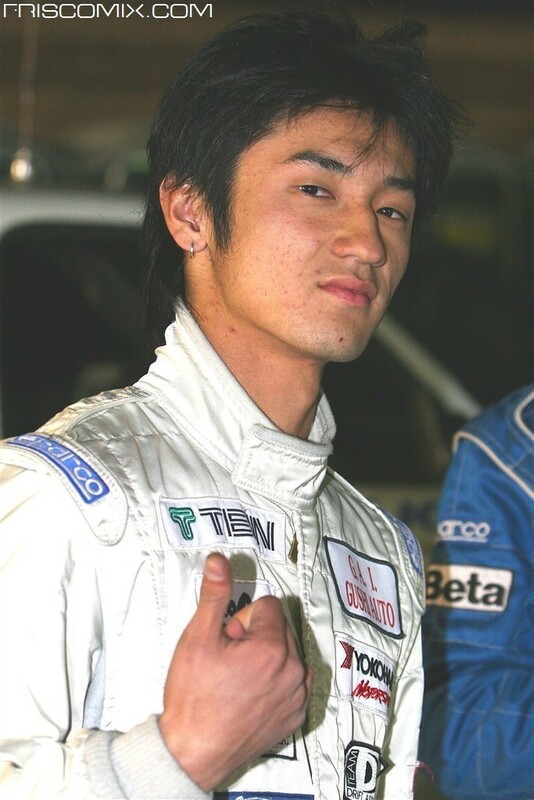 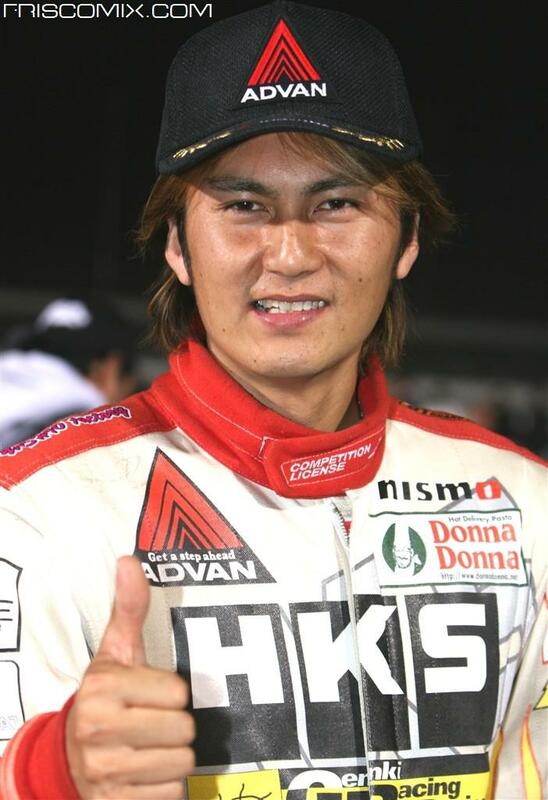 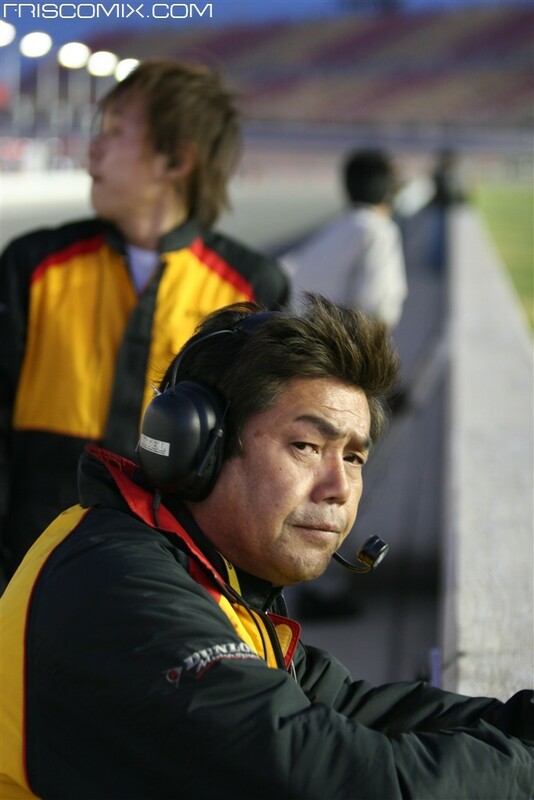 These precious top Japanese racing programs were accompanied by NASA Sports car racing, and other superb example of racing from grassroots to pro. 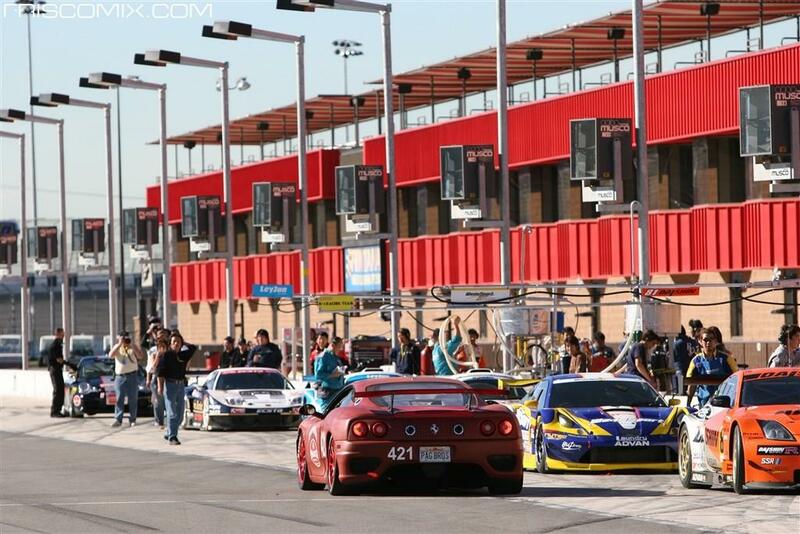 Full team staff, executive organizers, as well as supporting sponsor entities visited the USA in full force, including the beautiful umbrella girls. 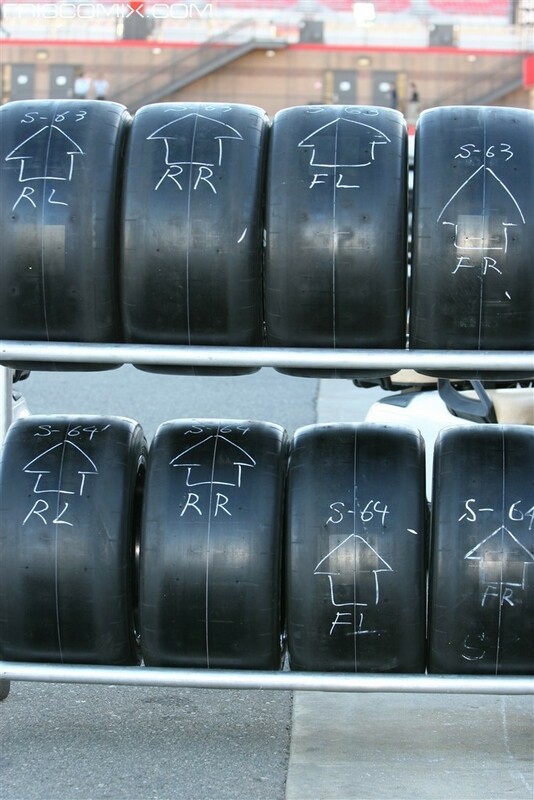 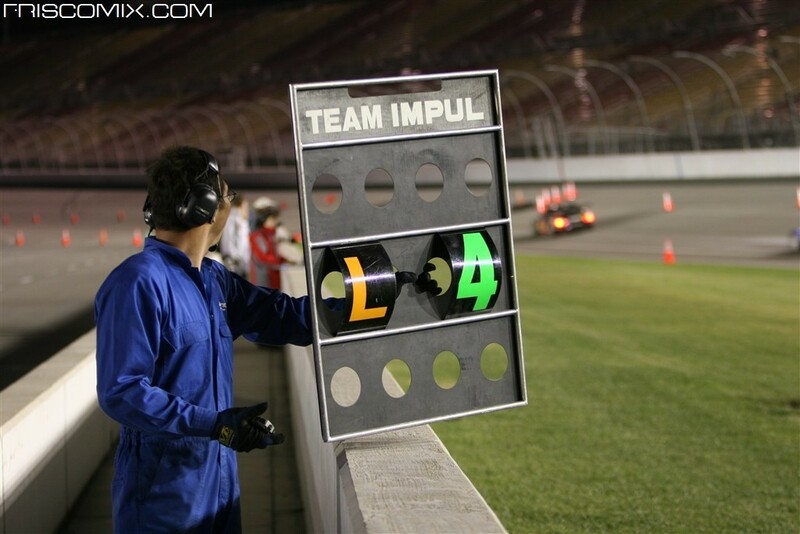 Needless to say, the drivers for the cars were all season-assigned drivers for the respective cars, and race officials and engineers as well. 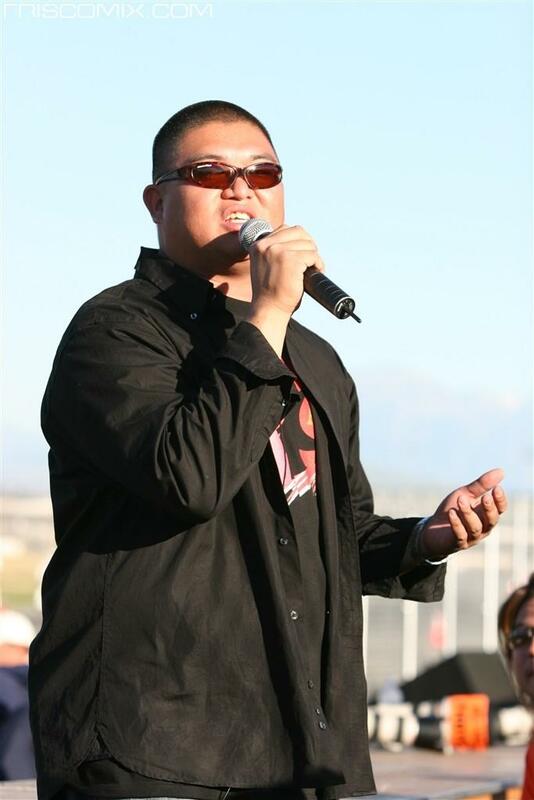 The event invited 60,000 people from world-wide, and attracted celebrities and folks of influence. 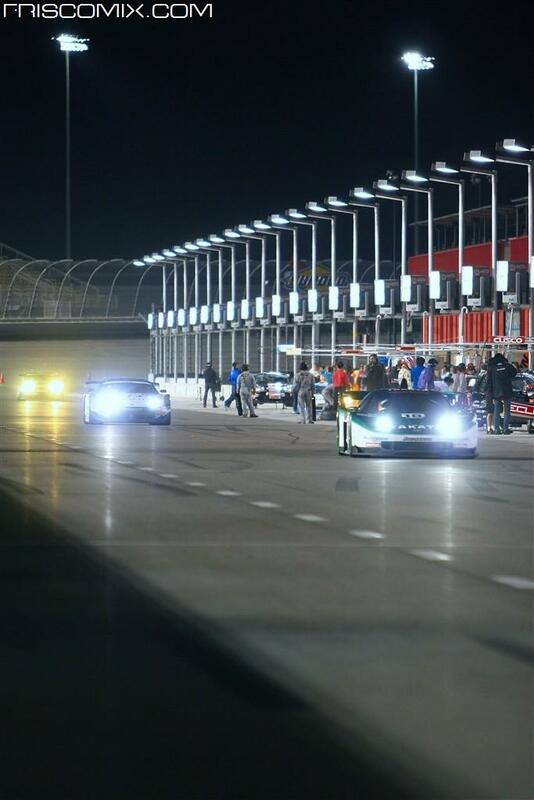 Millions of dollars were spent to make it happen, and the background work started a full year before the date. 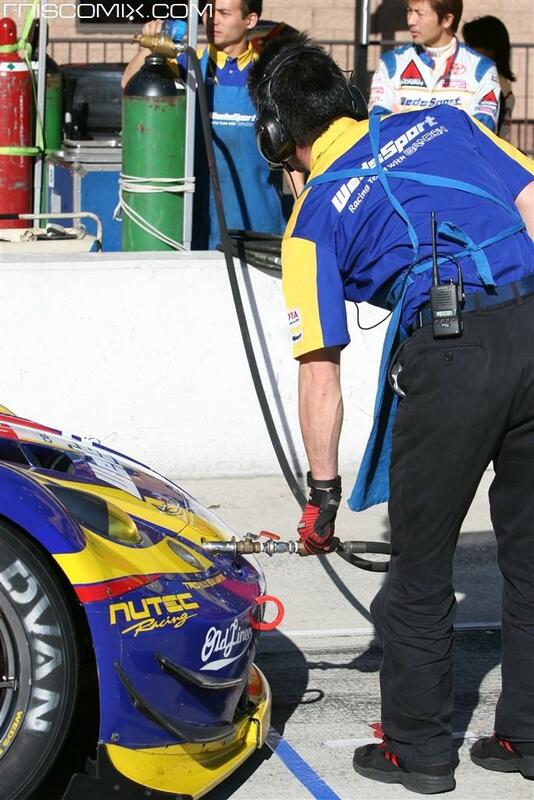 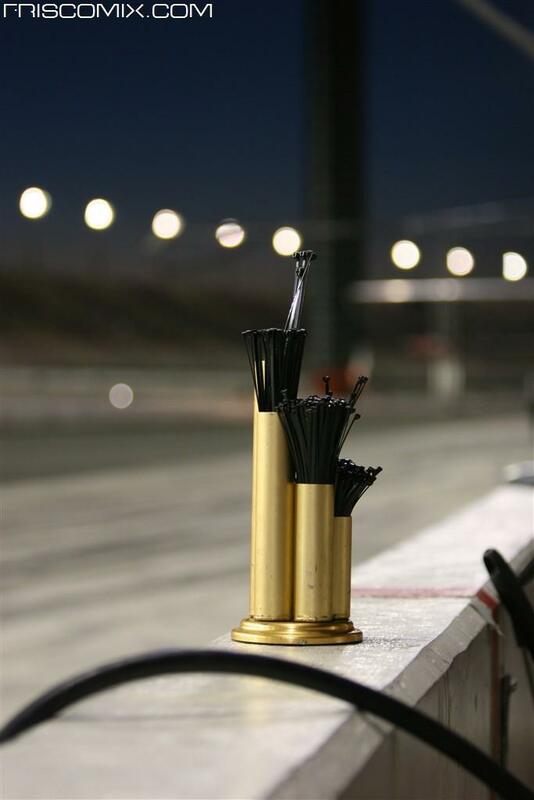 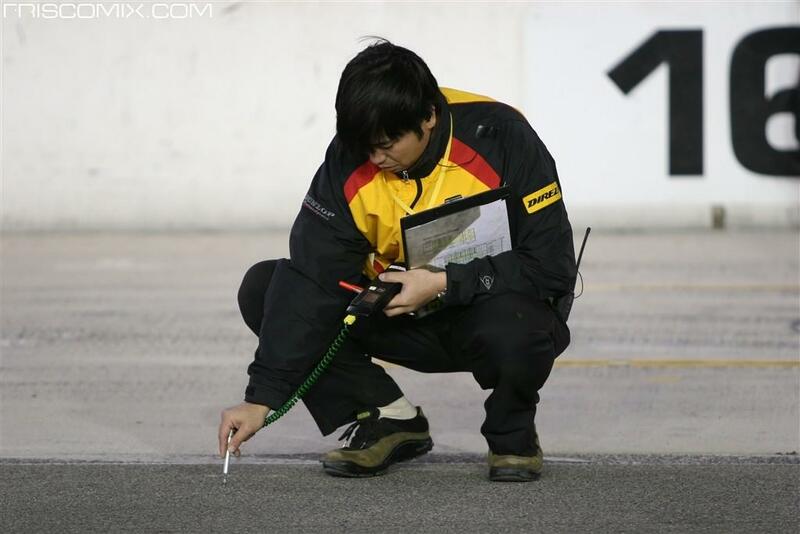 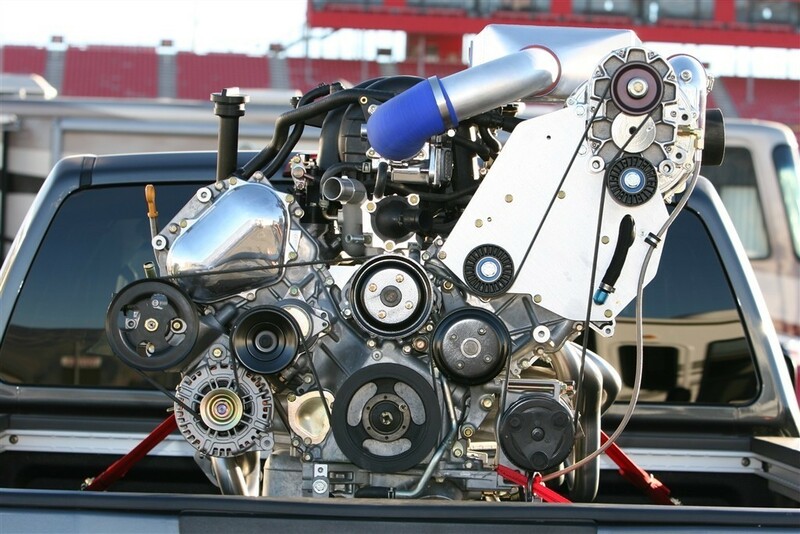 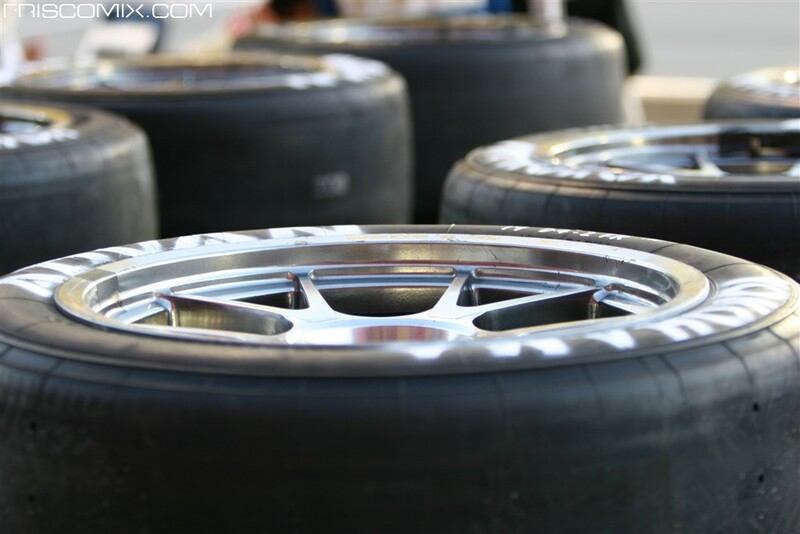 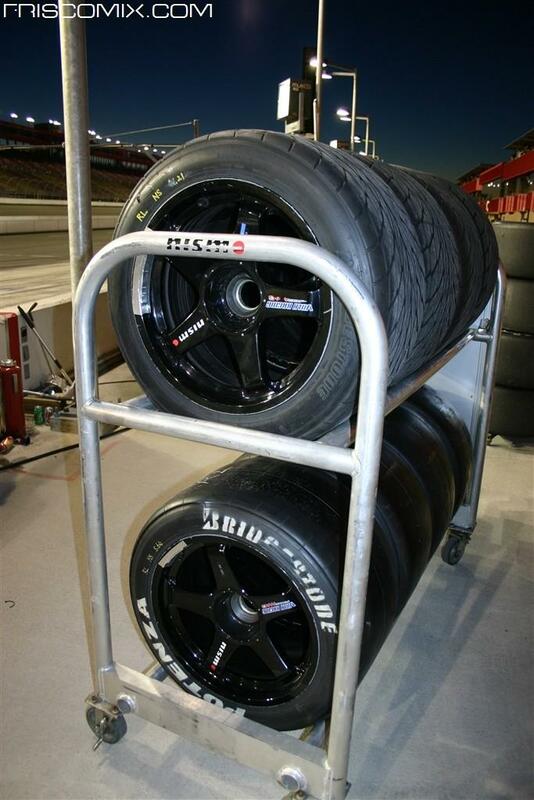 We took part in organizing everything obvious like marketing, contracting and logistics, but also venue resources right down to the fittings on air hoses in the pits that needed to be converted to metric. 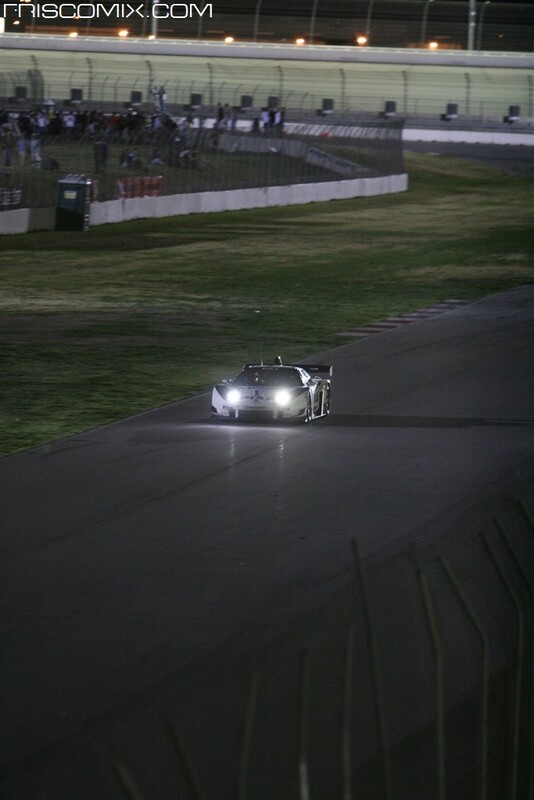 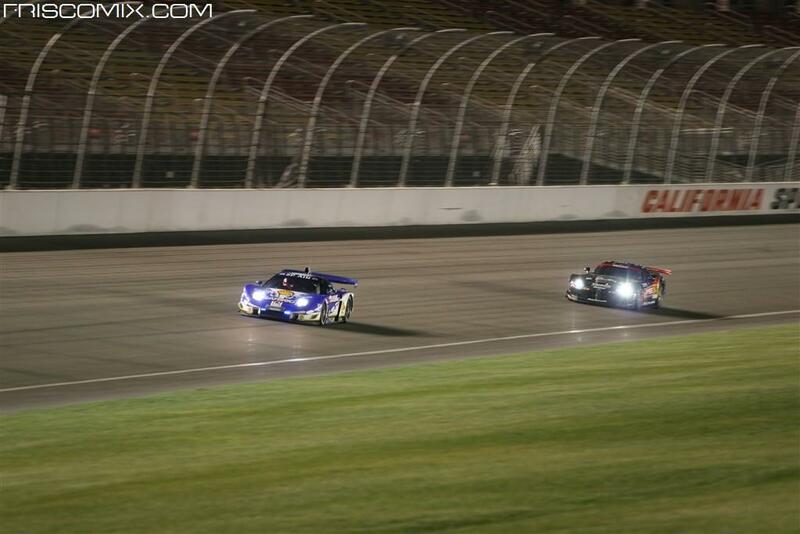 GT500 and 300 cars sprinted for 60 minutes in an exhibition race, at the dusk of California sun, extending into the night with spectacular view and sound as the day went to night. 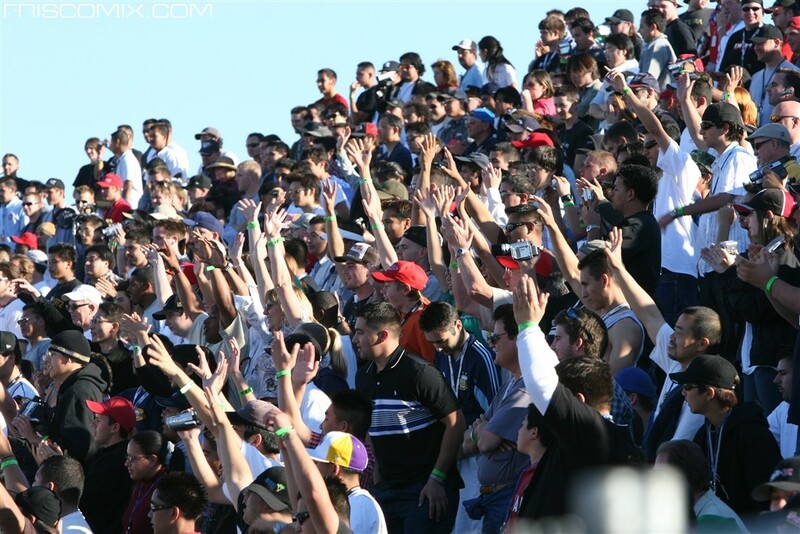 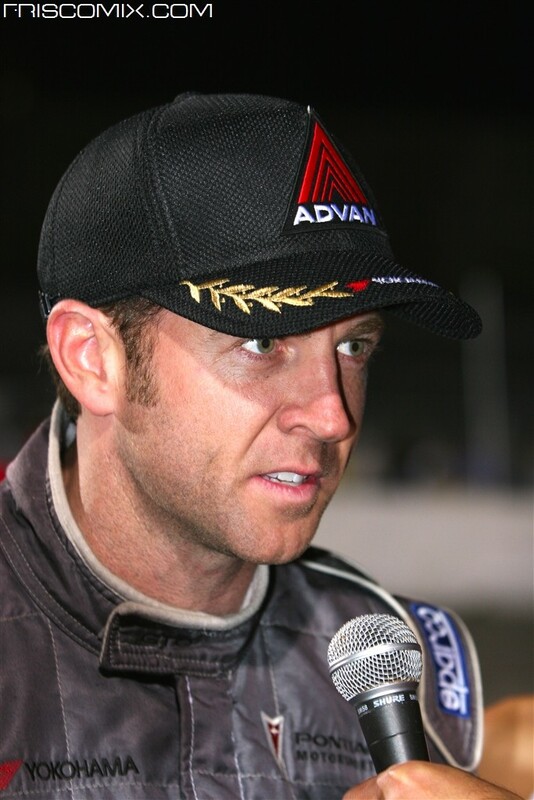 D1 Grand Prix had it's largest audience of 17,000 that day too, and drivers will never forget that day when the enthusiastic American crowed roared in the grand stands like they've never imagined. 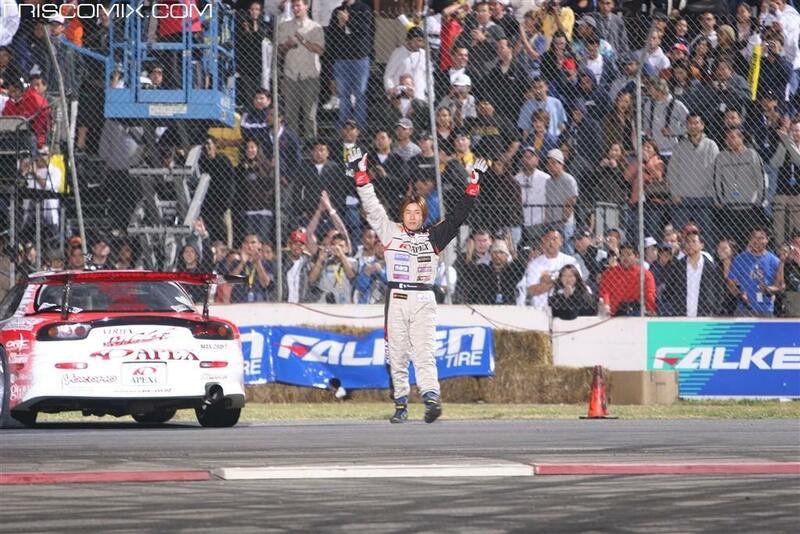 For that one weekend, it truly was a miracle. 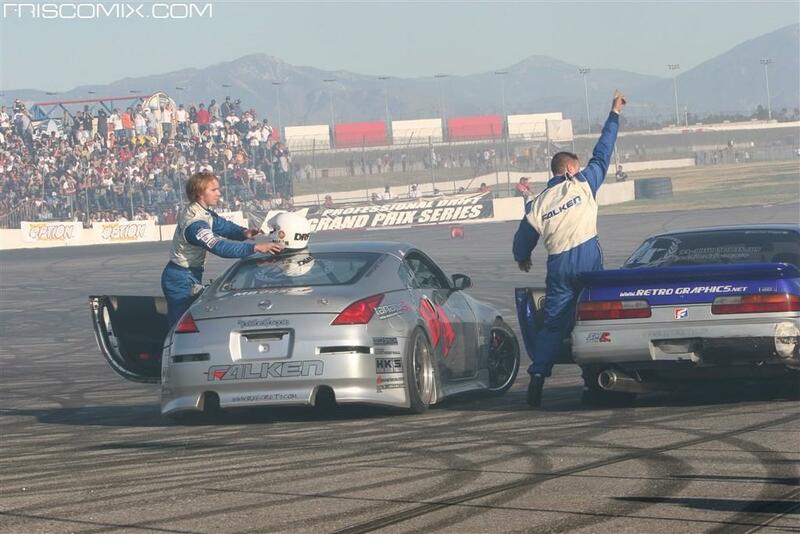 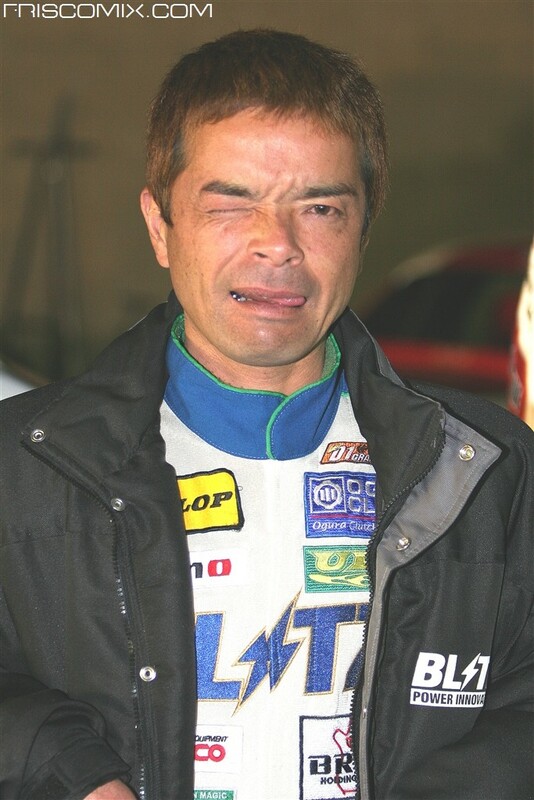 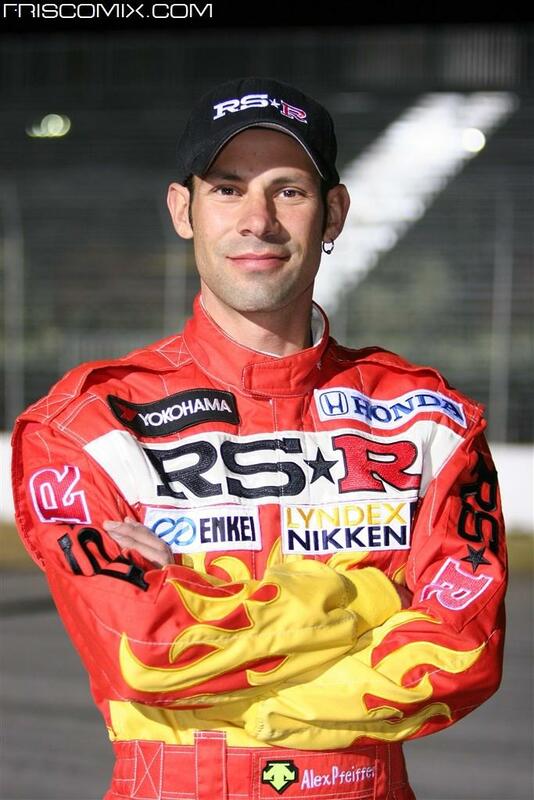 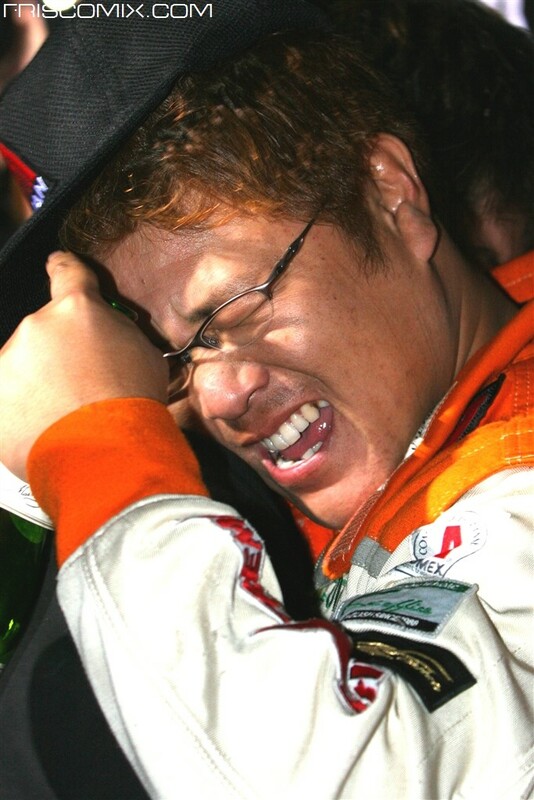 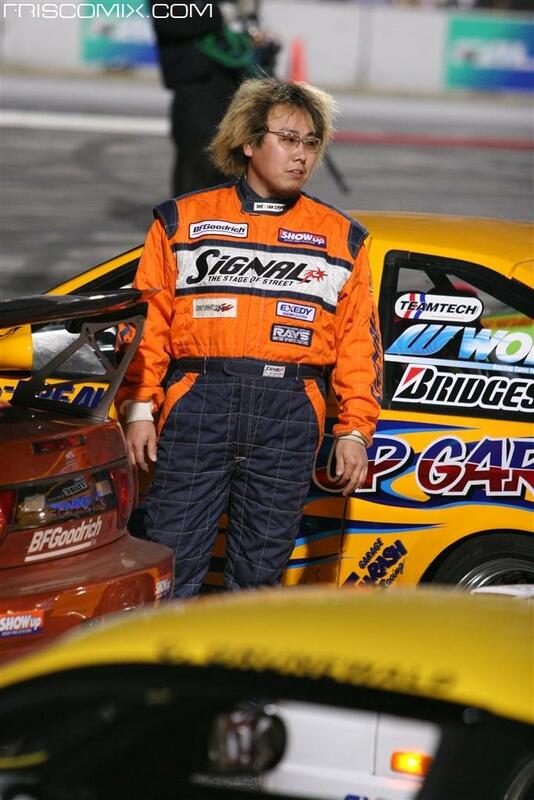 And for that one time when all the stars aligned in the production end of things, the economy, the climate of auto firms, the pride of Japan, the JGTC's success, and advent of Pro Drift in the USA. 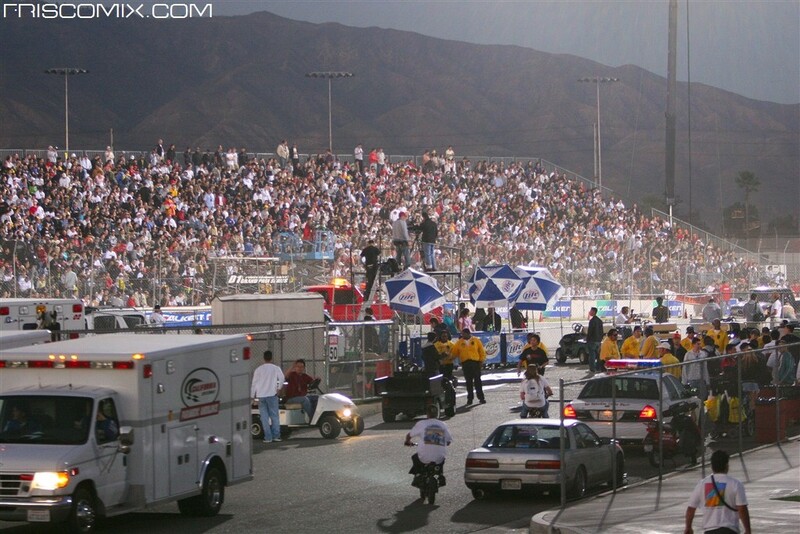 All of these elements will likely never align like this again in my lifetime... And for that, the 60,000+ witnesses were also likely to remember this weekend, for the rest of their lives. 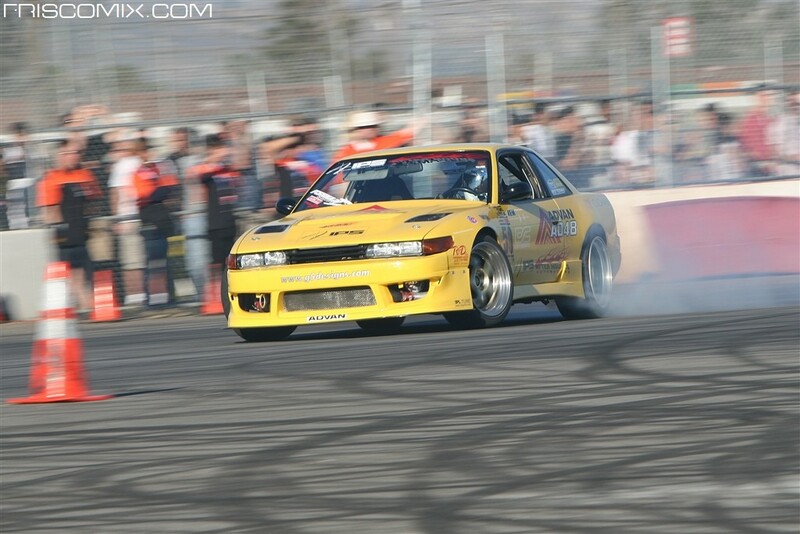 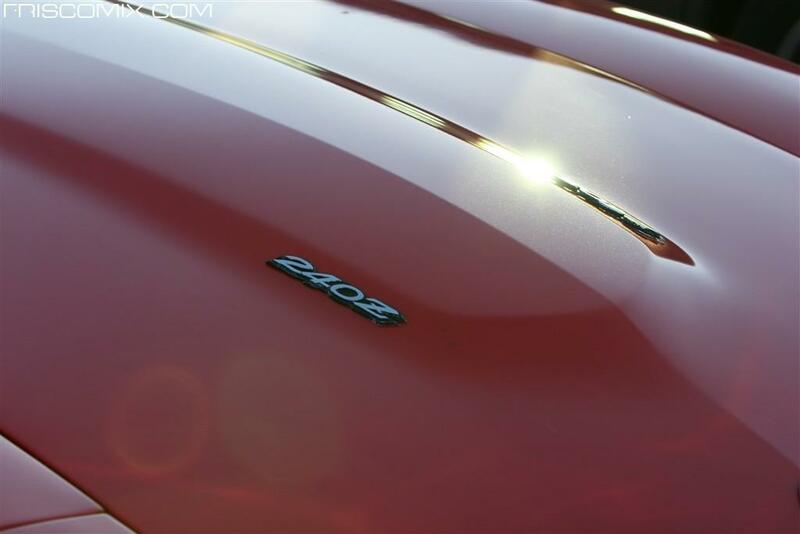 Japanese Classic Car Show 2014, the best of the West Coast's Japanese cars for the 10th Year!